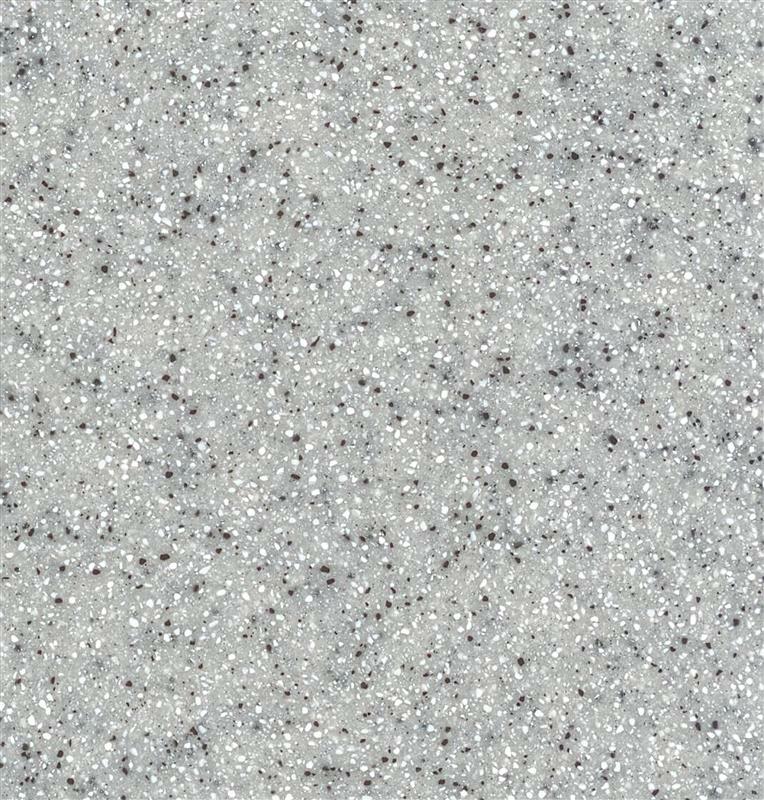 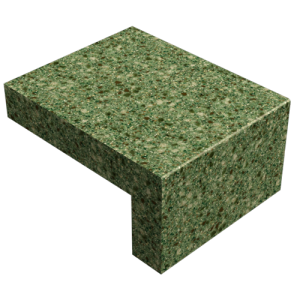 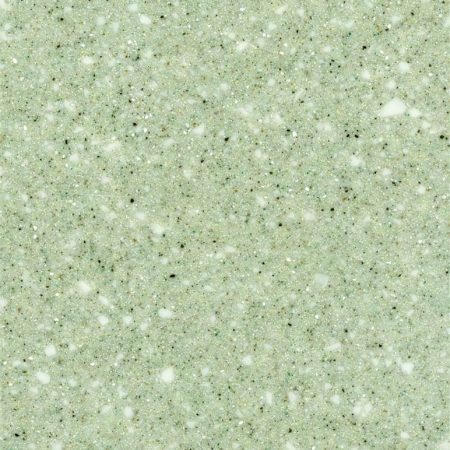 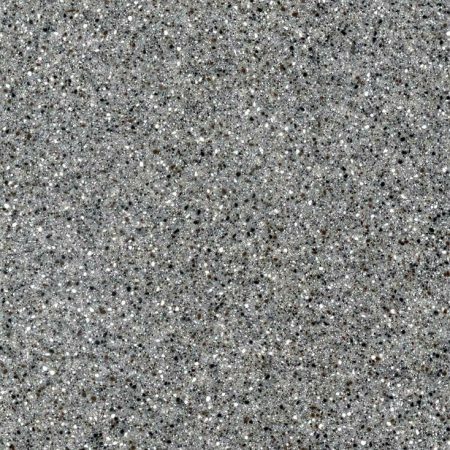  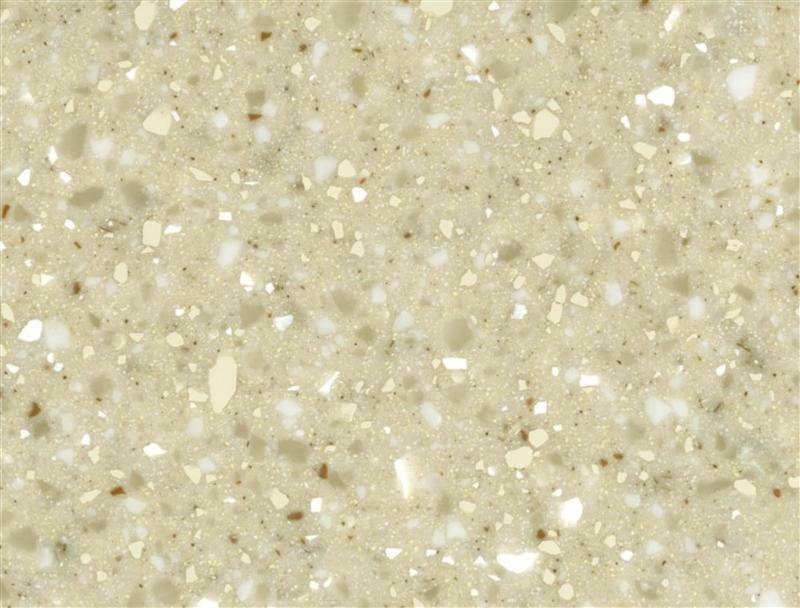  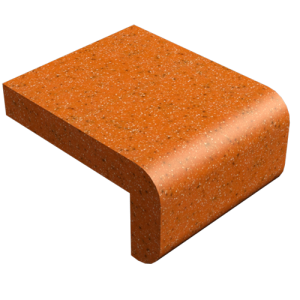 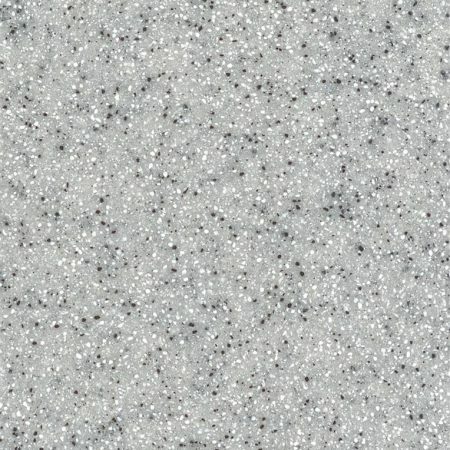 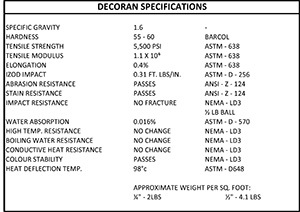  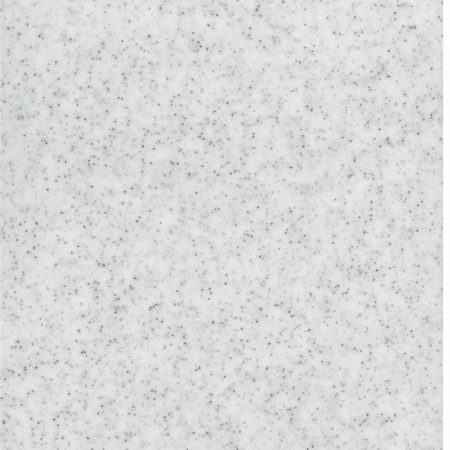 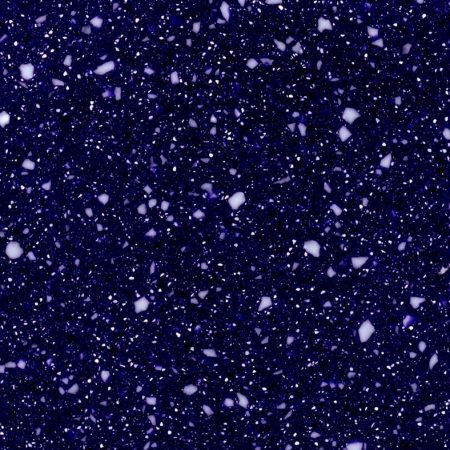 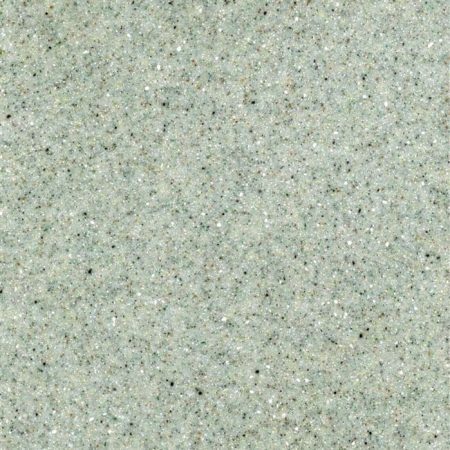 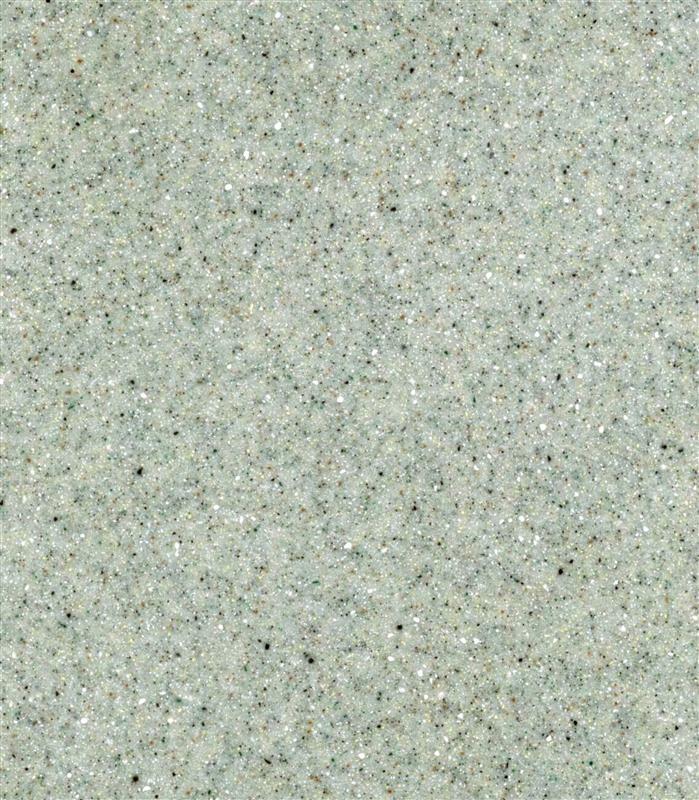 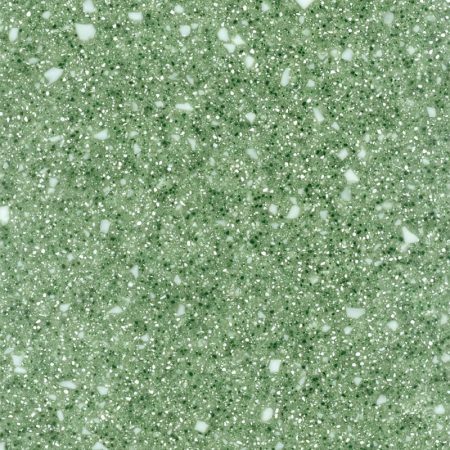 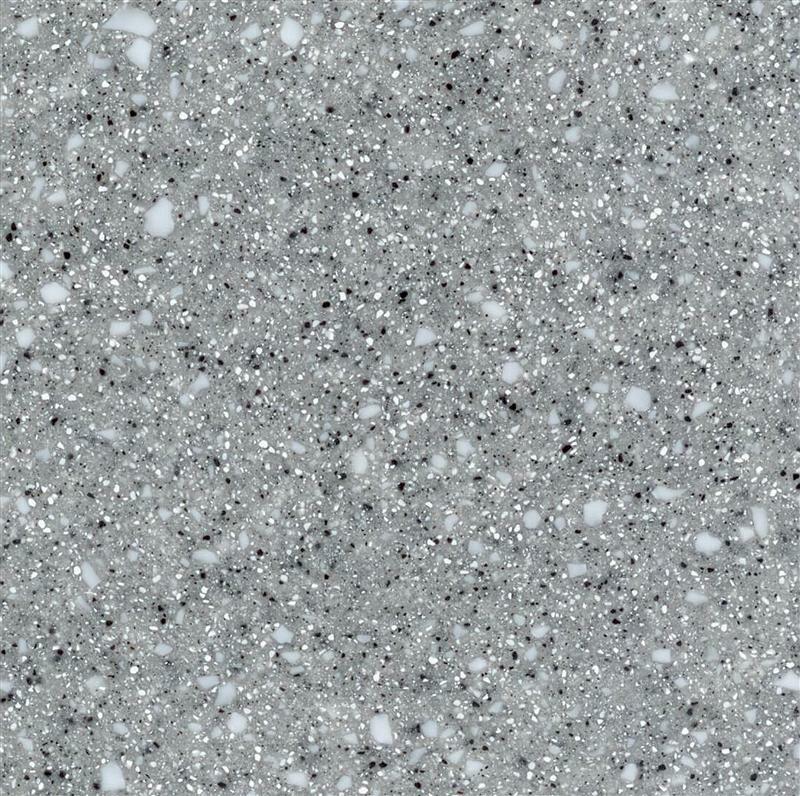 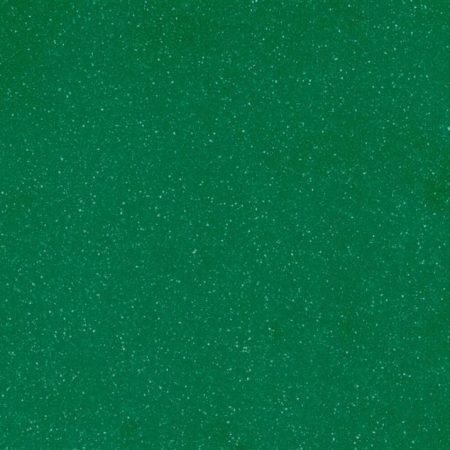 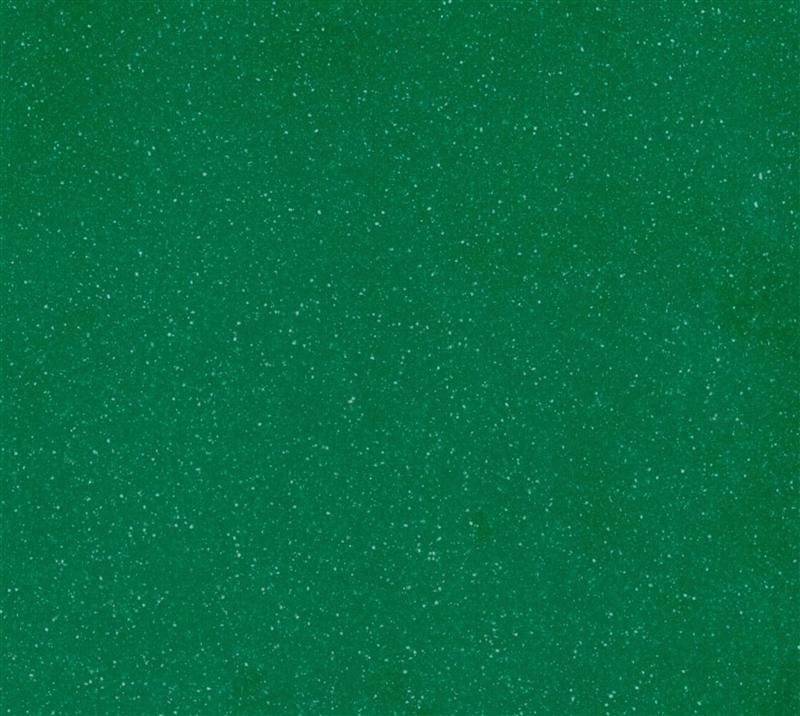 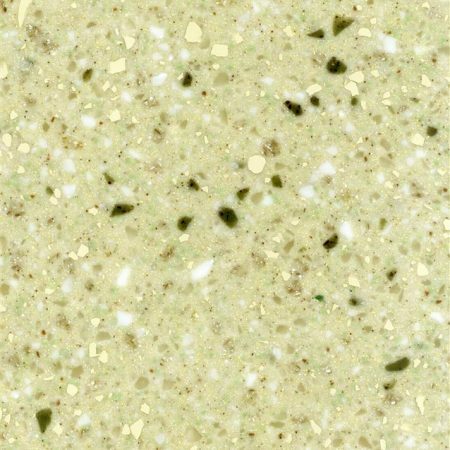 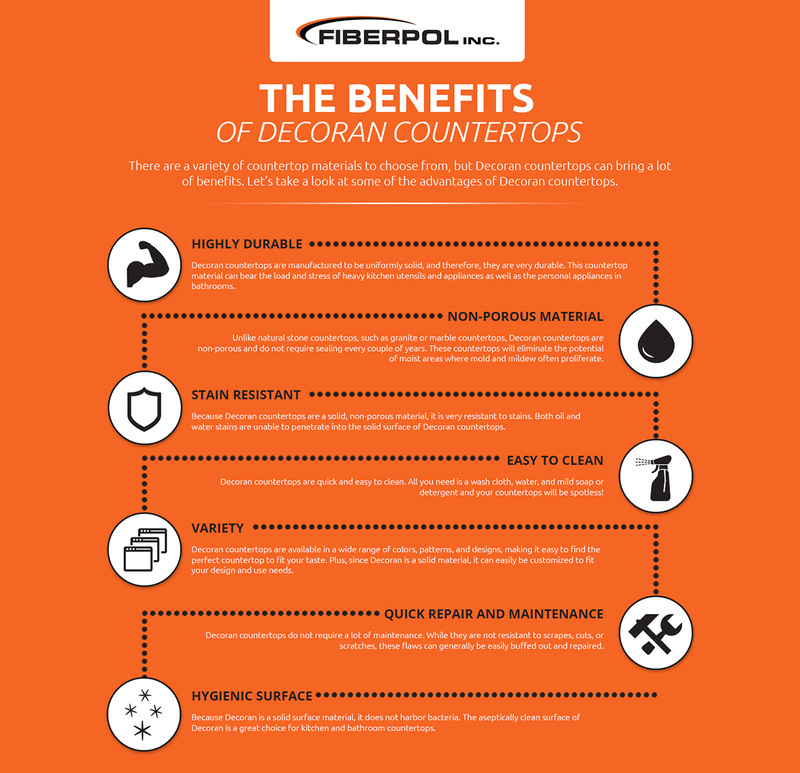 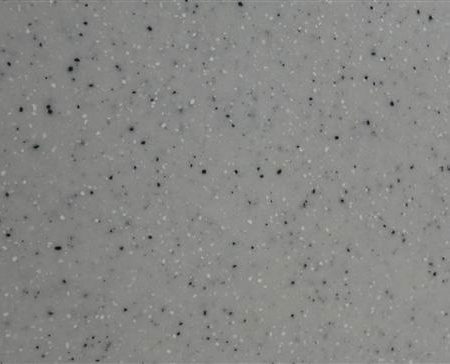 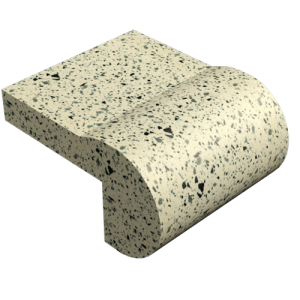 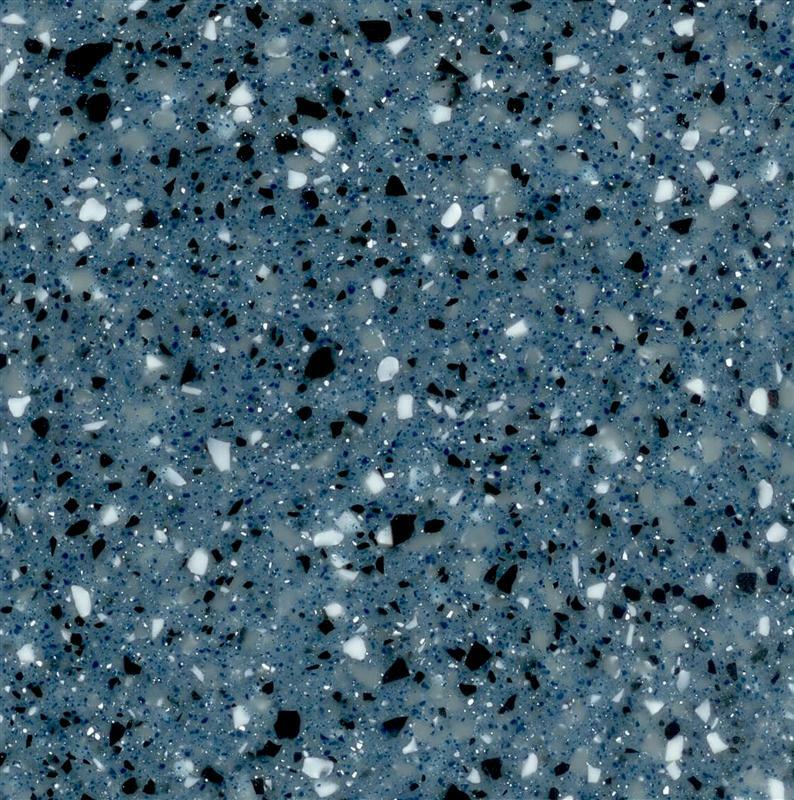 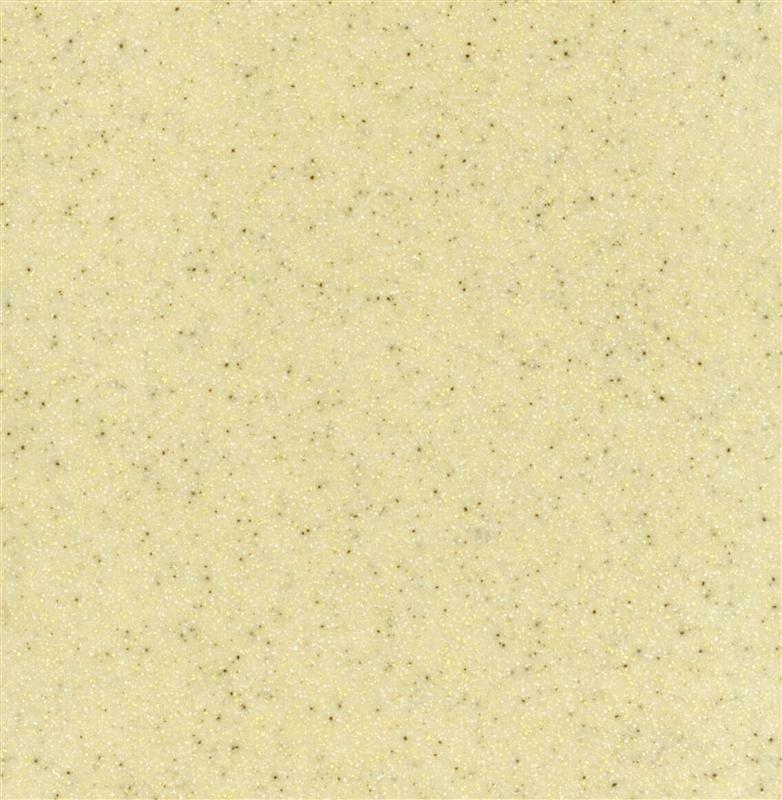 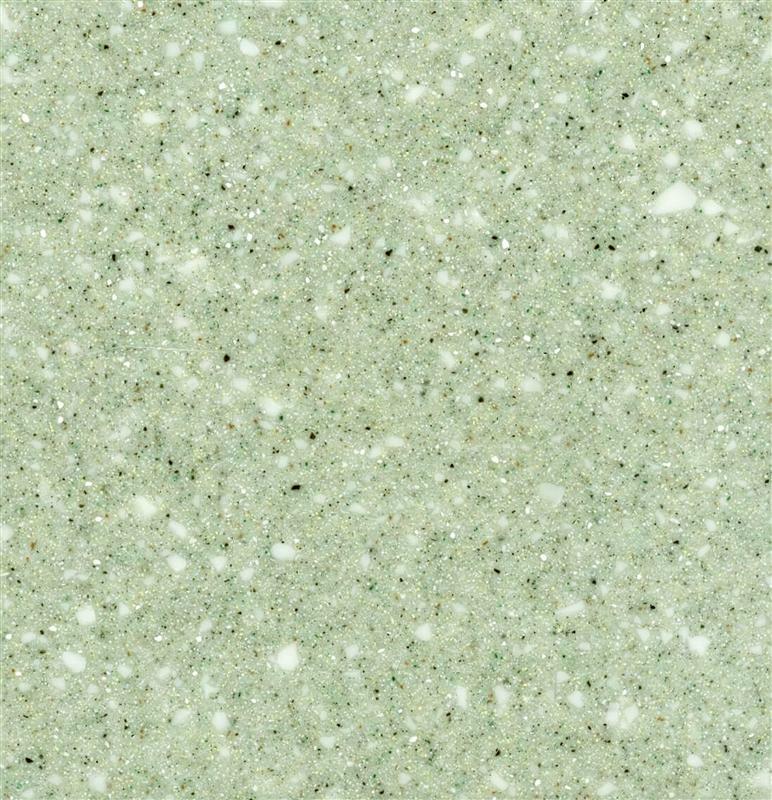 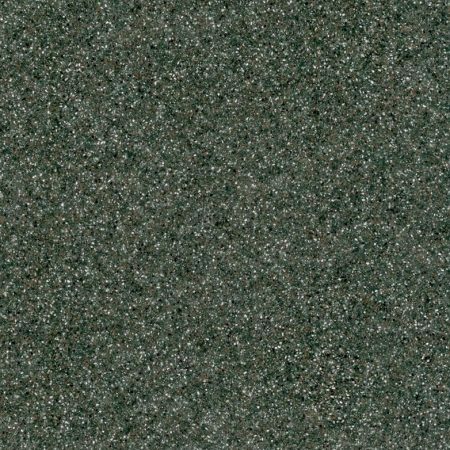 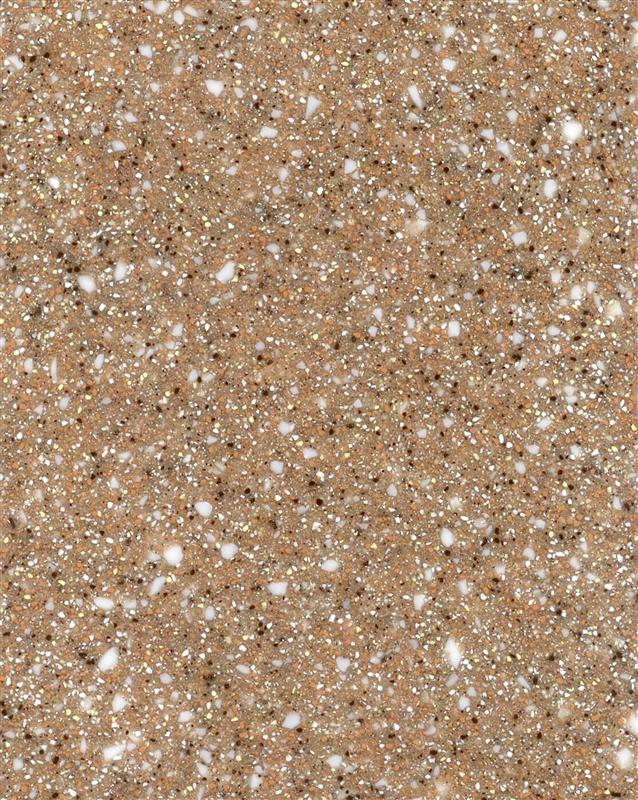   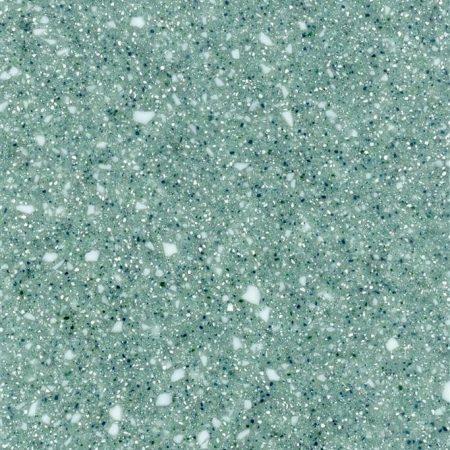 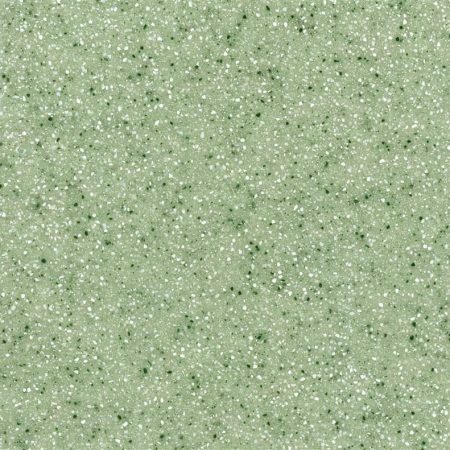 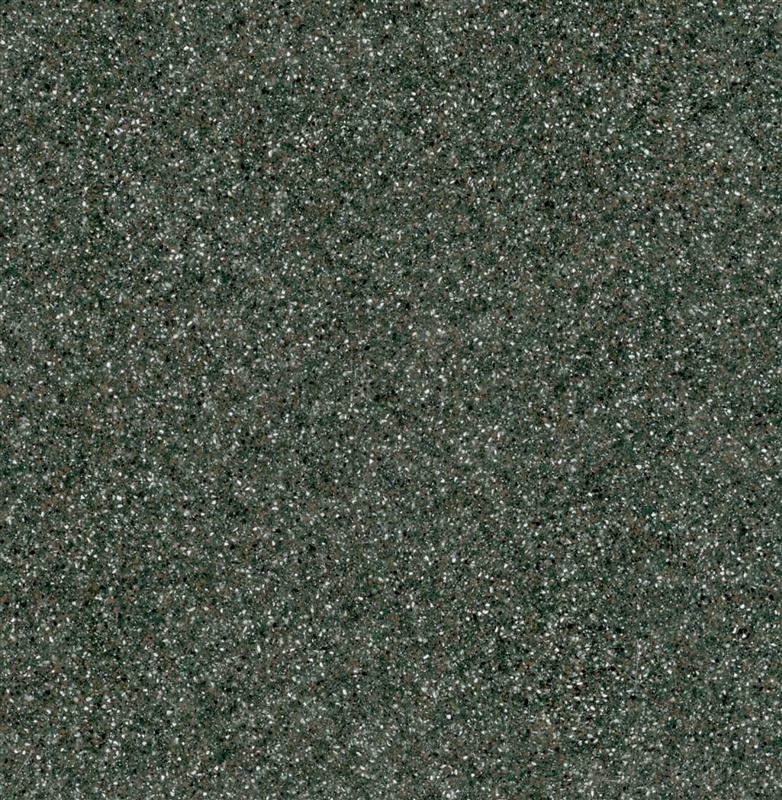 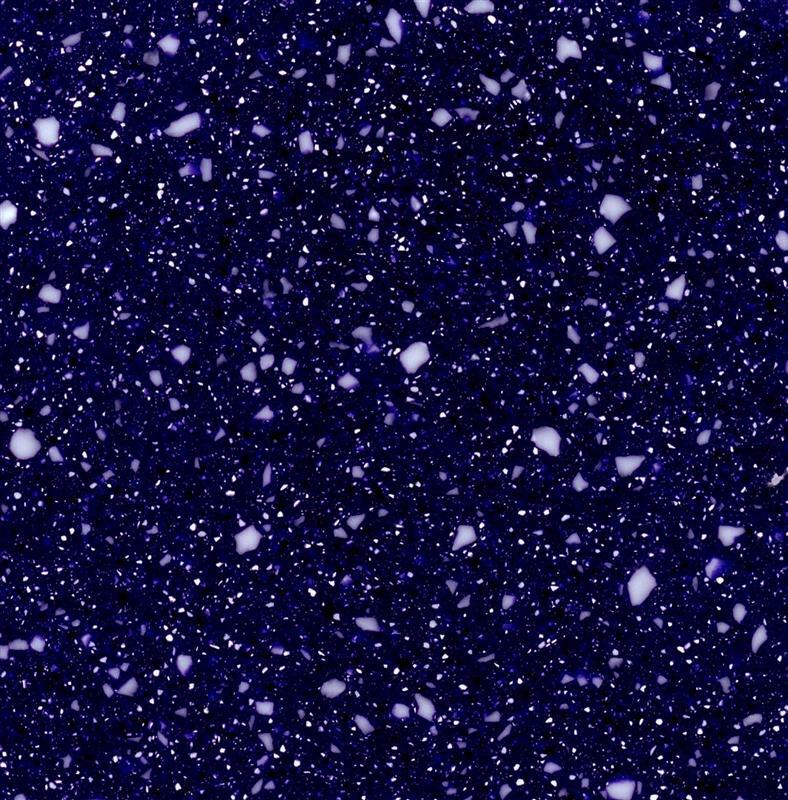 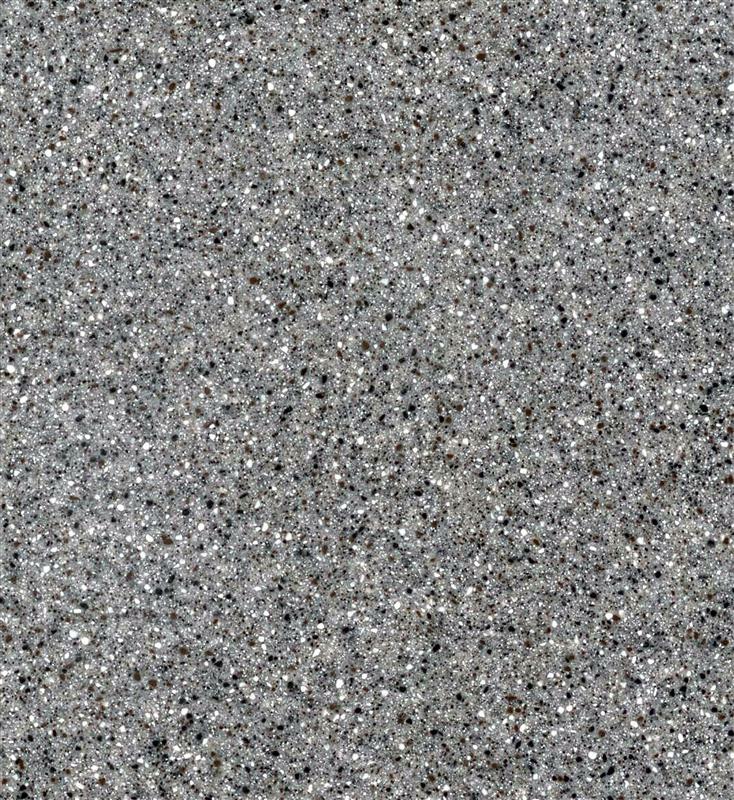 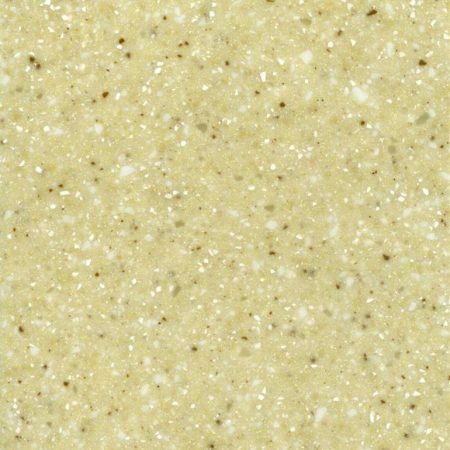 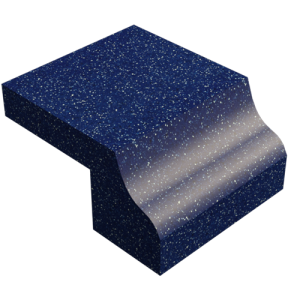  Decoran Countertops - Learn More About These Durable, Solid Surface Countertops | Fiberpol. 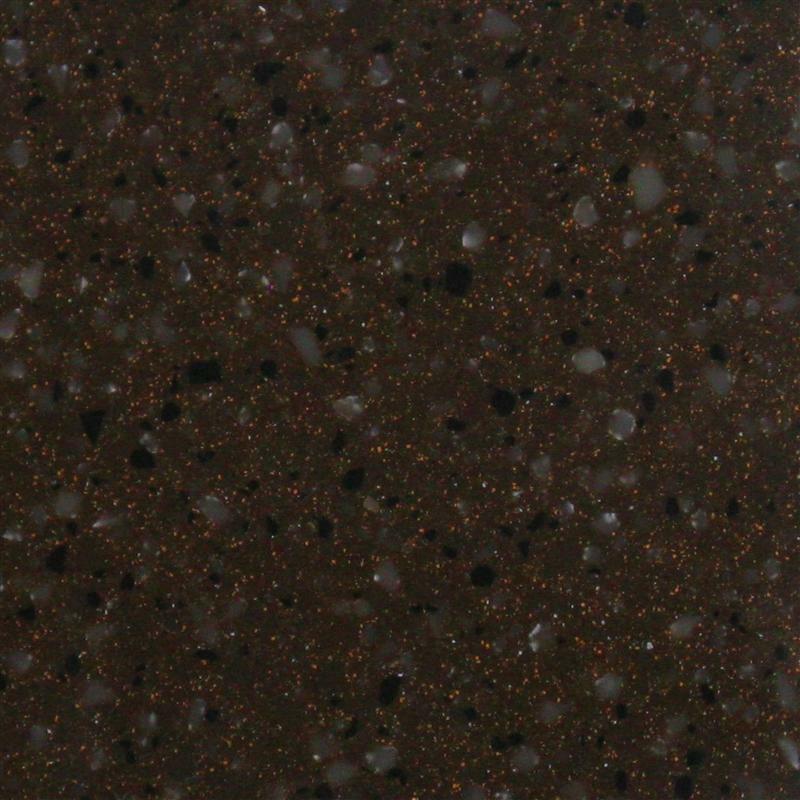 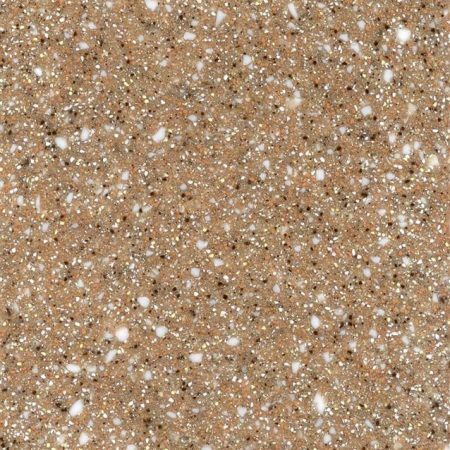 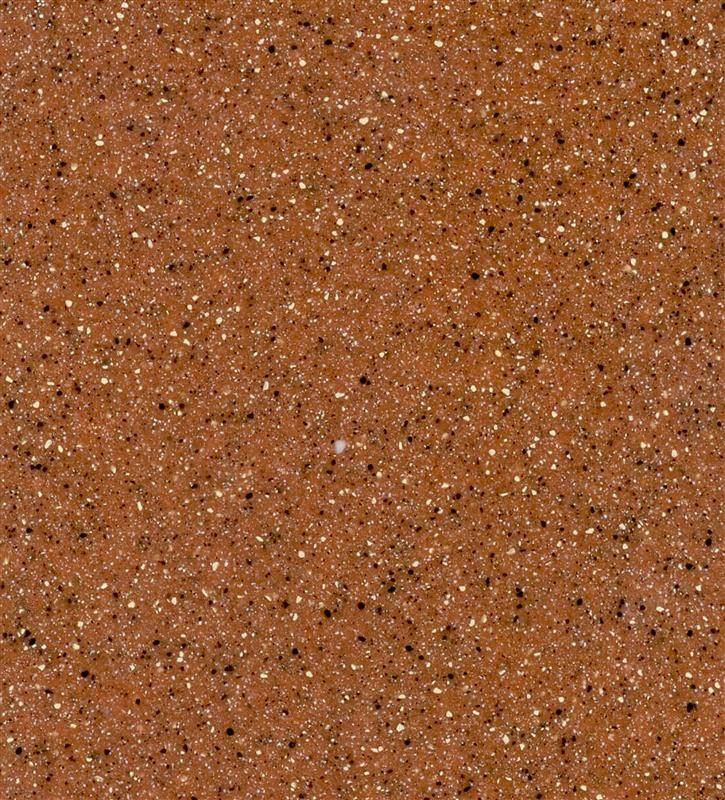 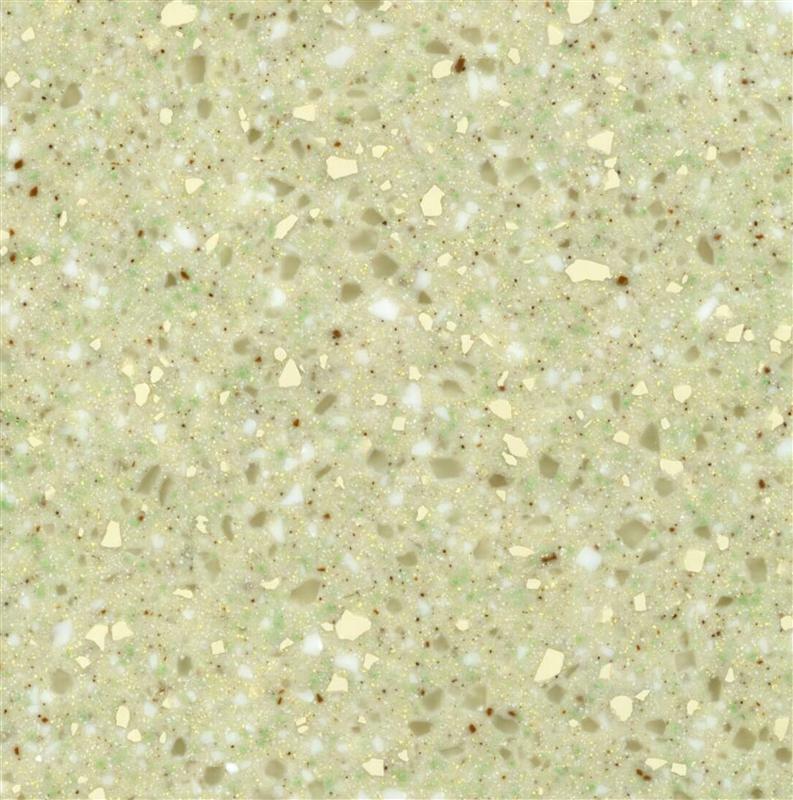 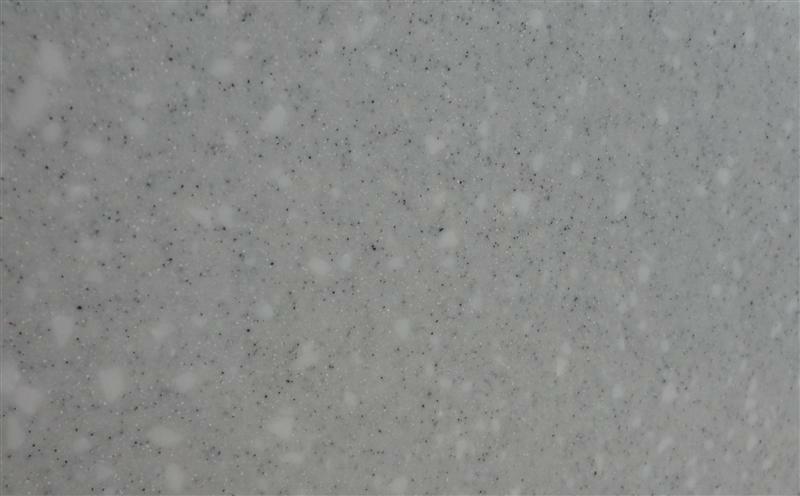 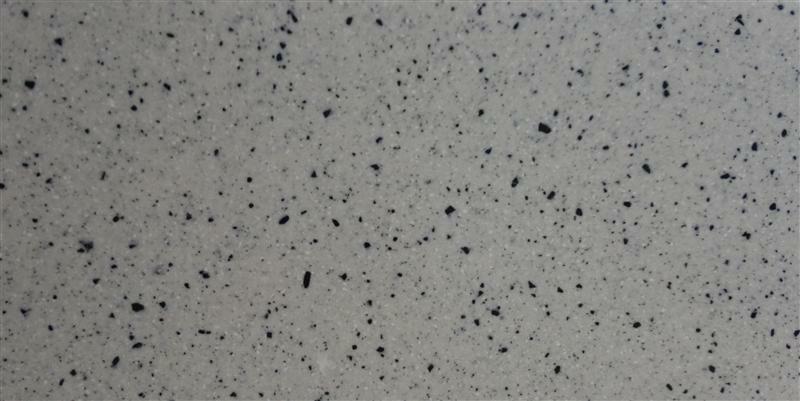 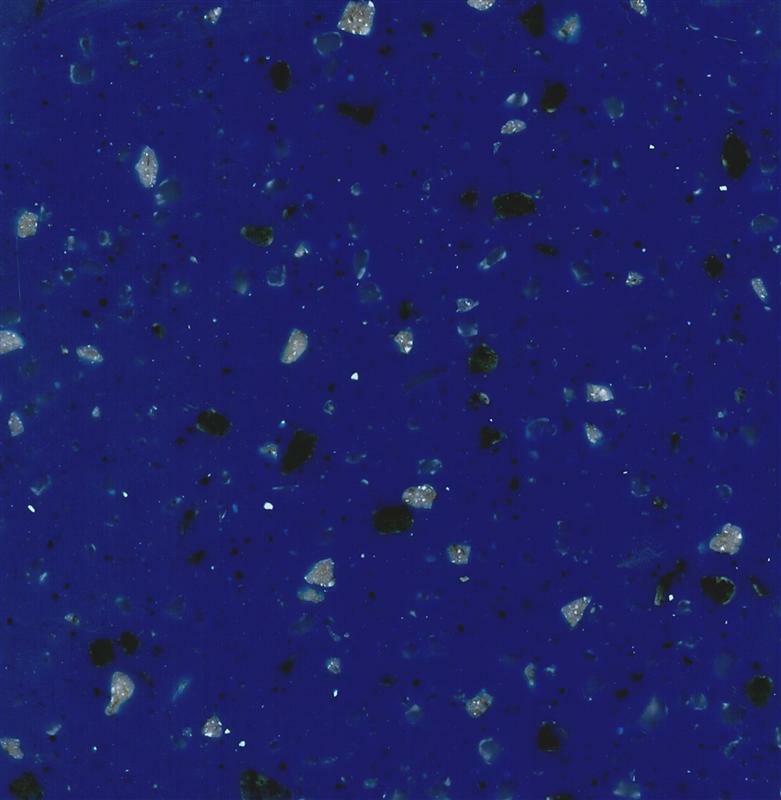 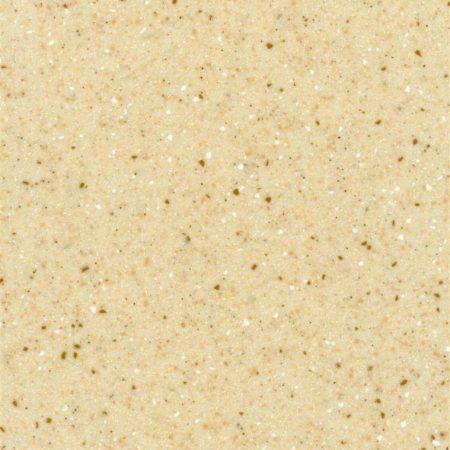 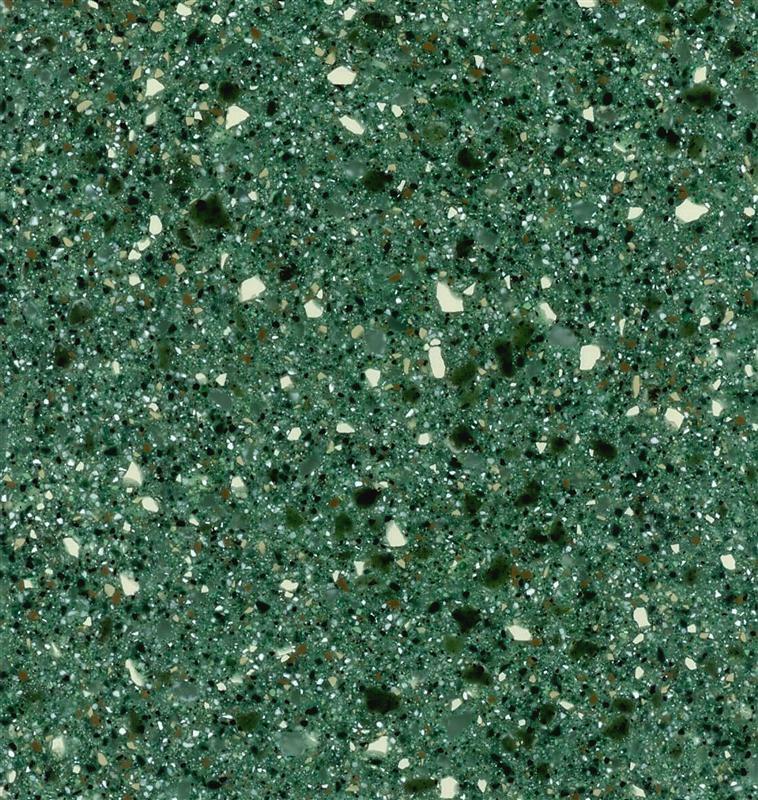 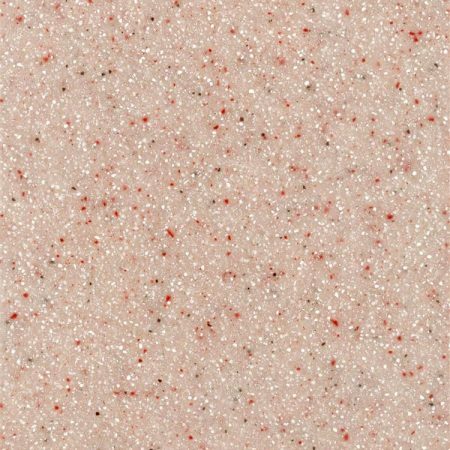 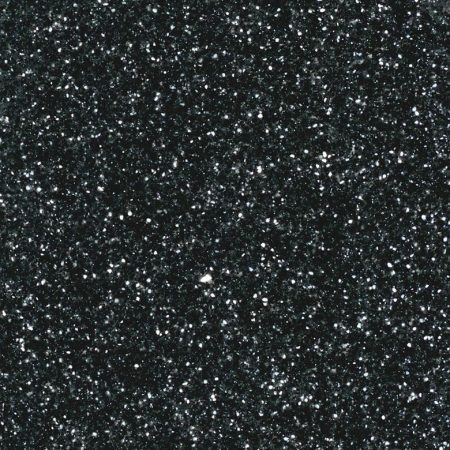 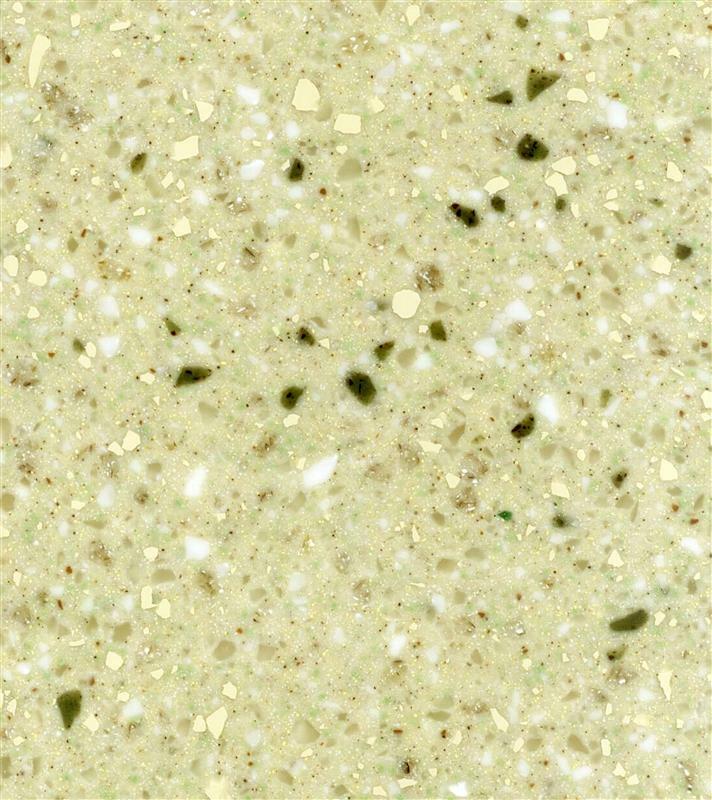 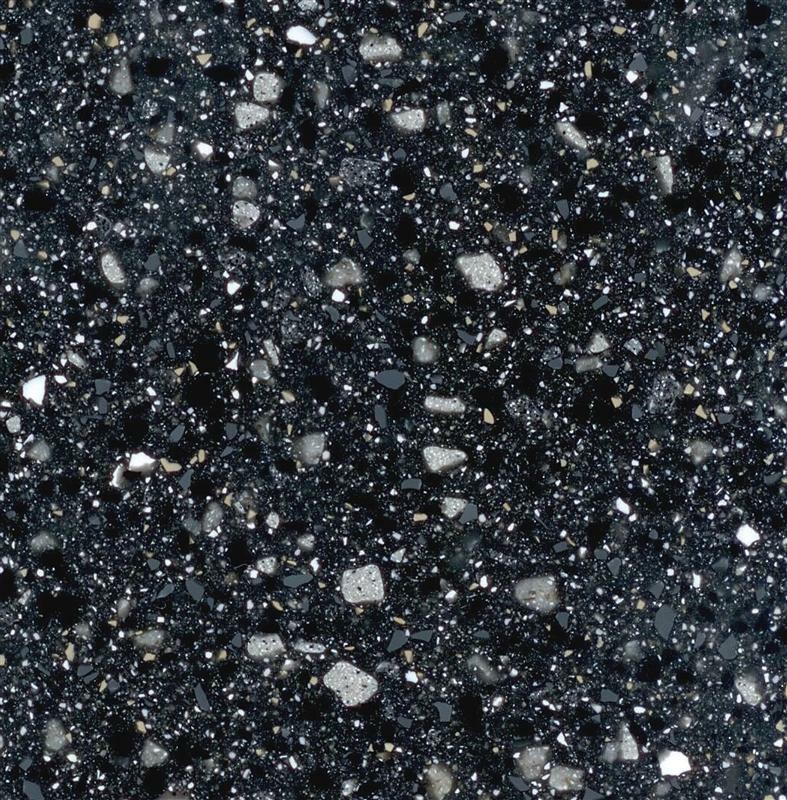 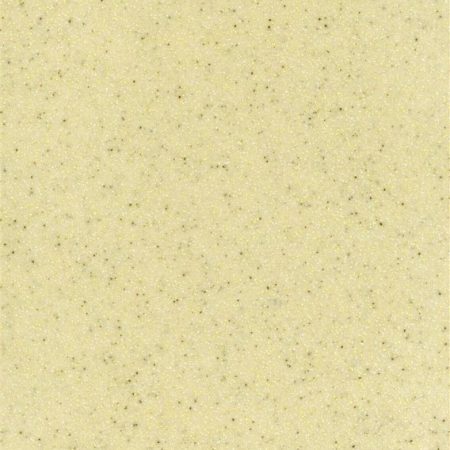 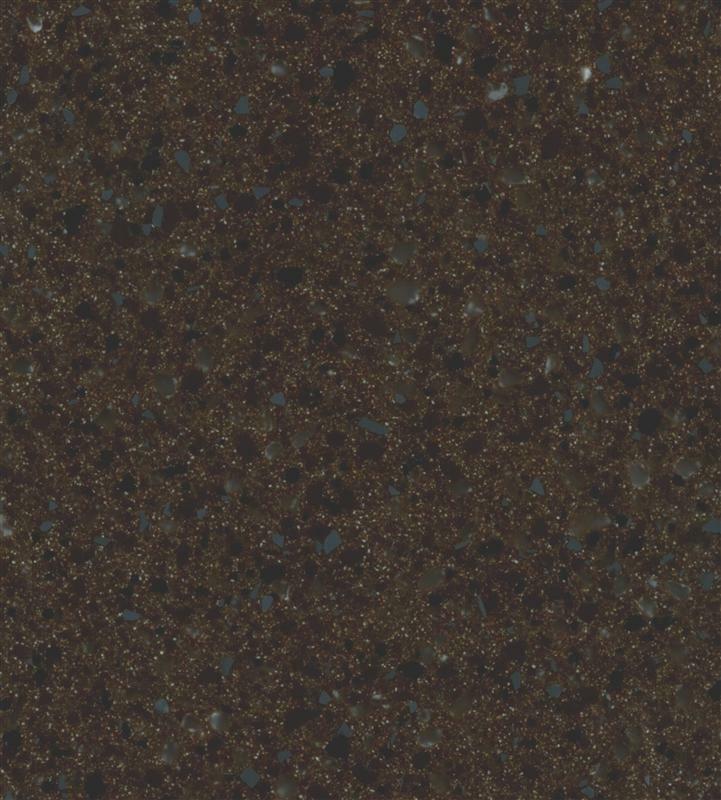 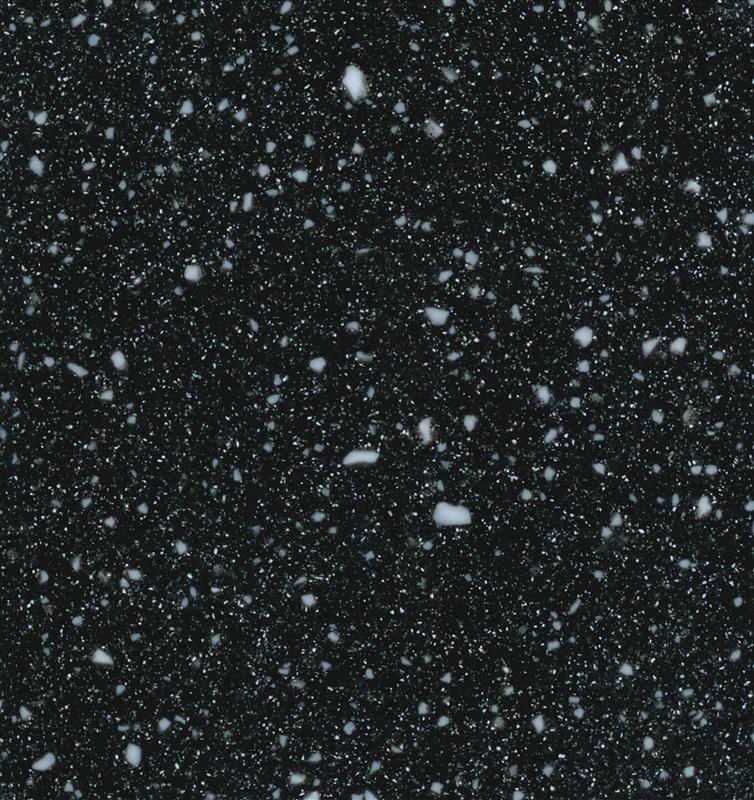 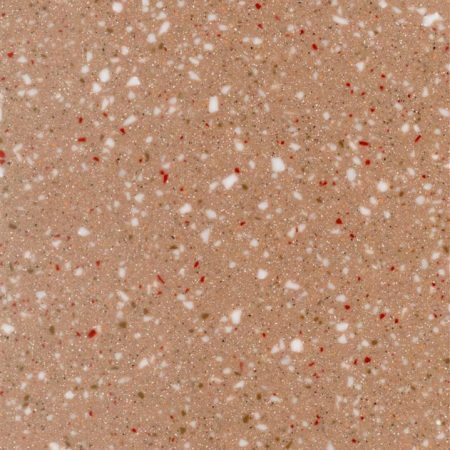 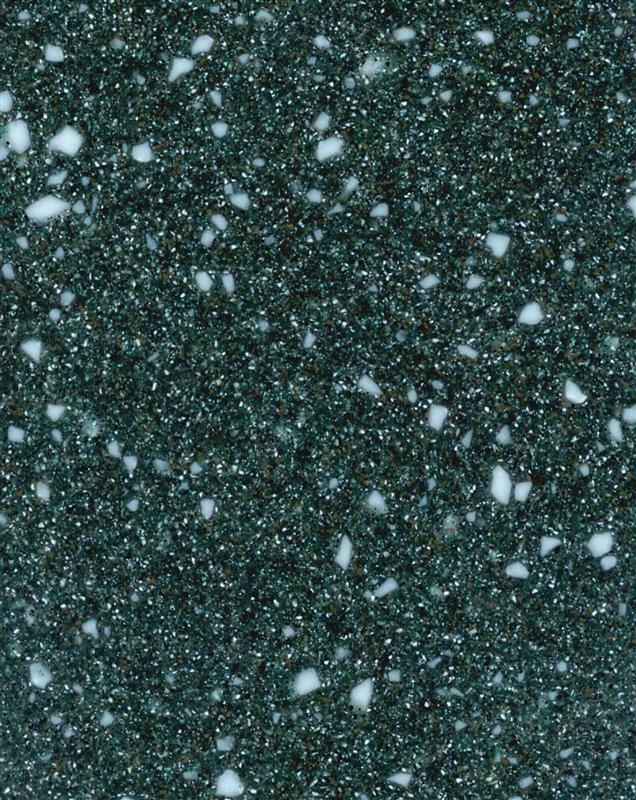 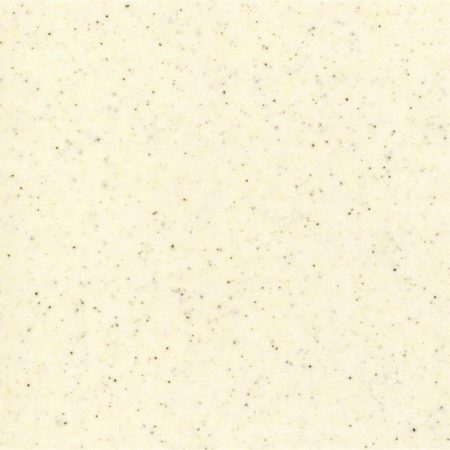 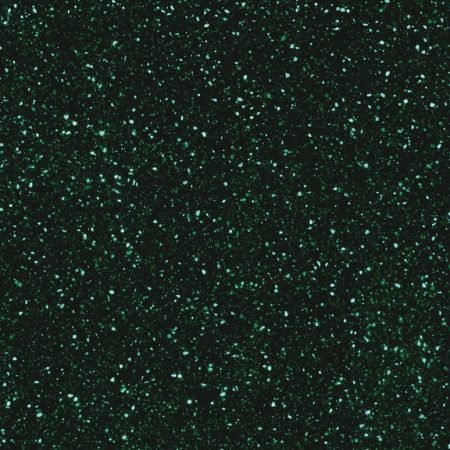 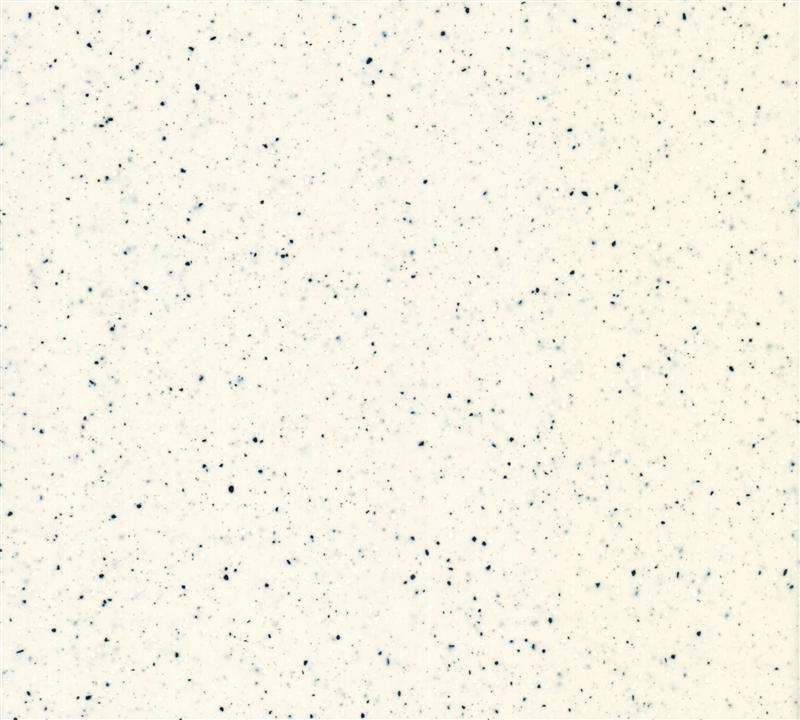 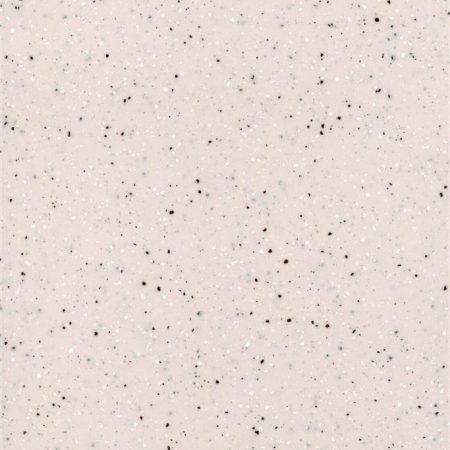  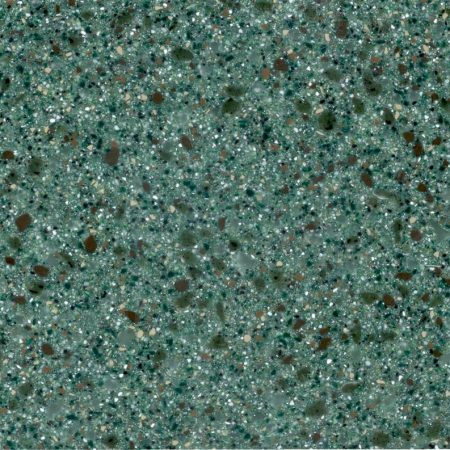 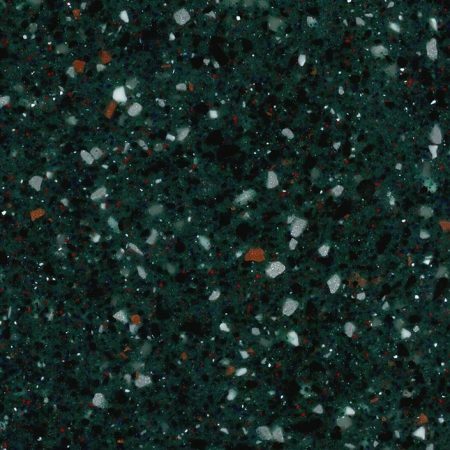 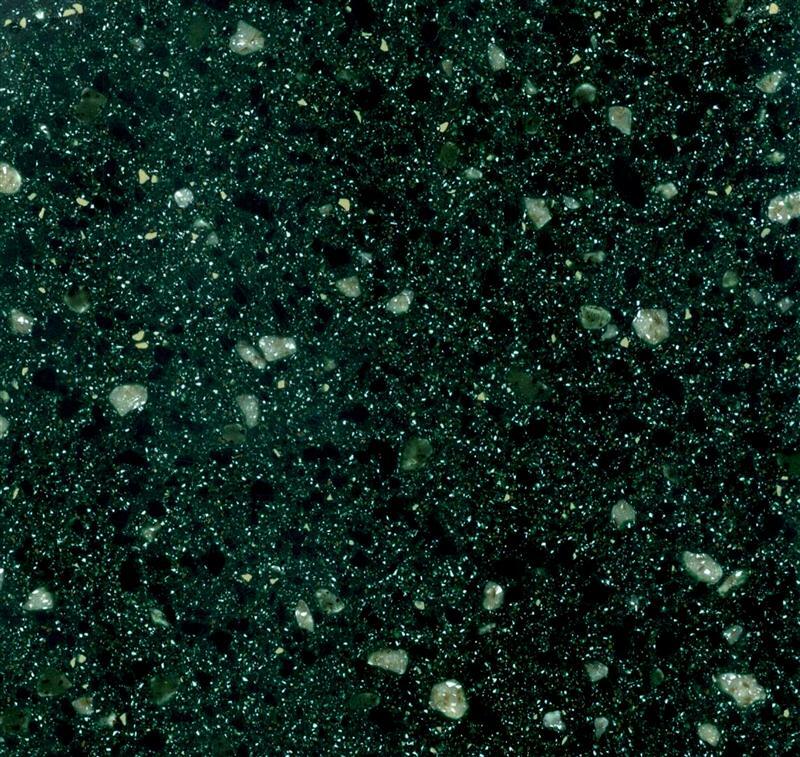 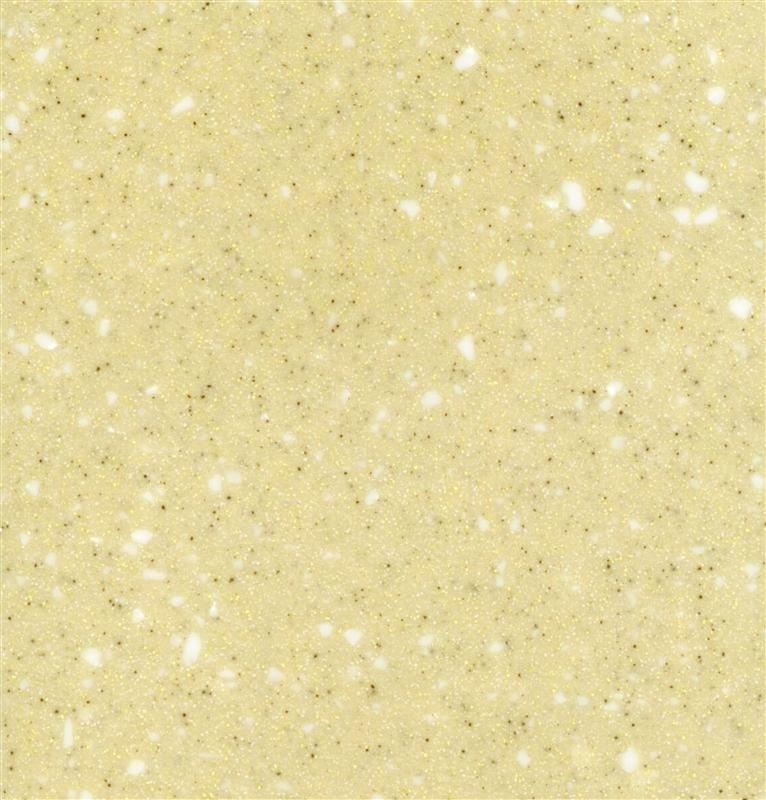 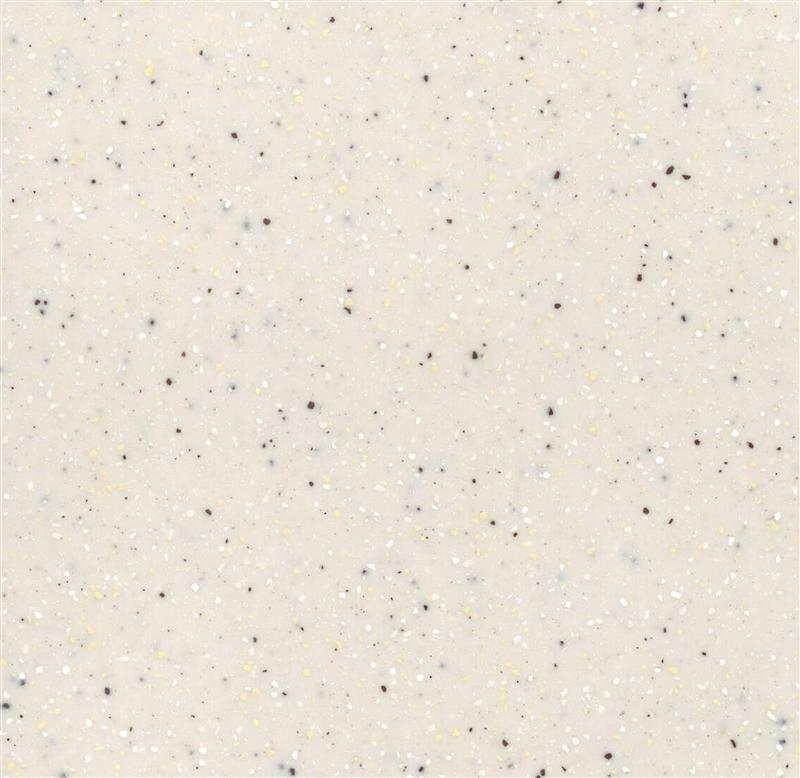  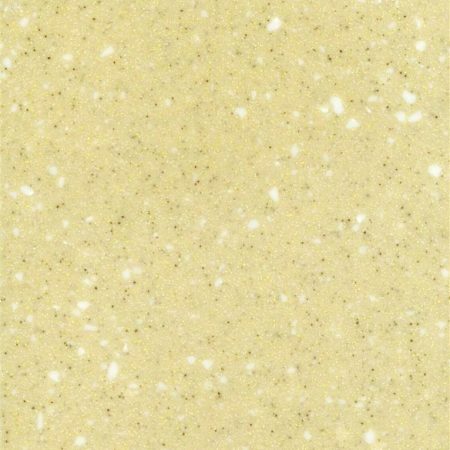 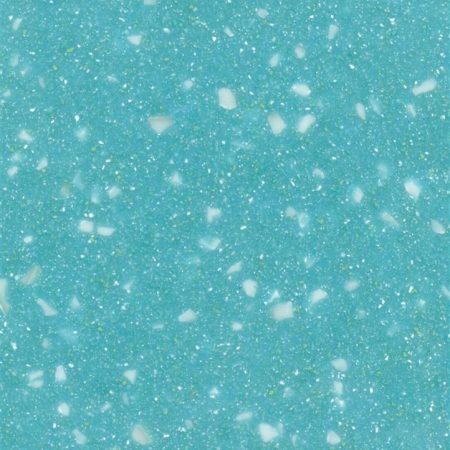 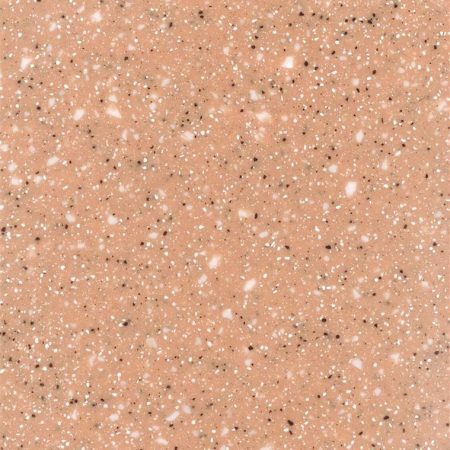 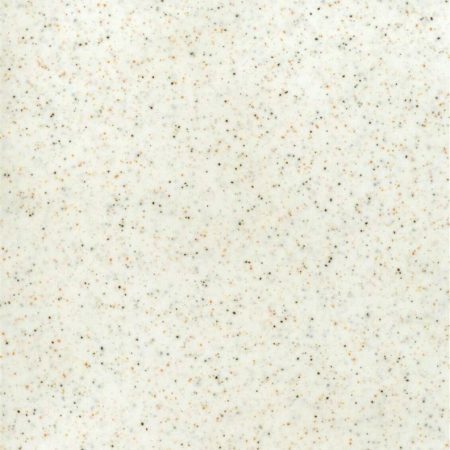 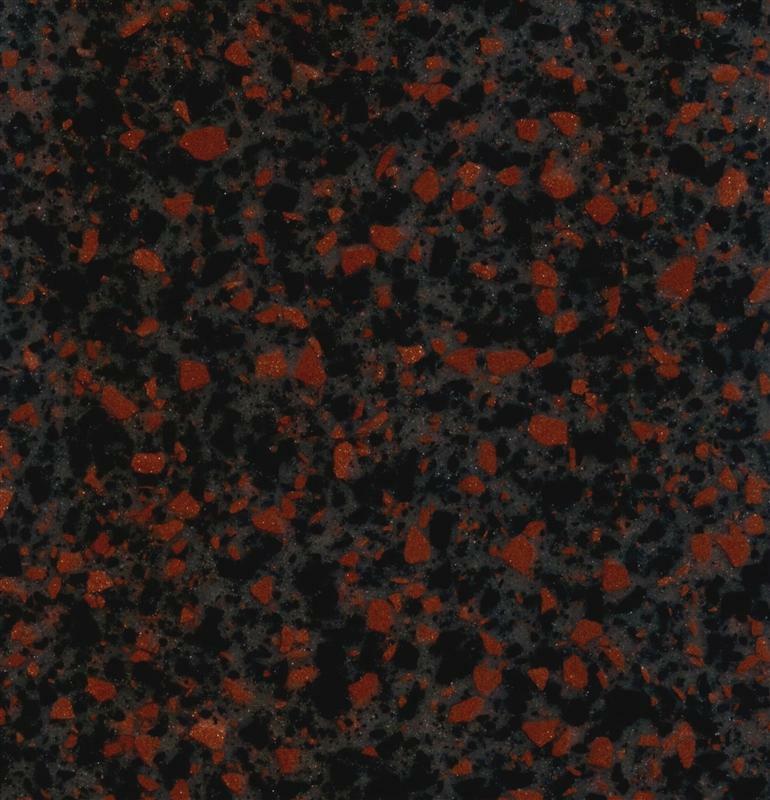 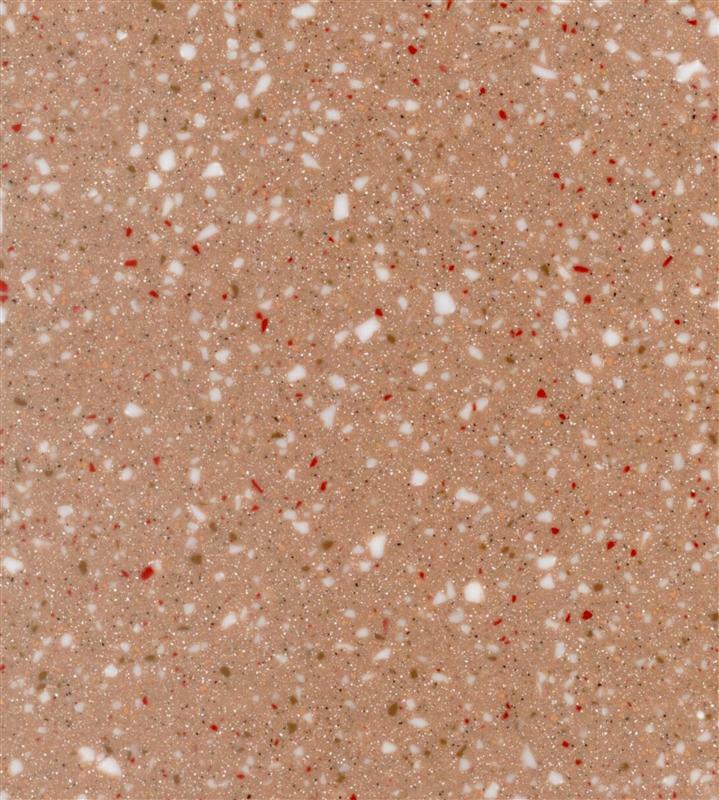  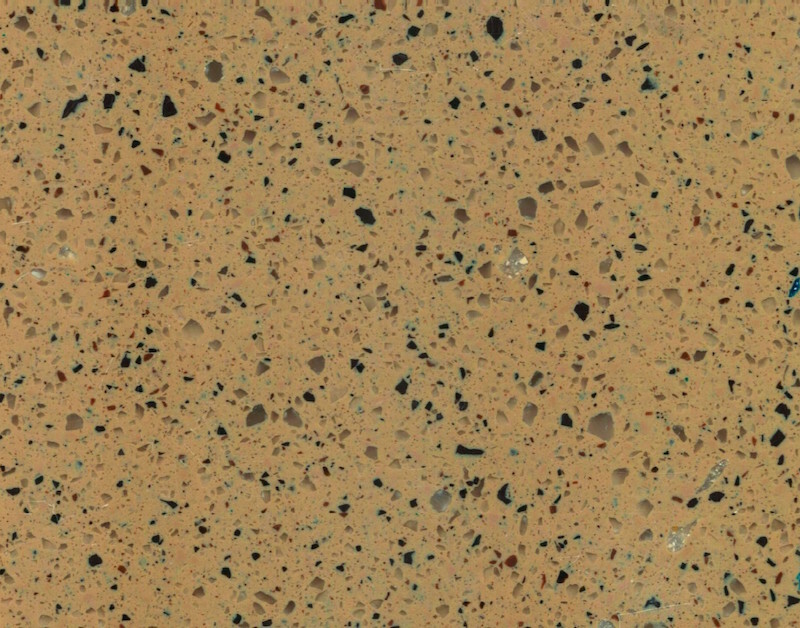 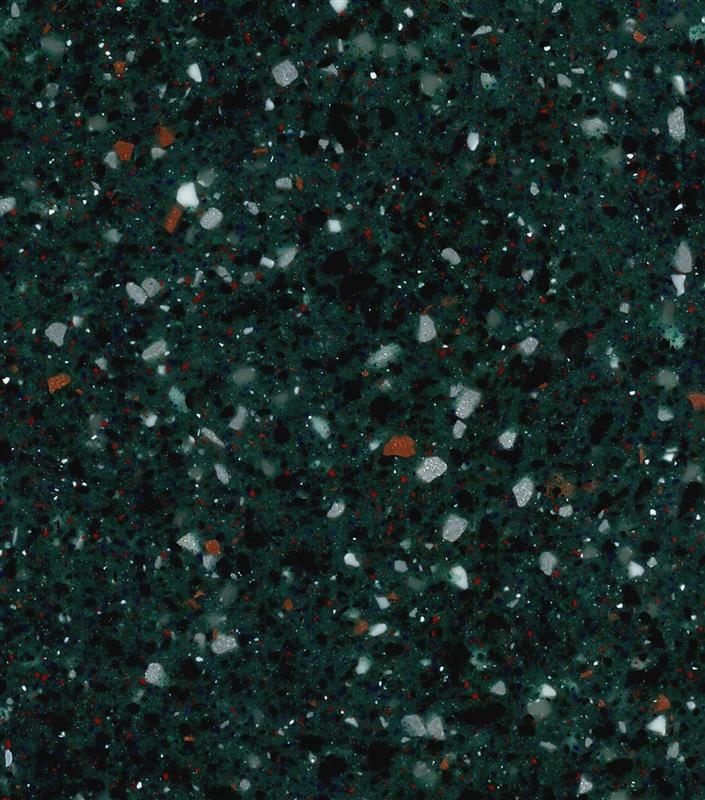 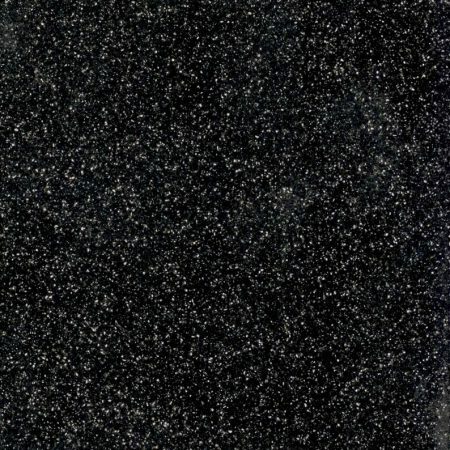 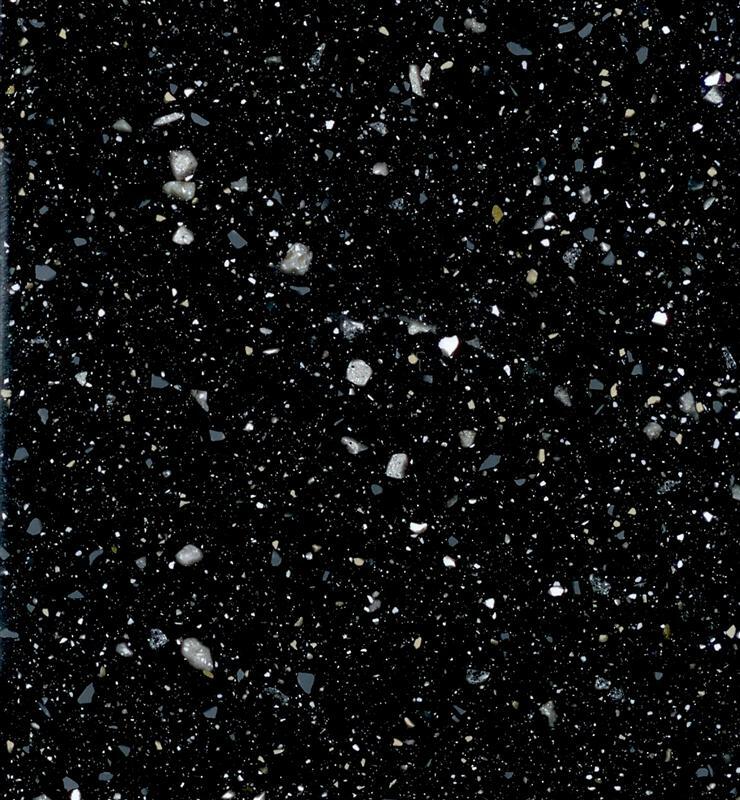 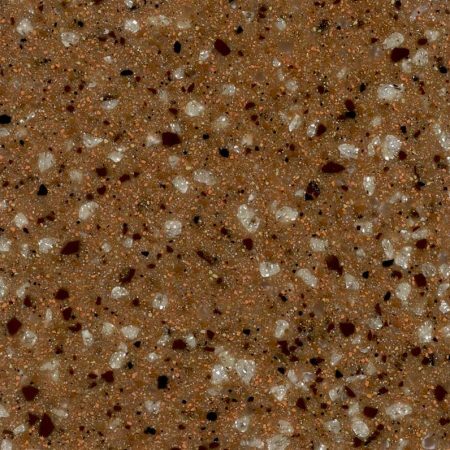 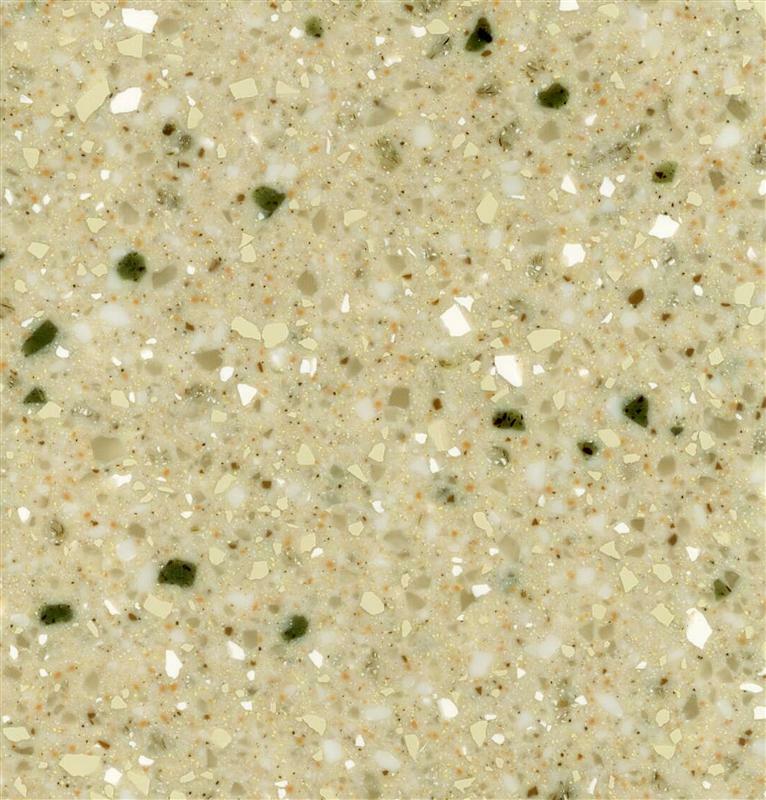 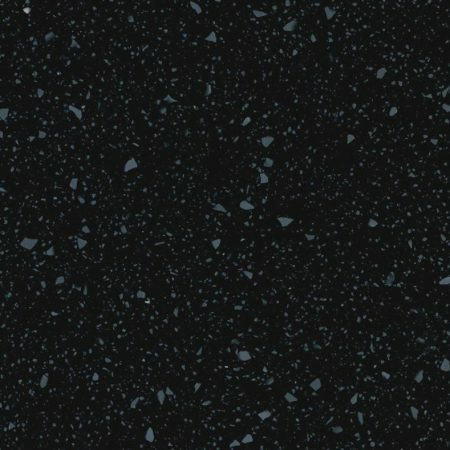 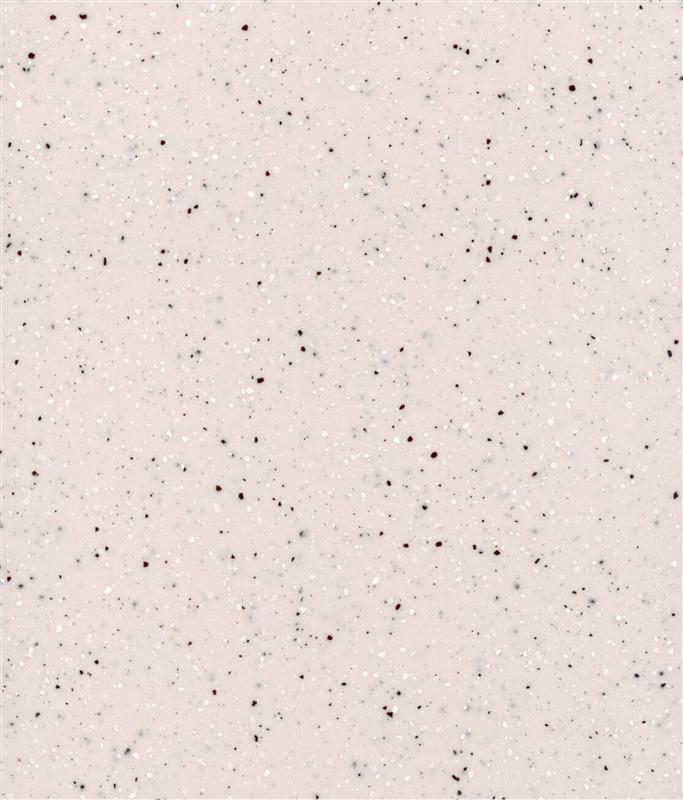 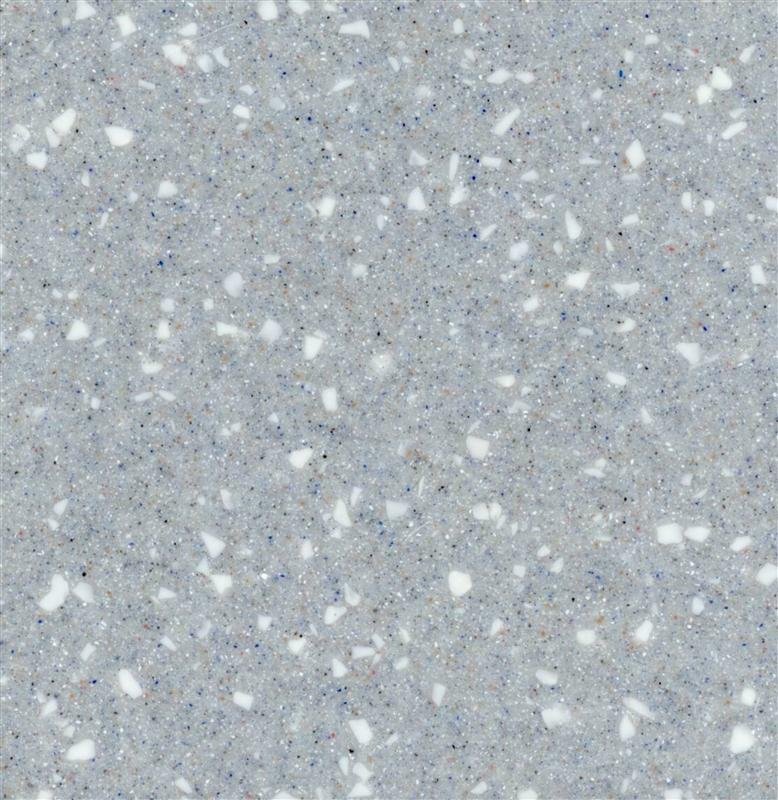 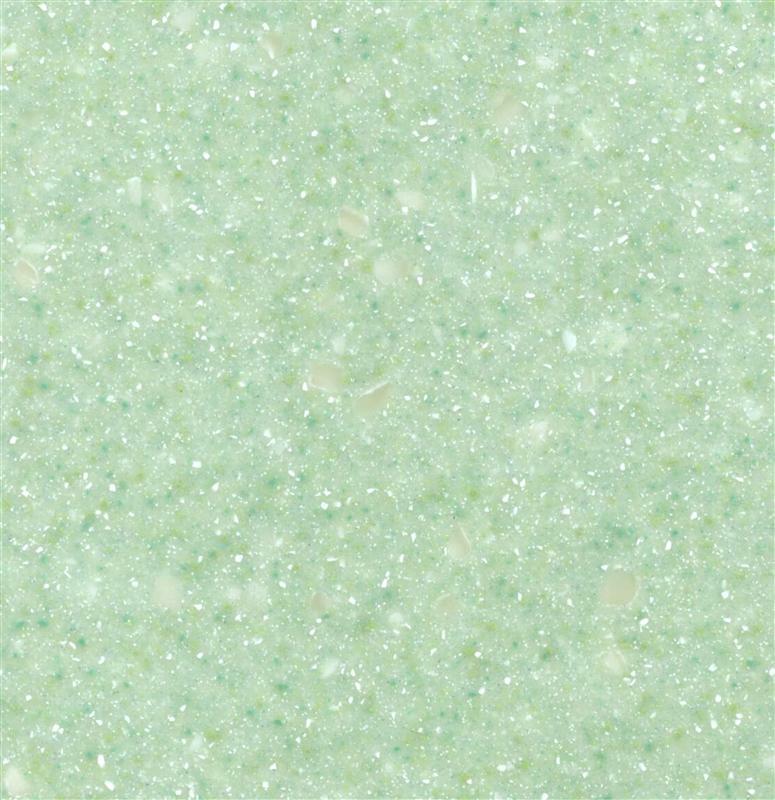 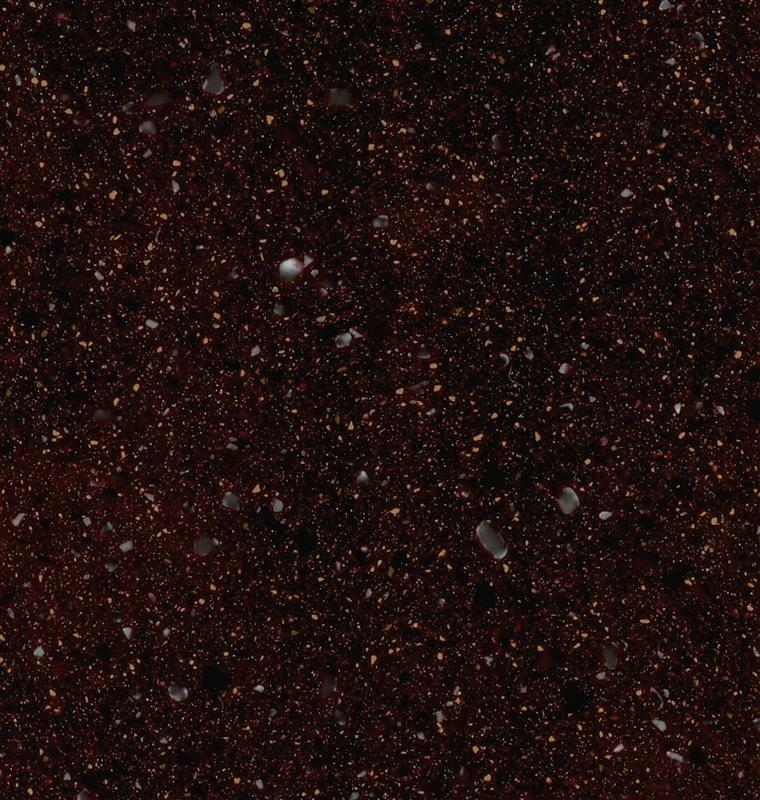 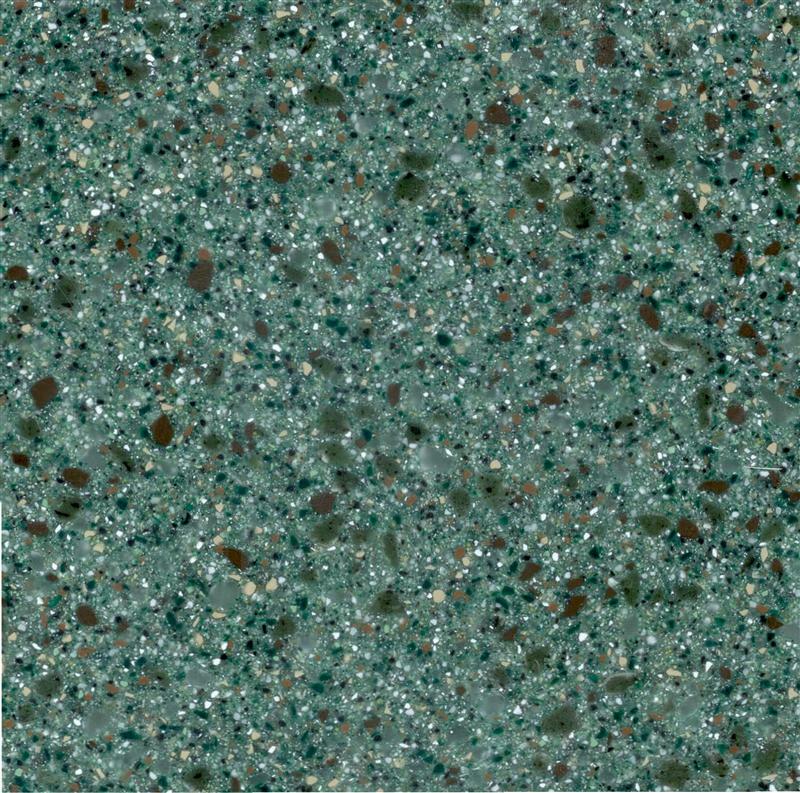  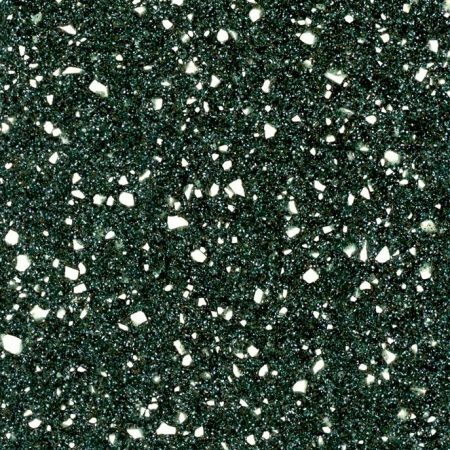 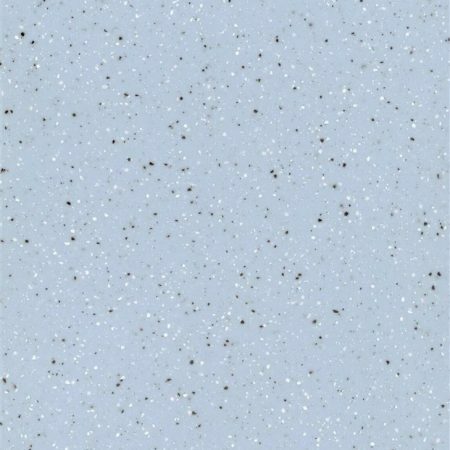 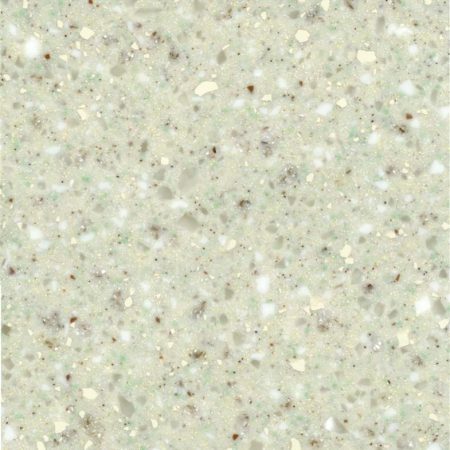 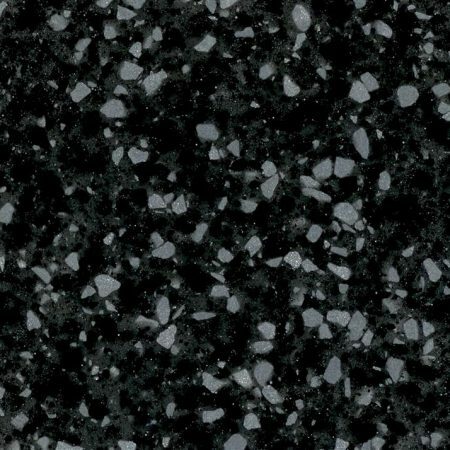 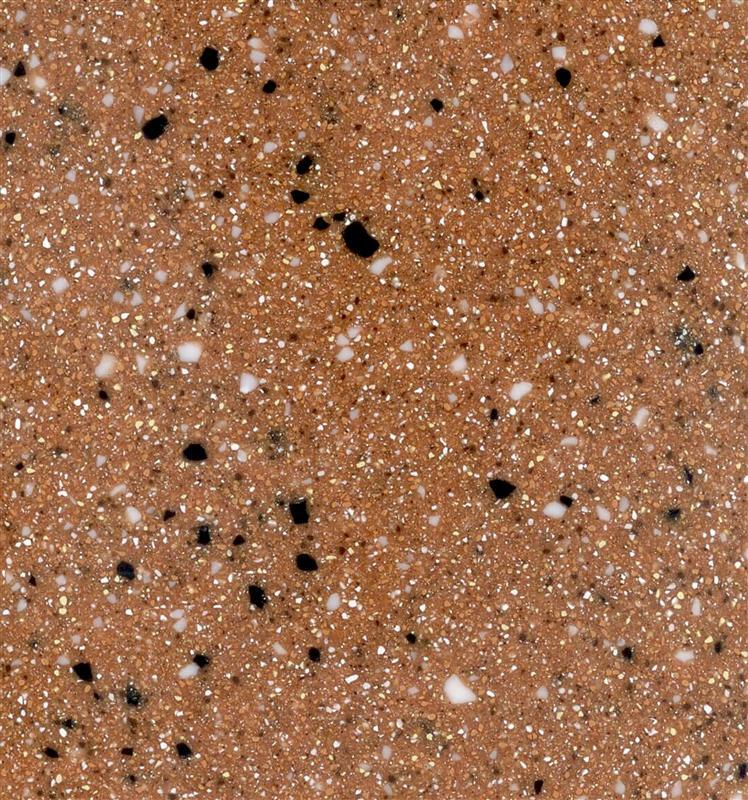 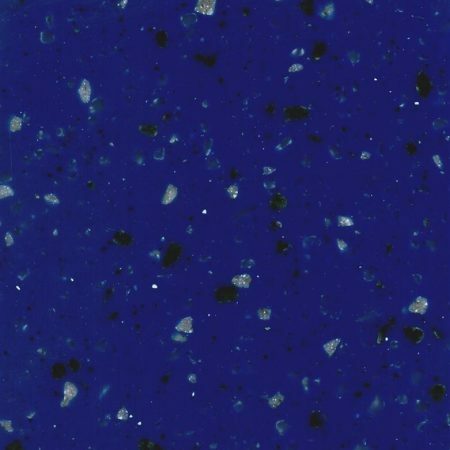 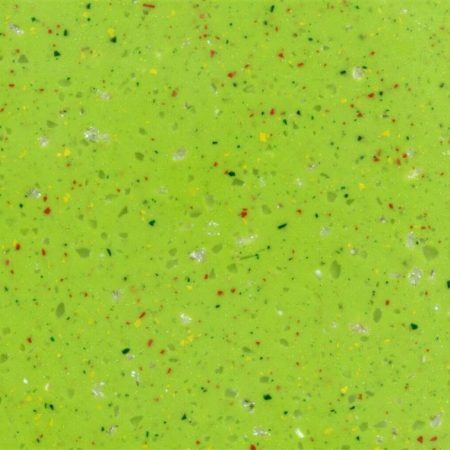 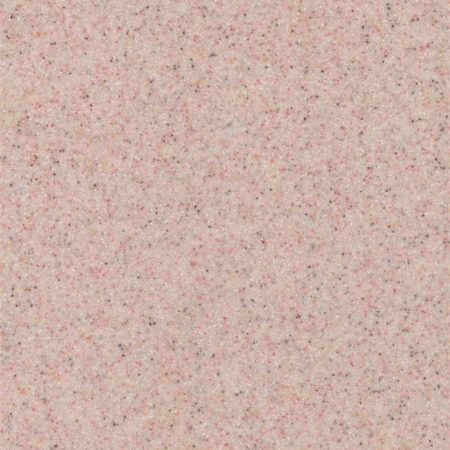 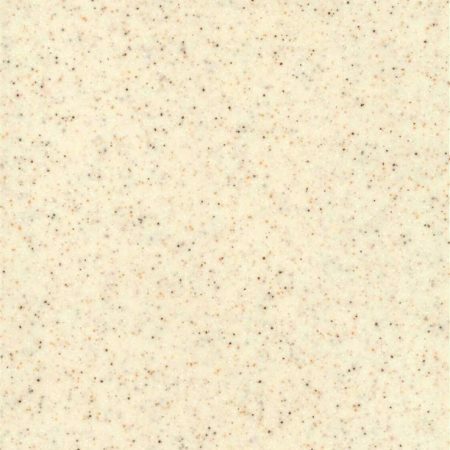 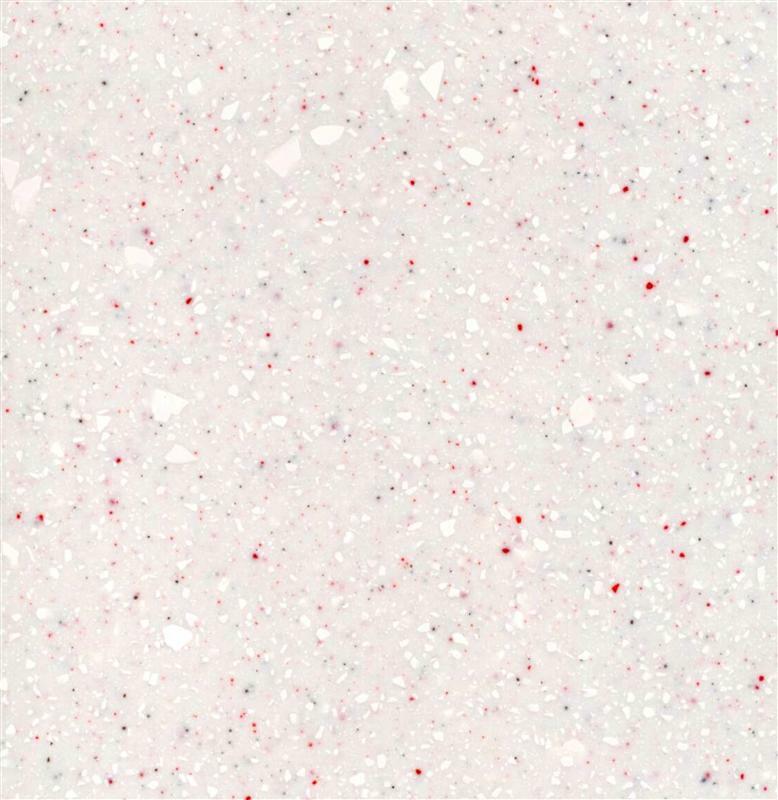 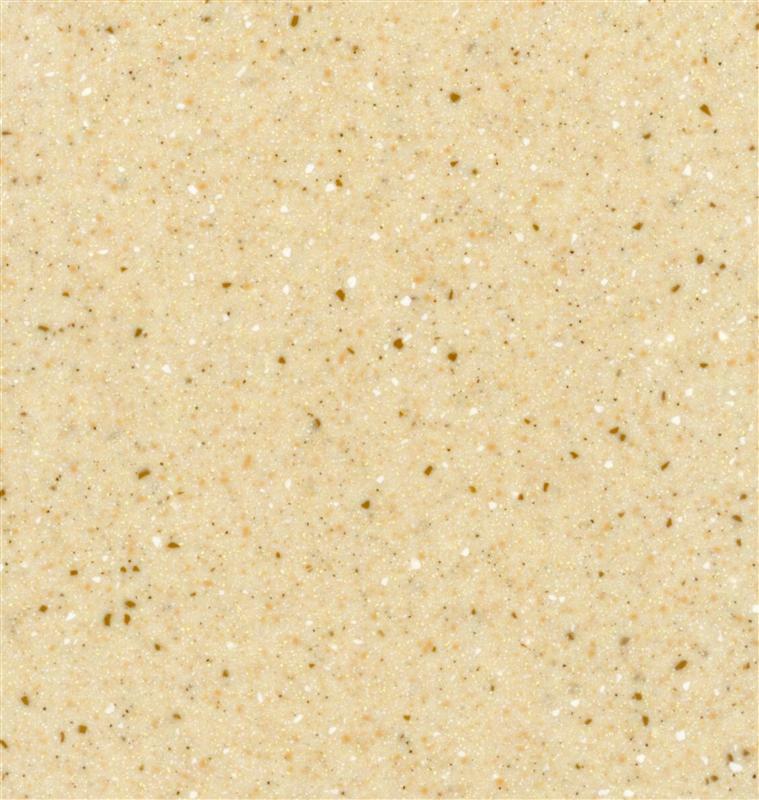 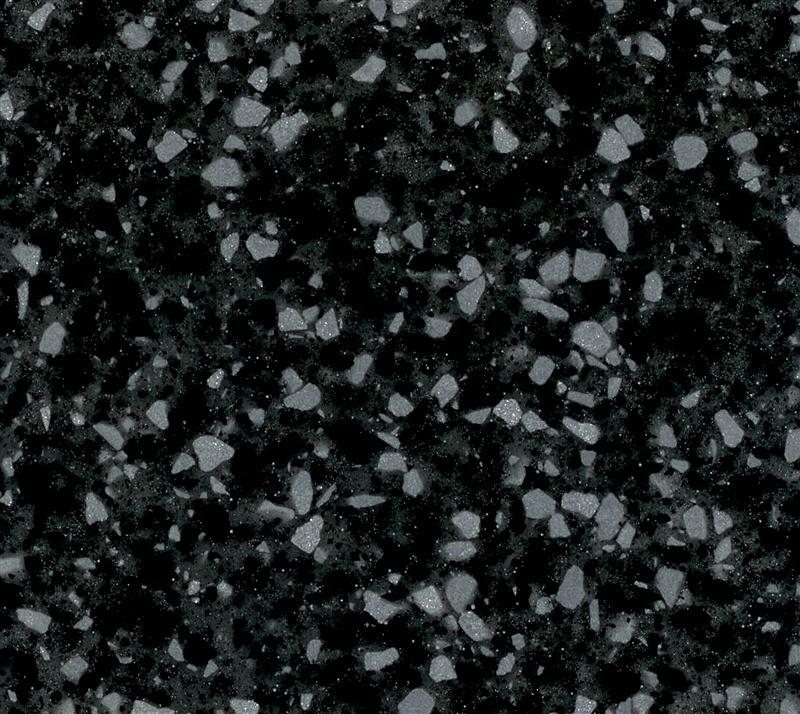 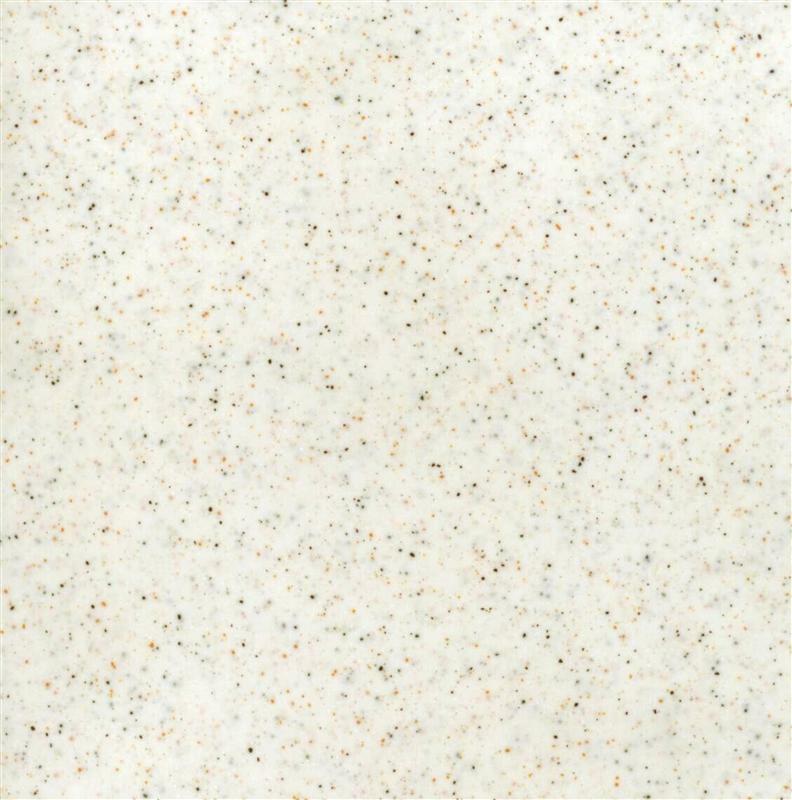  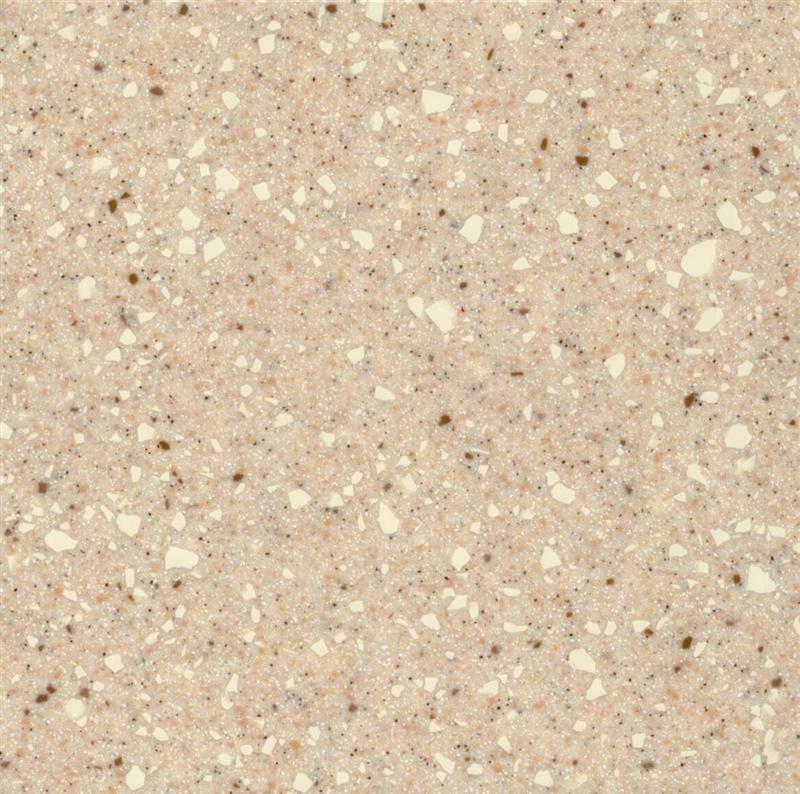 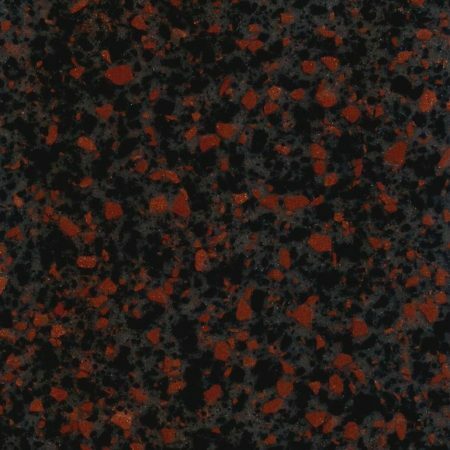 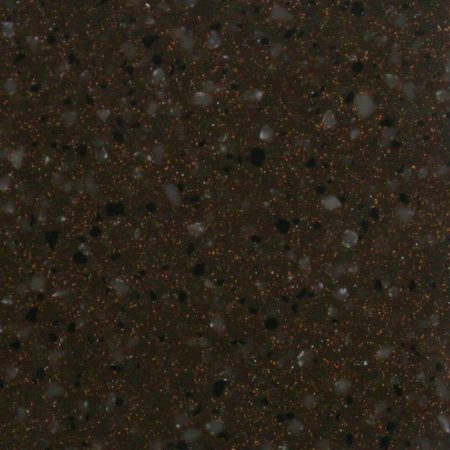 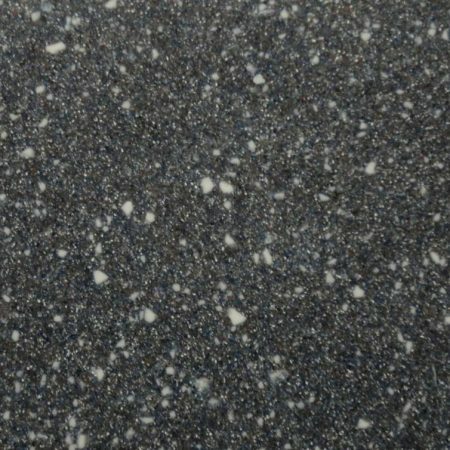   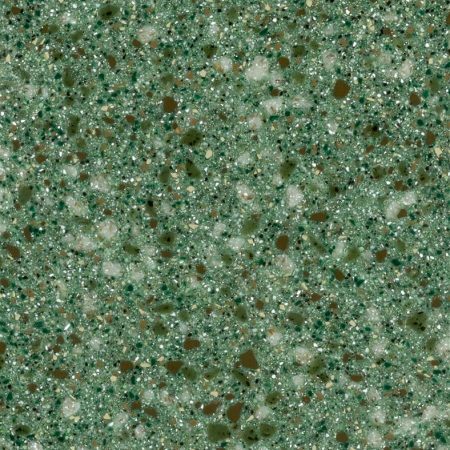 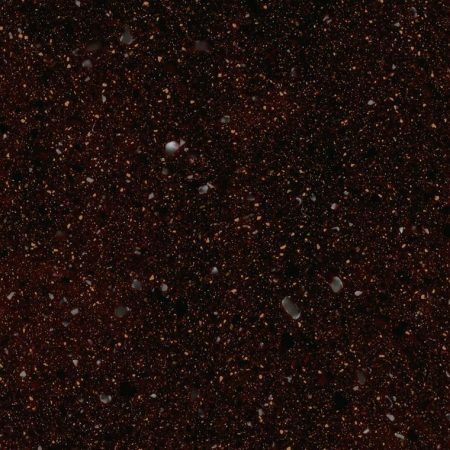 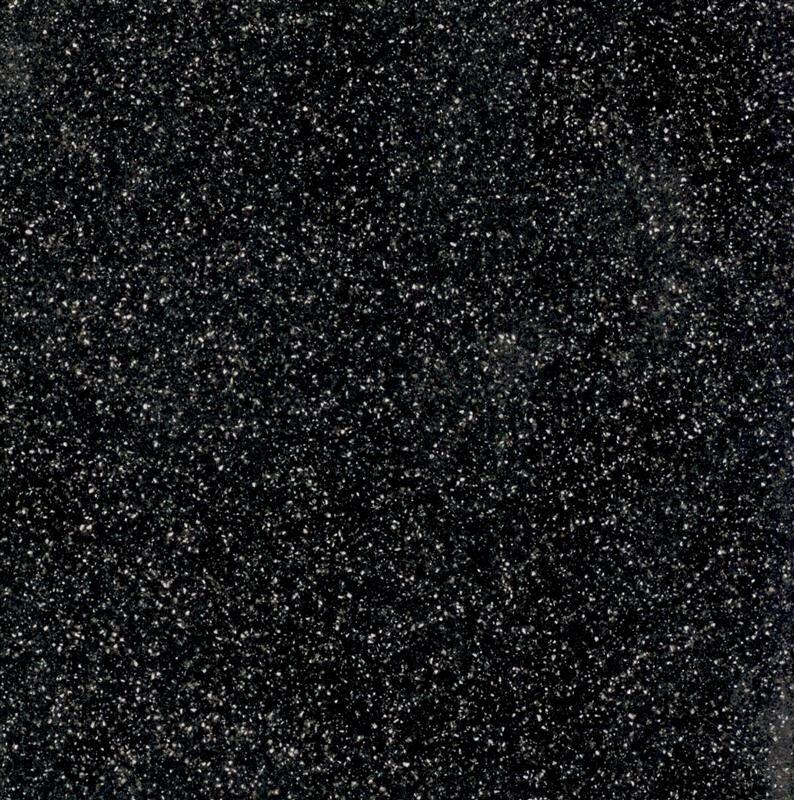 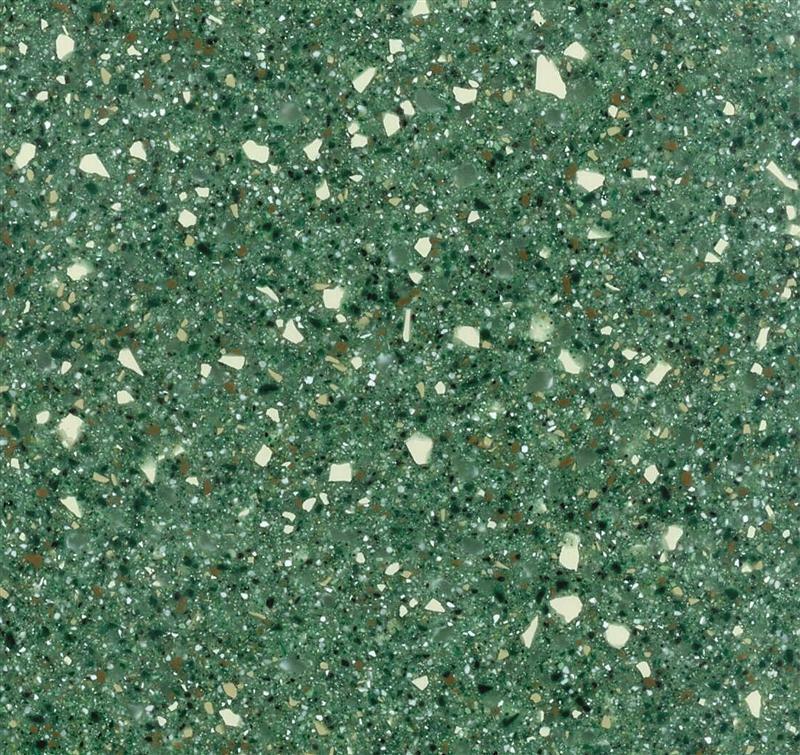 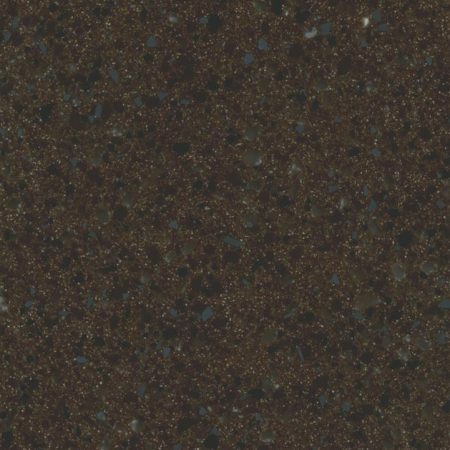 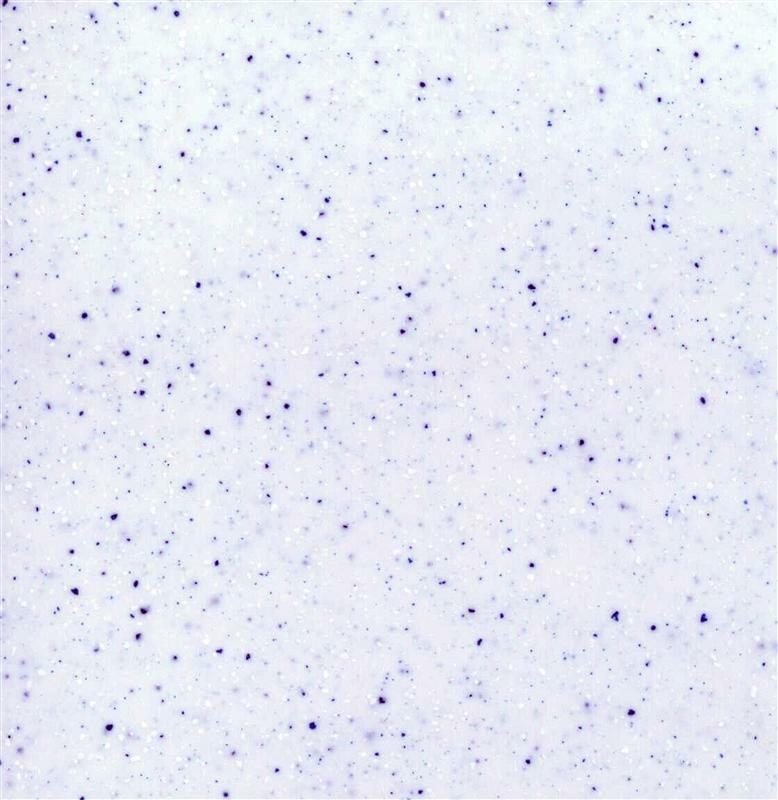 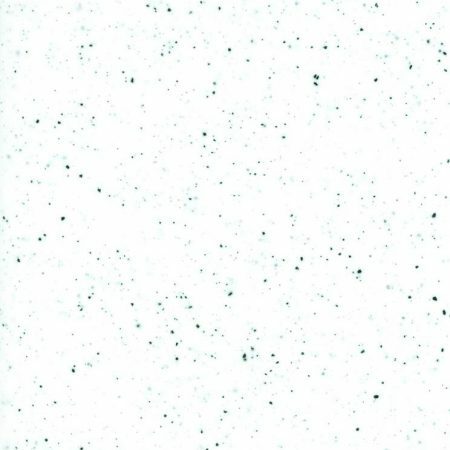  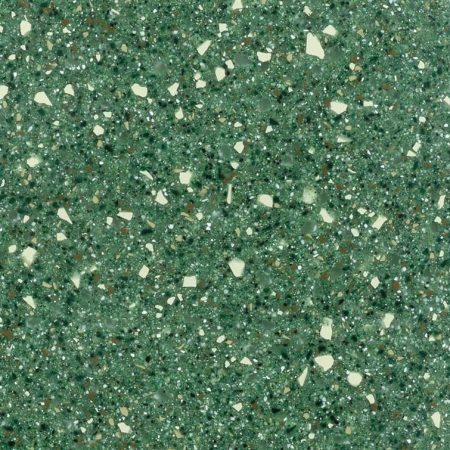 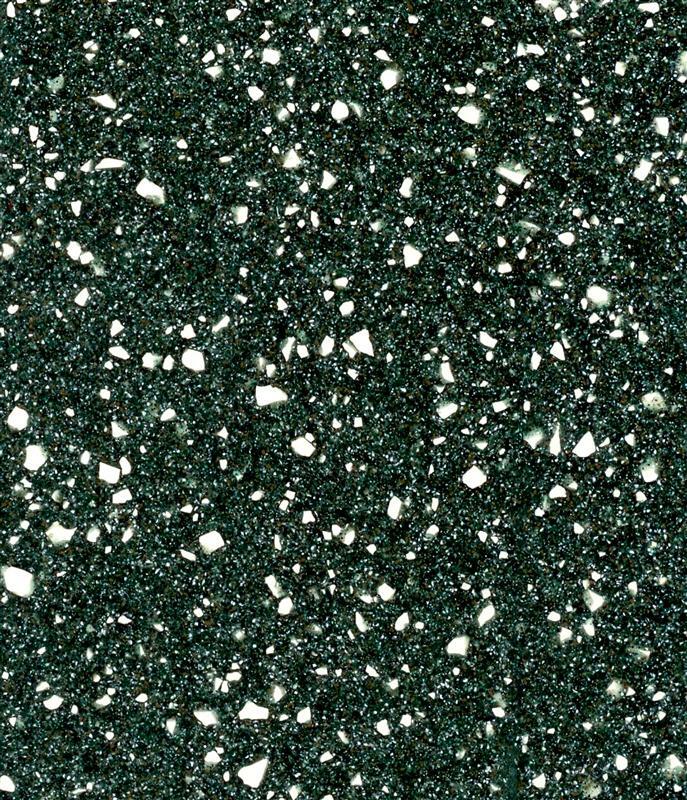 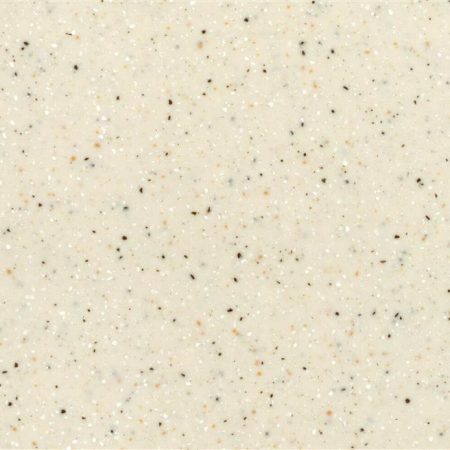 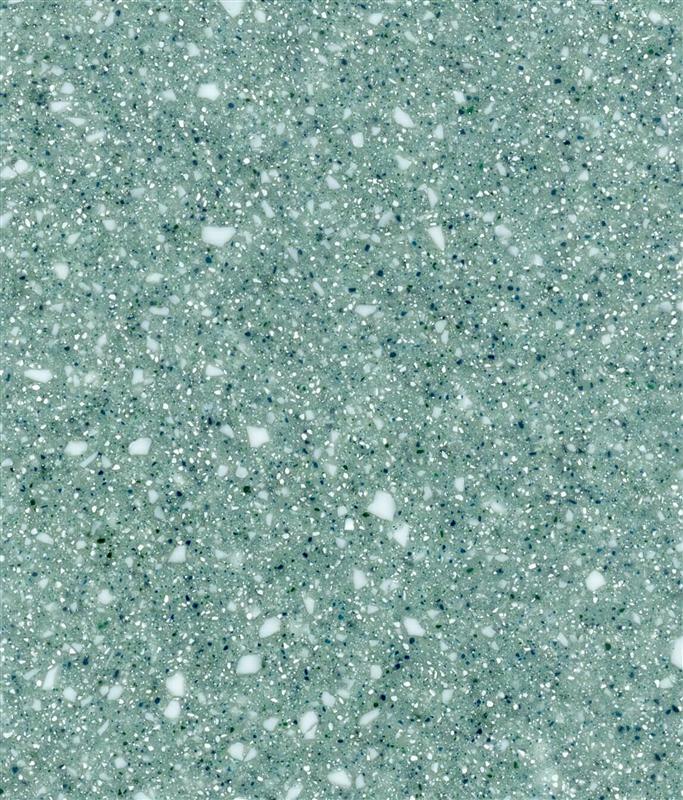 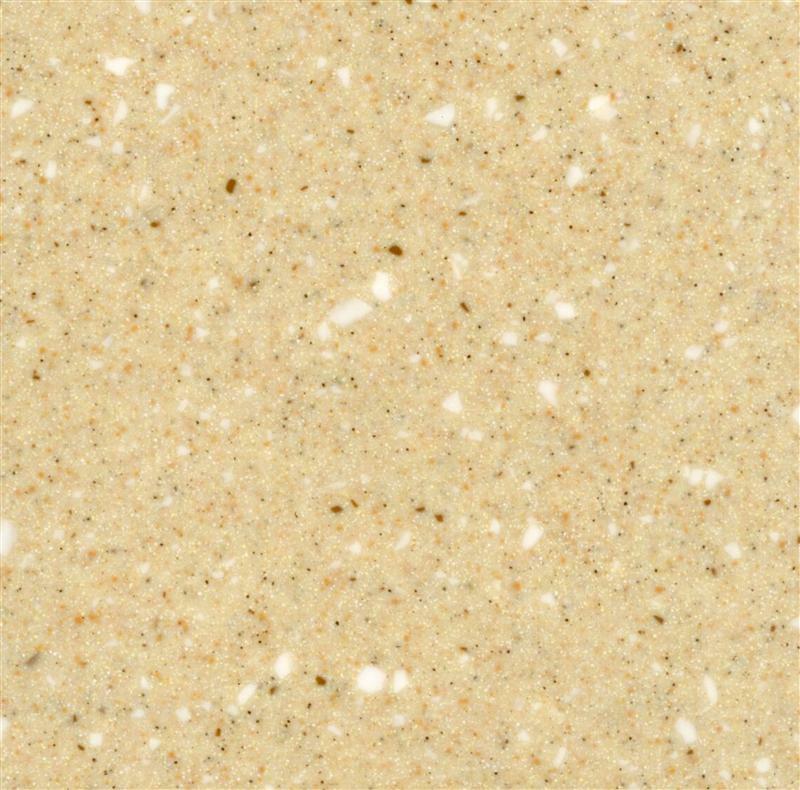 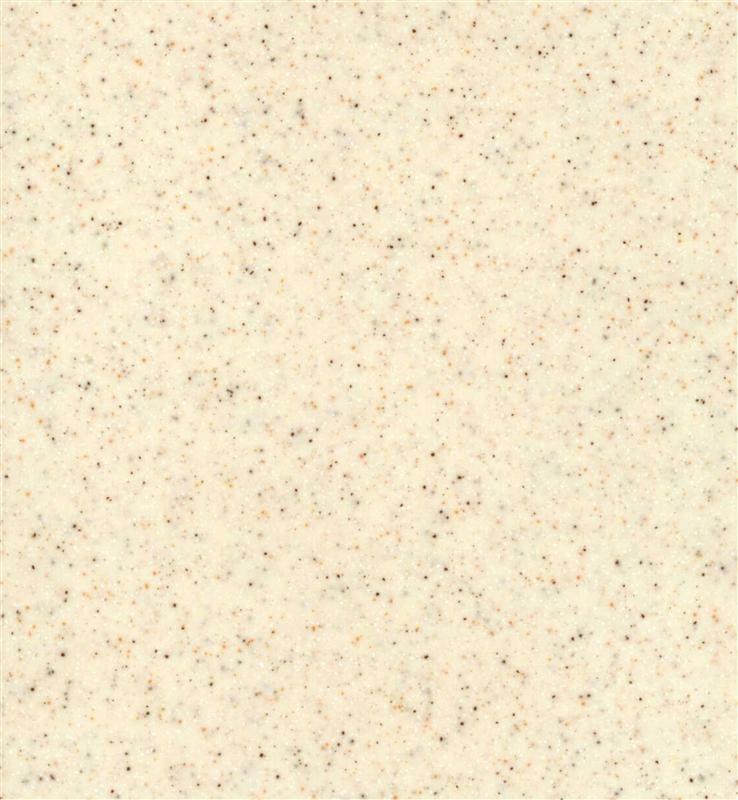 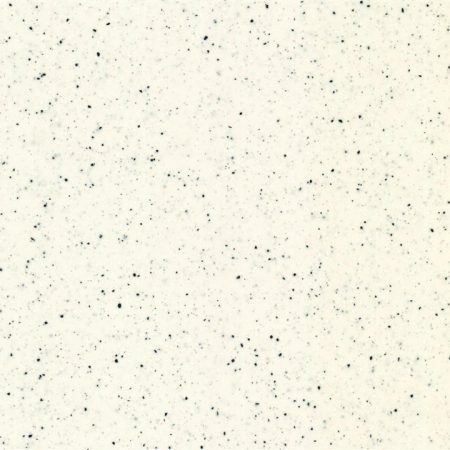 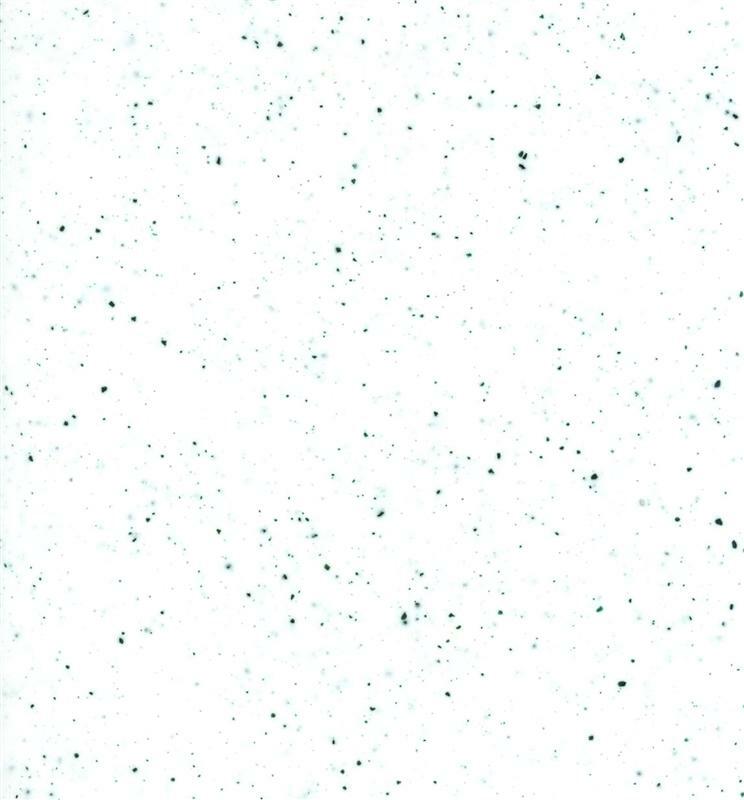 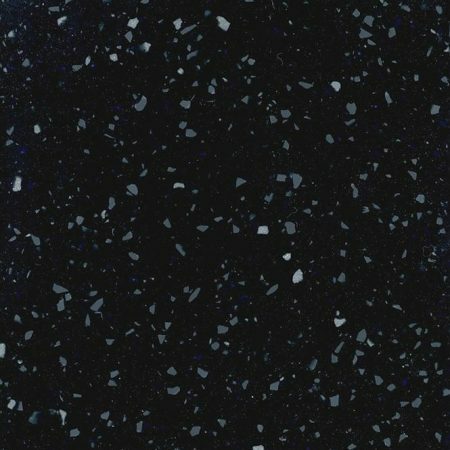 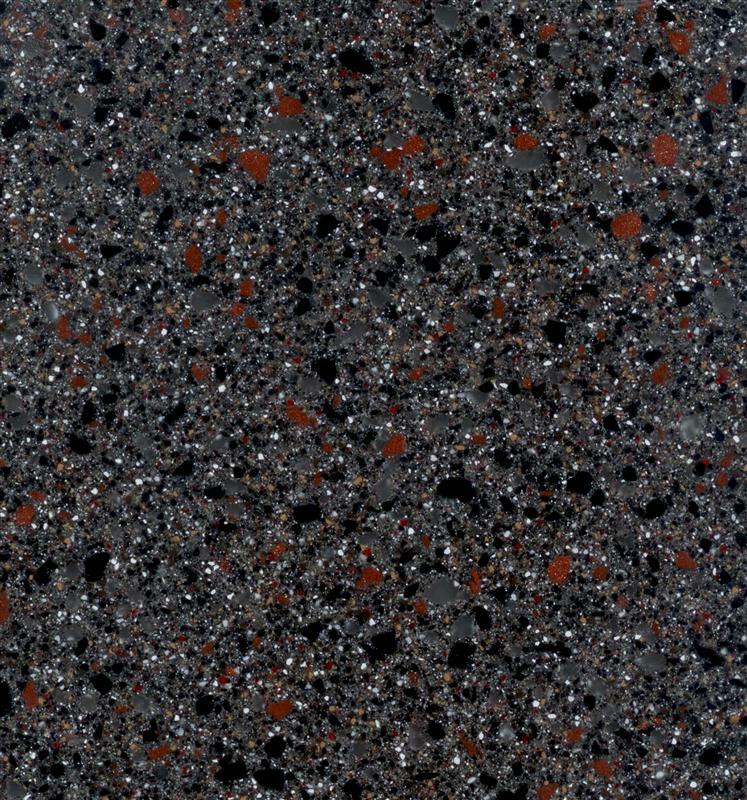 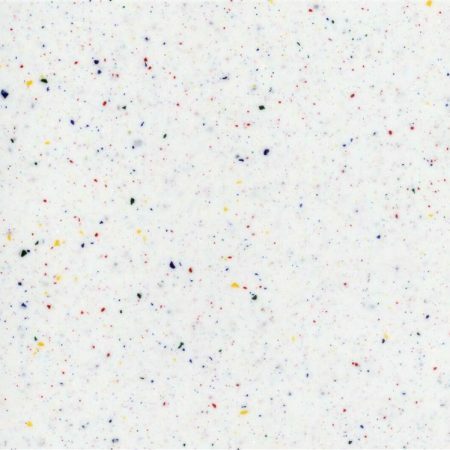 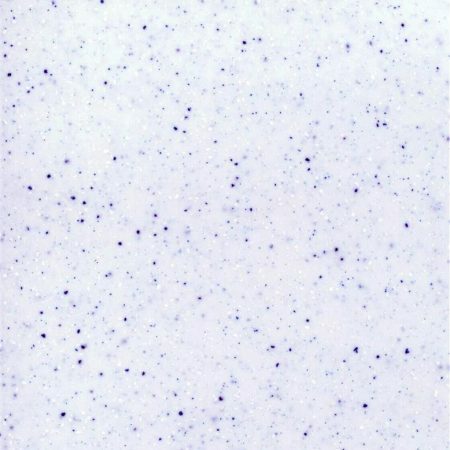 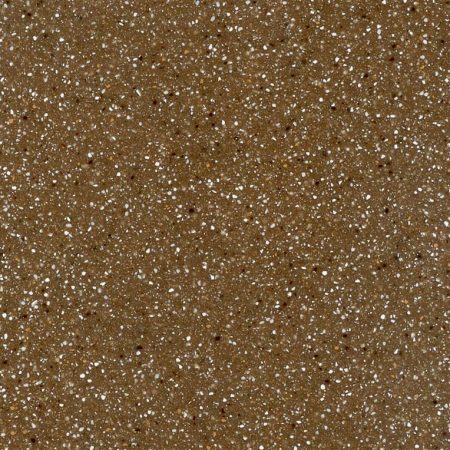 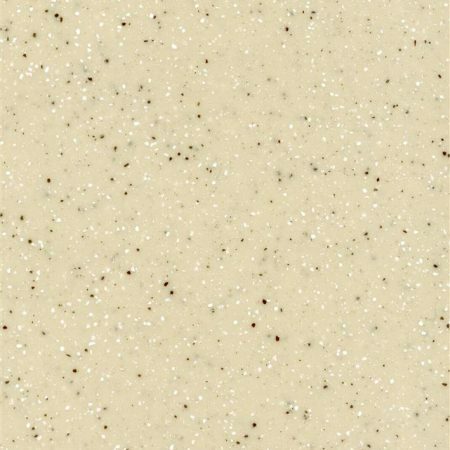 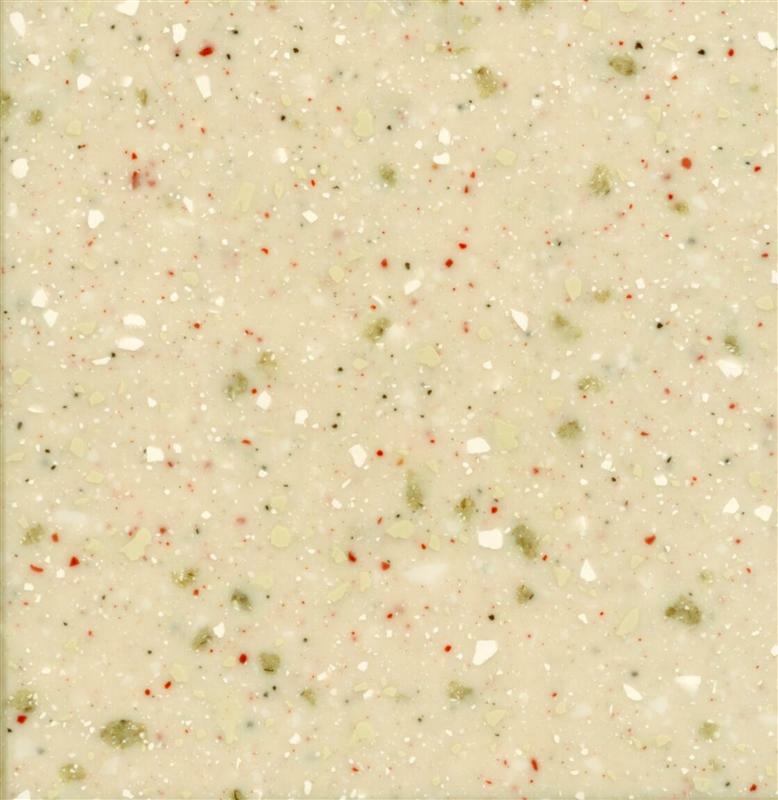 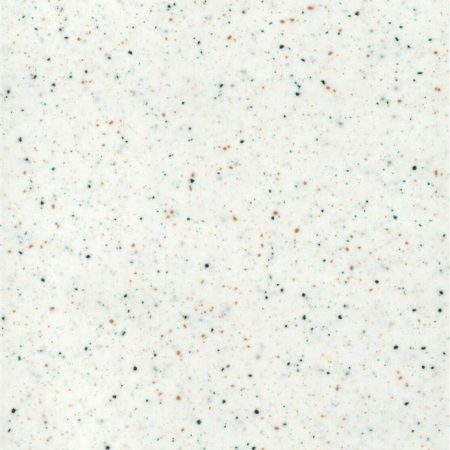 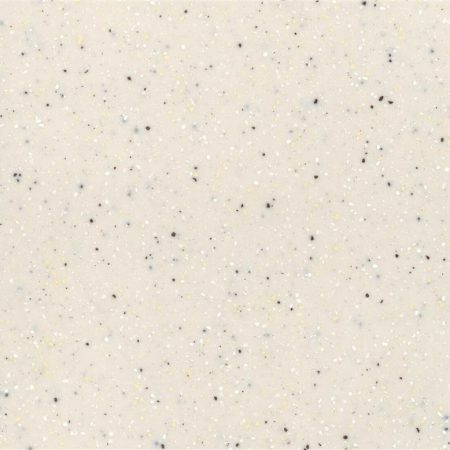 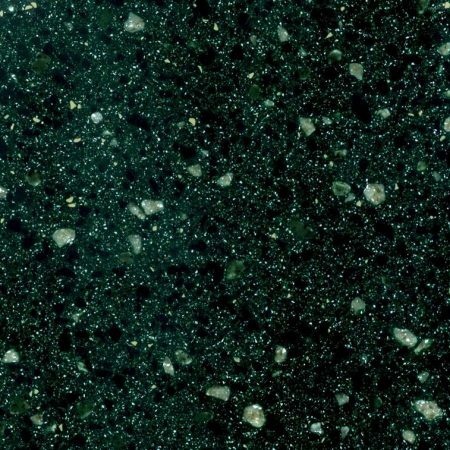 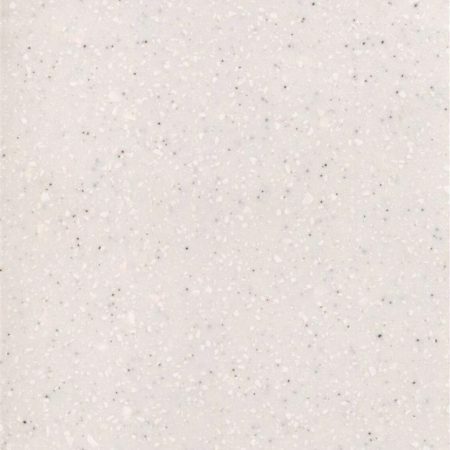 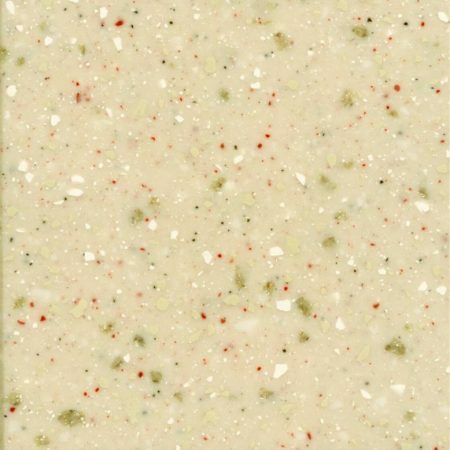 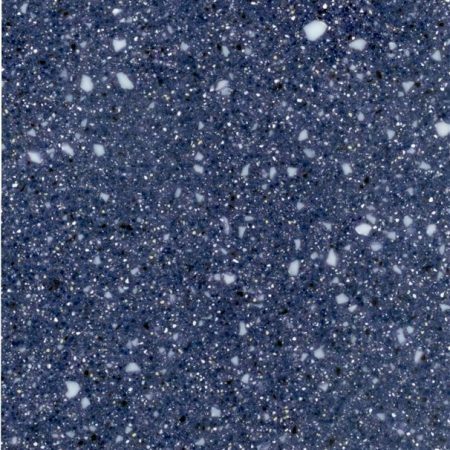 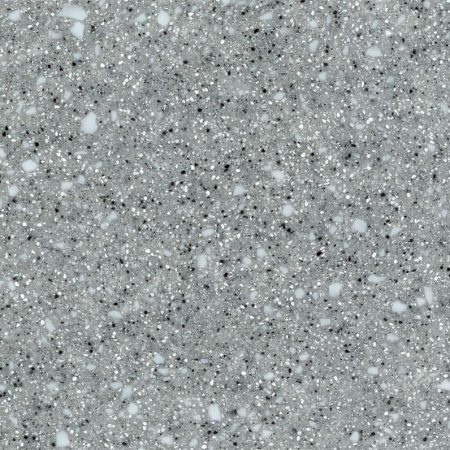 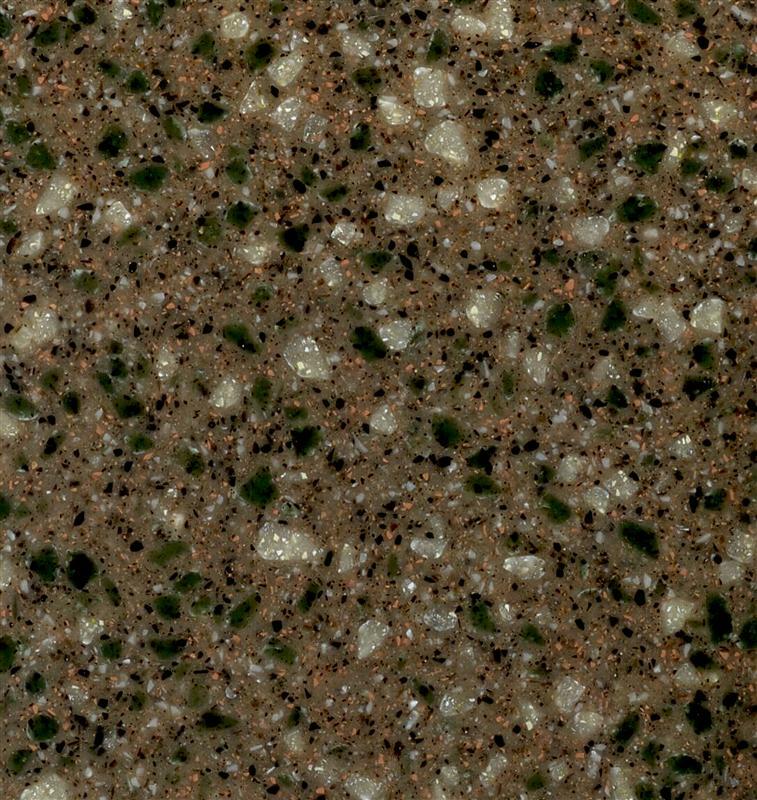 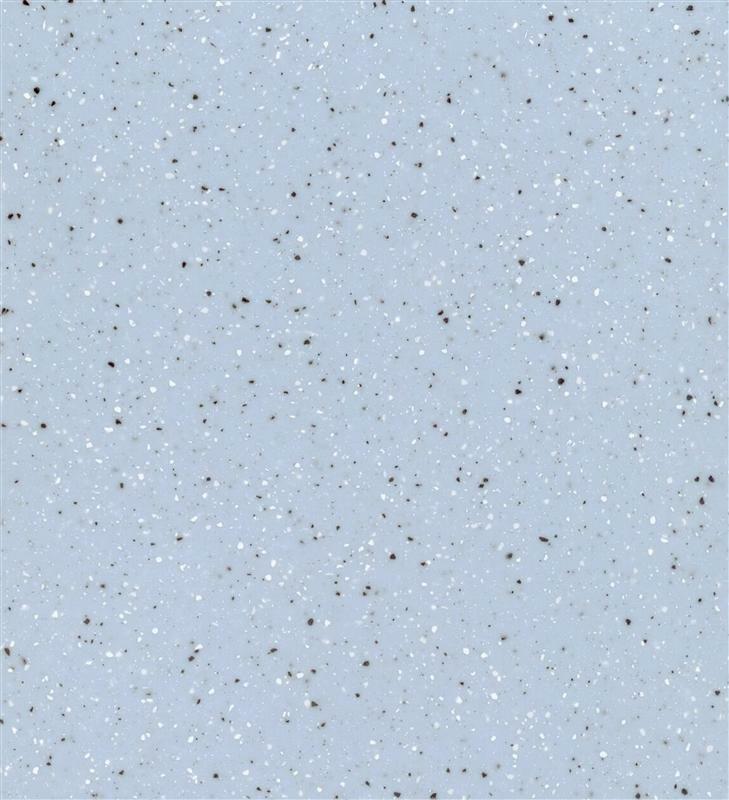  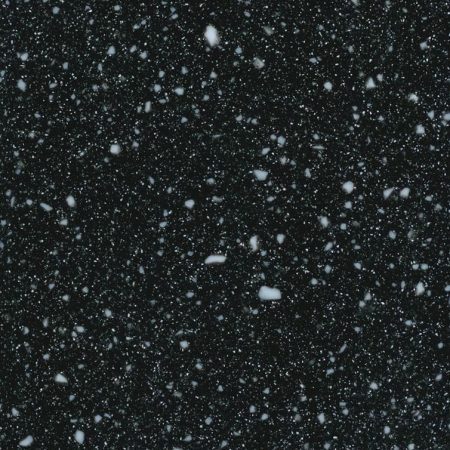 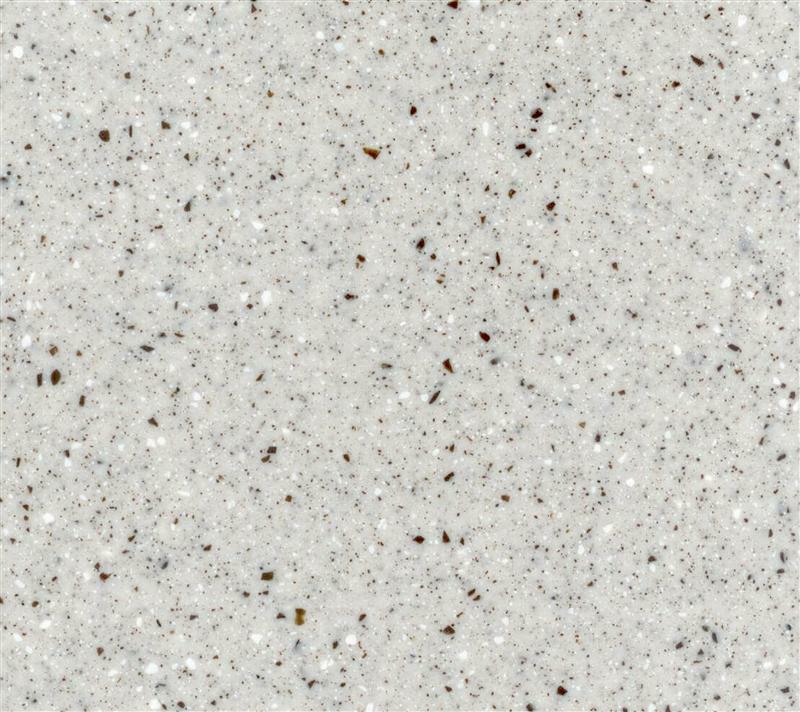 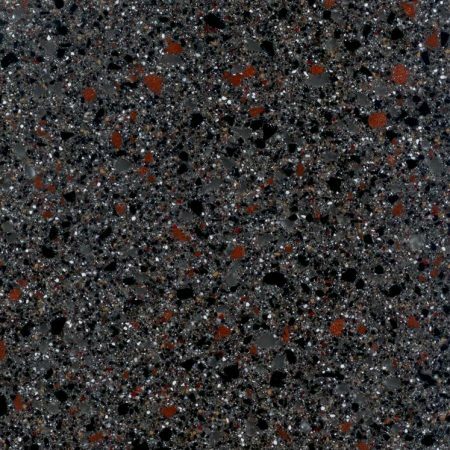 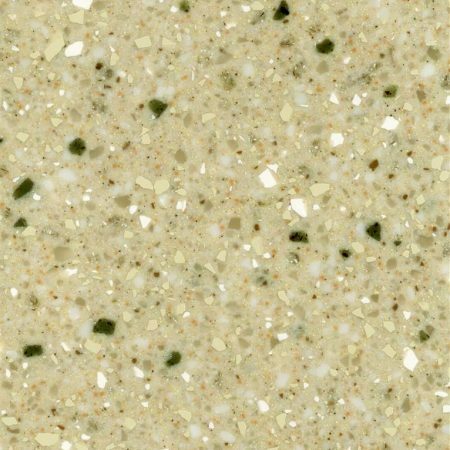 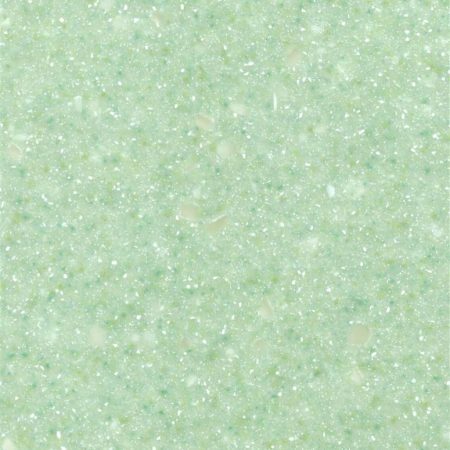  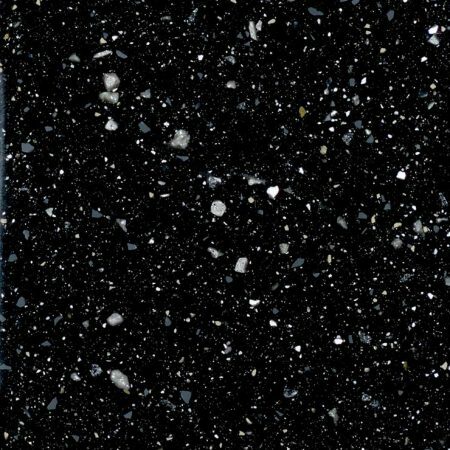 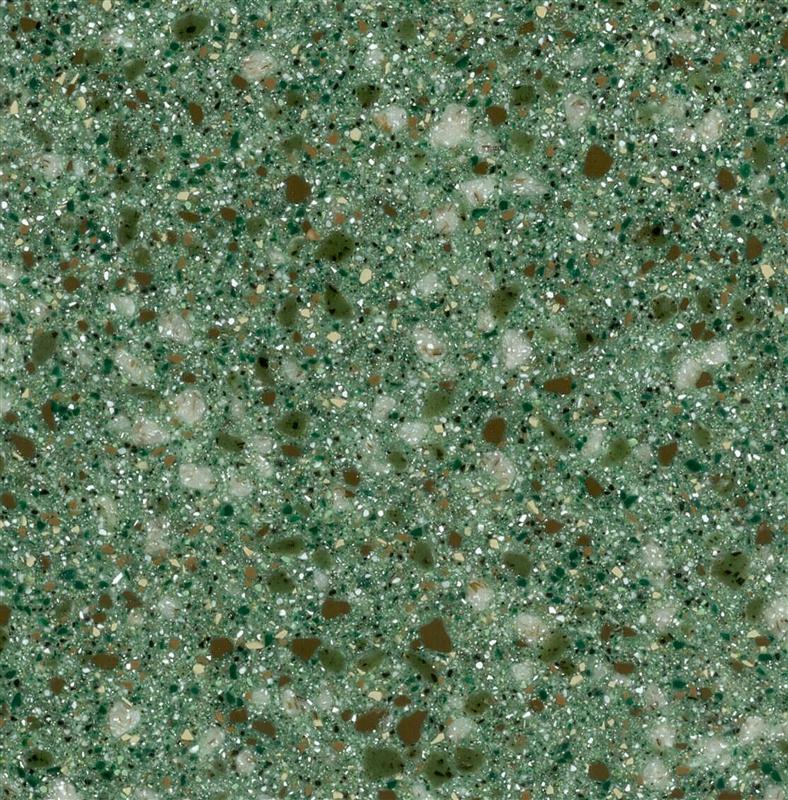 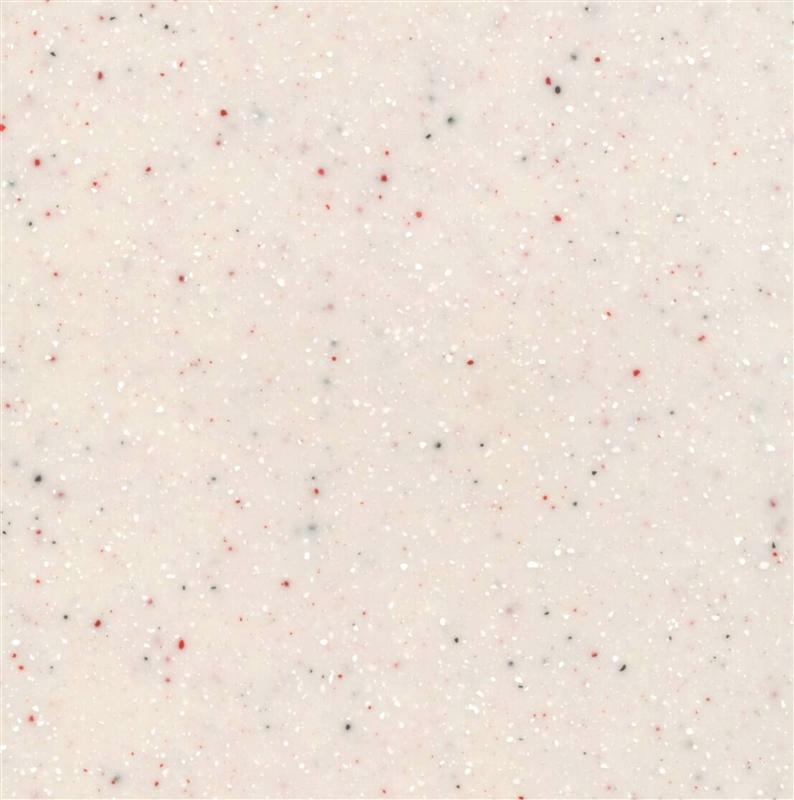 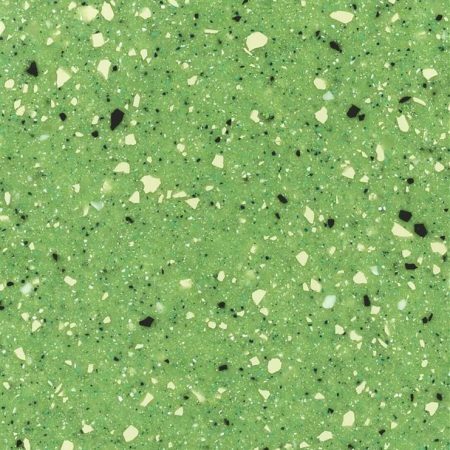 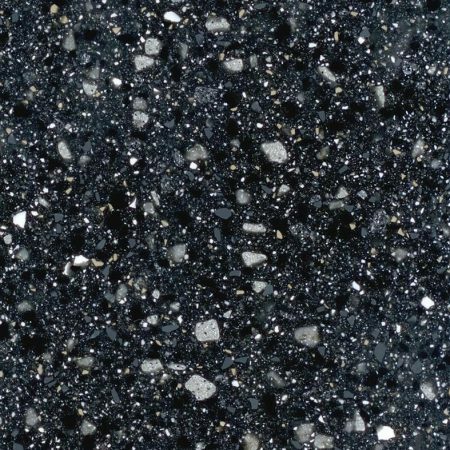 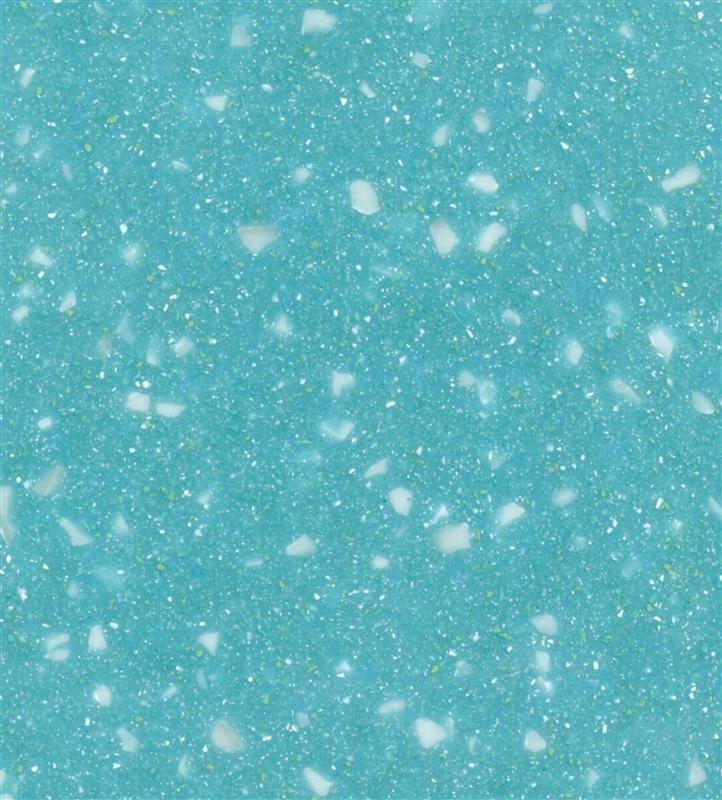 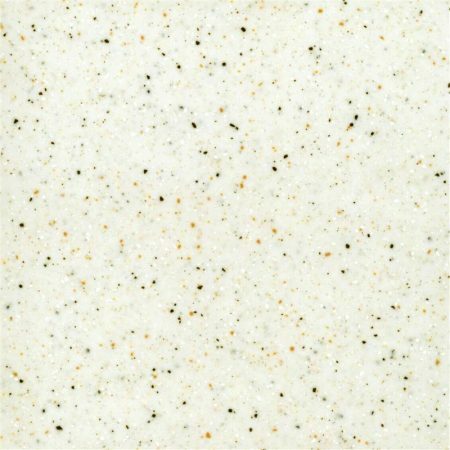 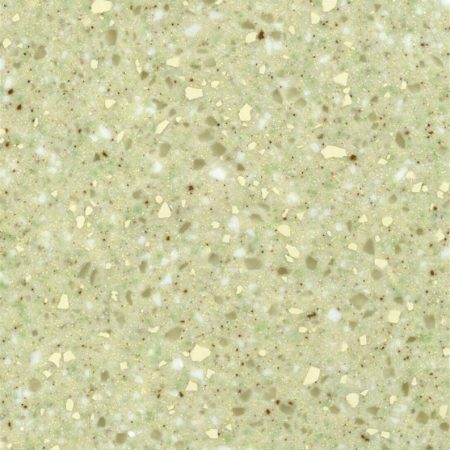 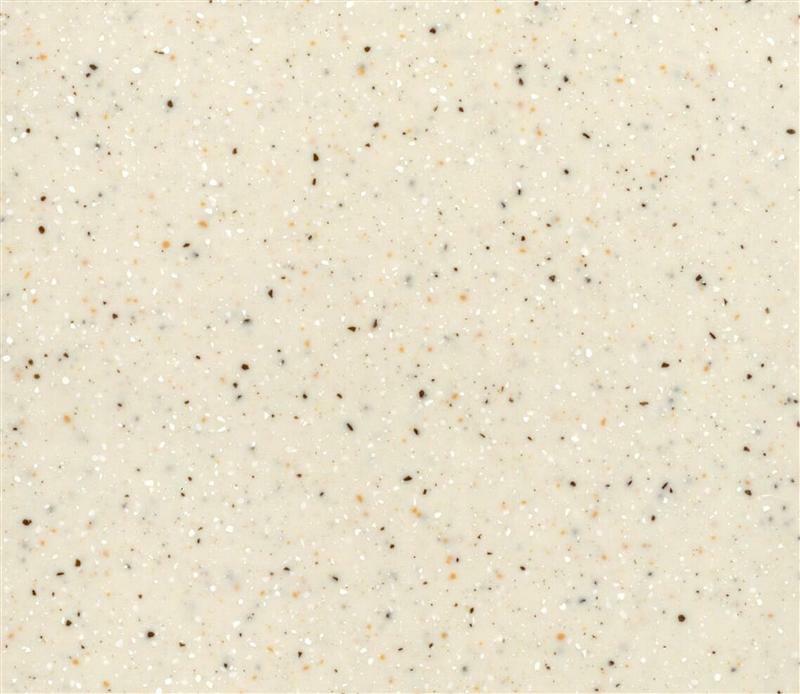 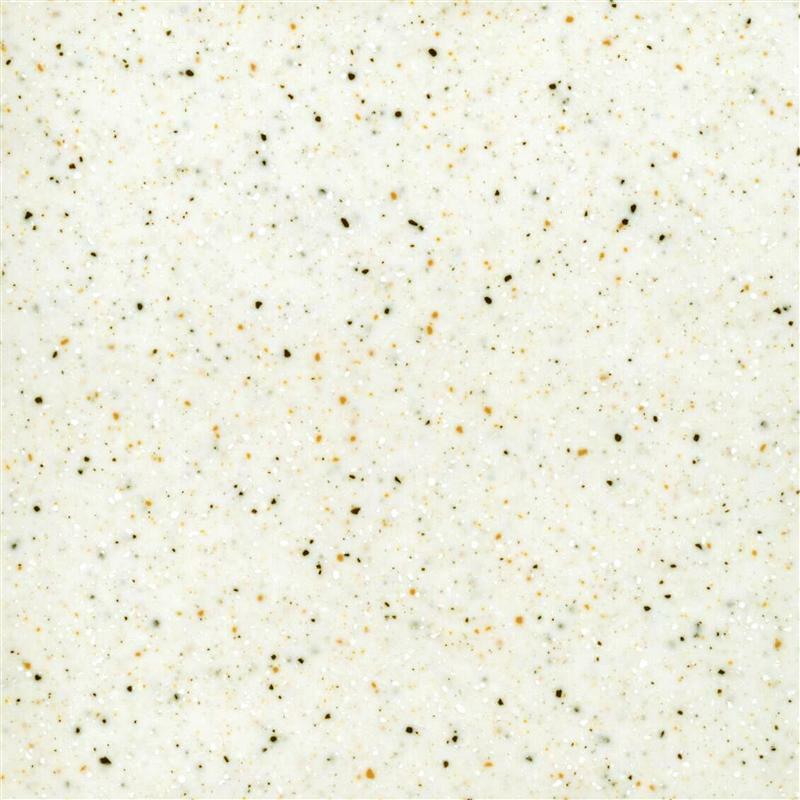 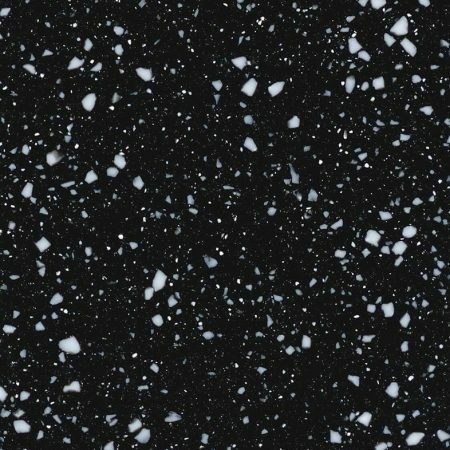 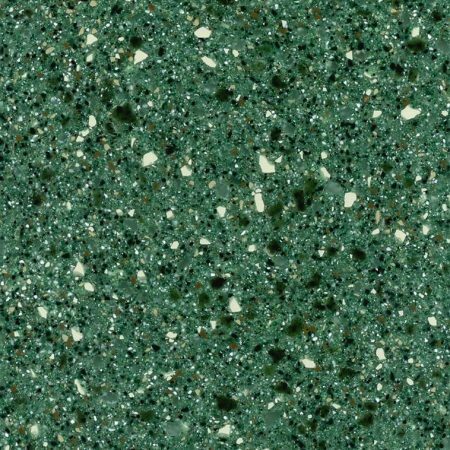 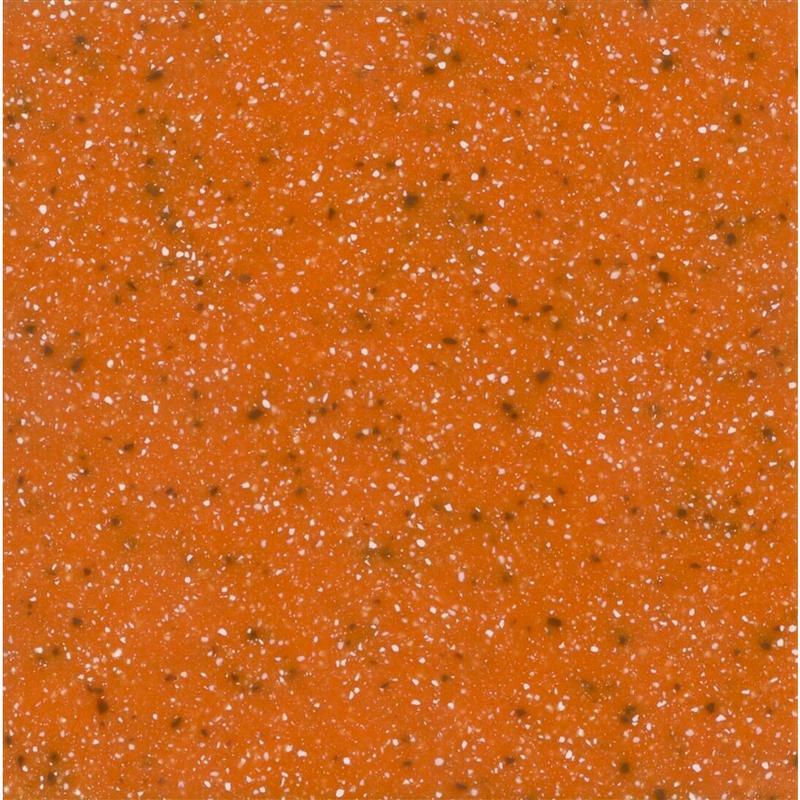 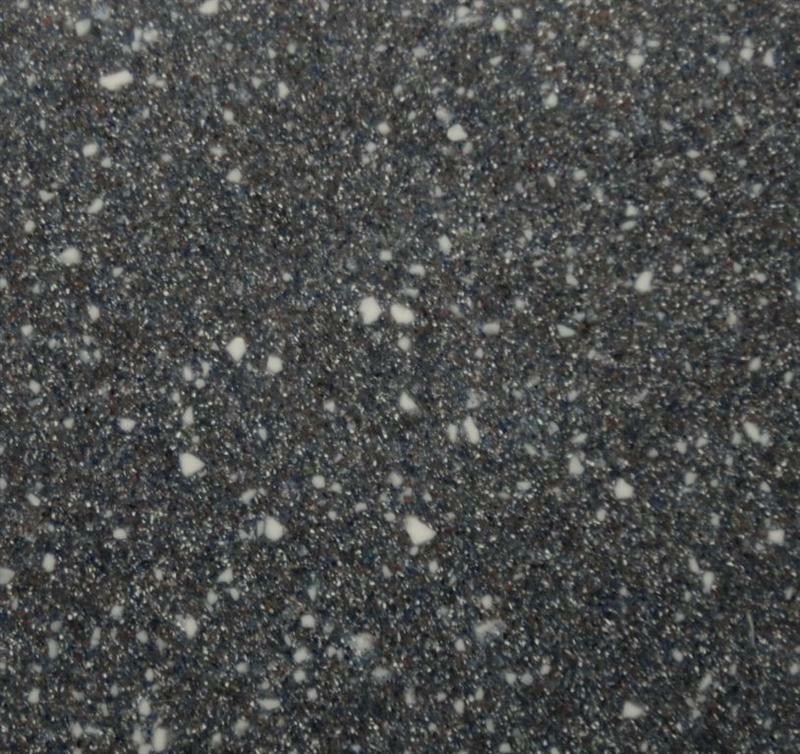 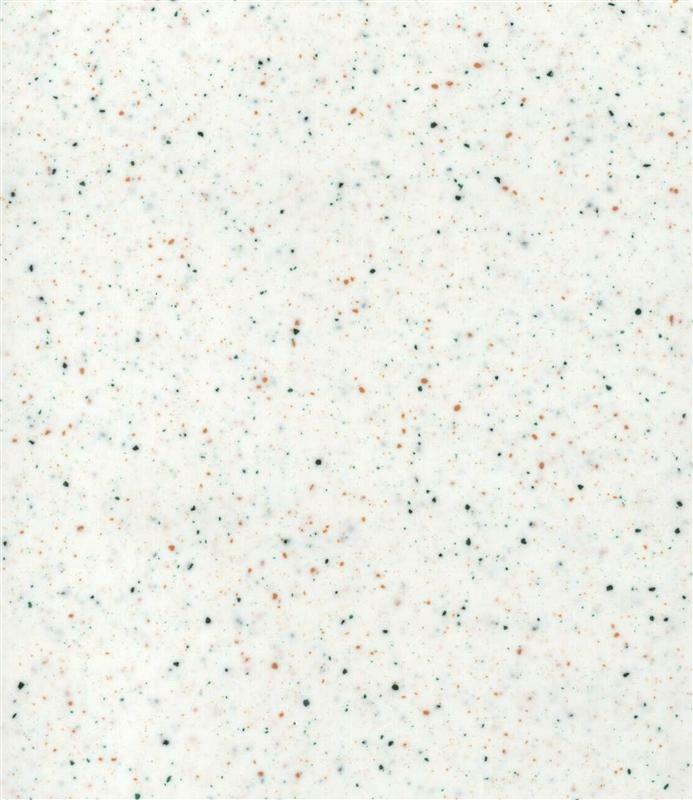 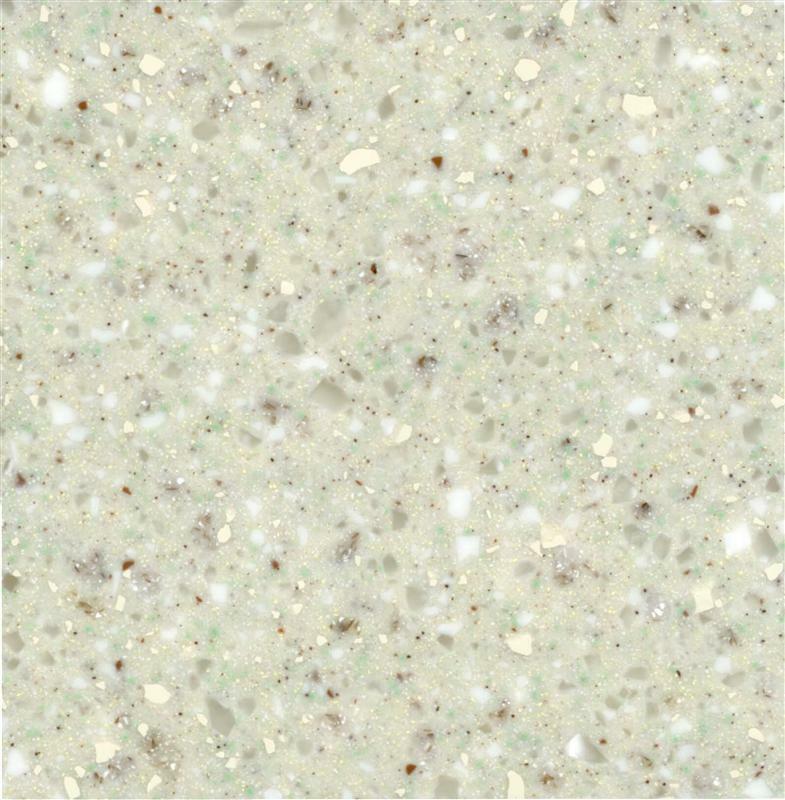 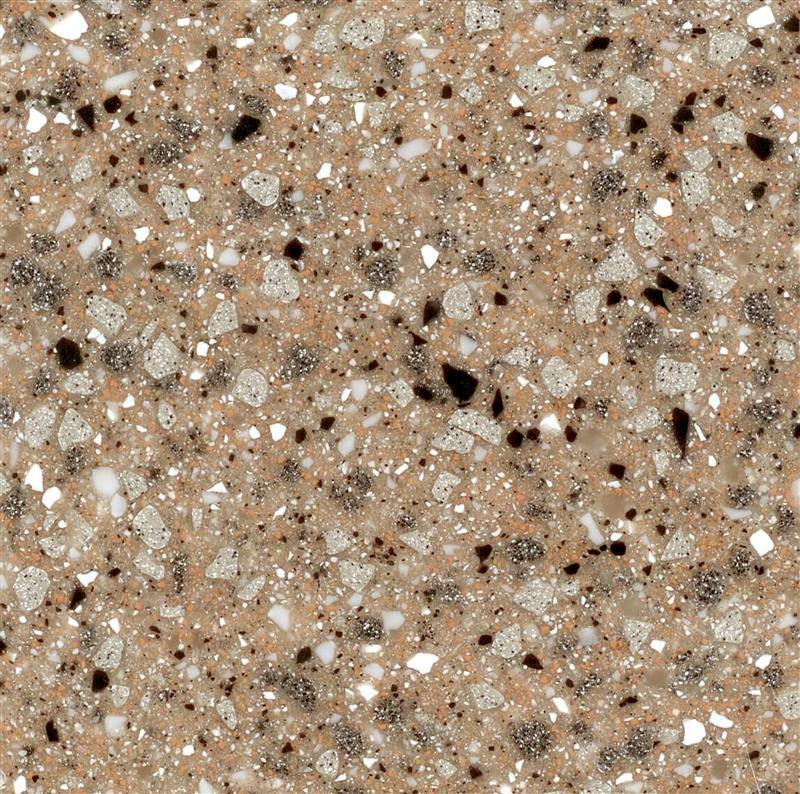 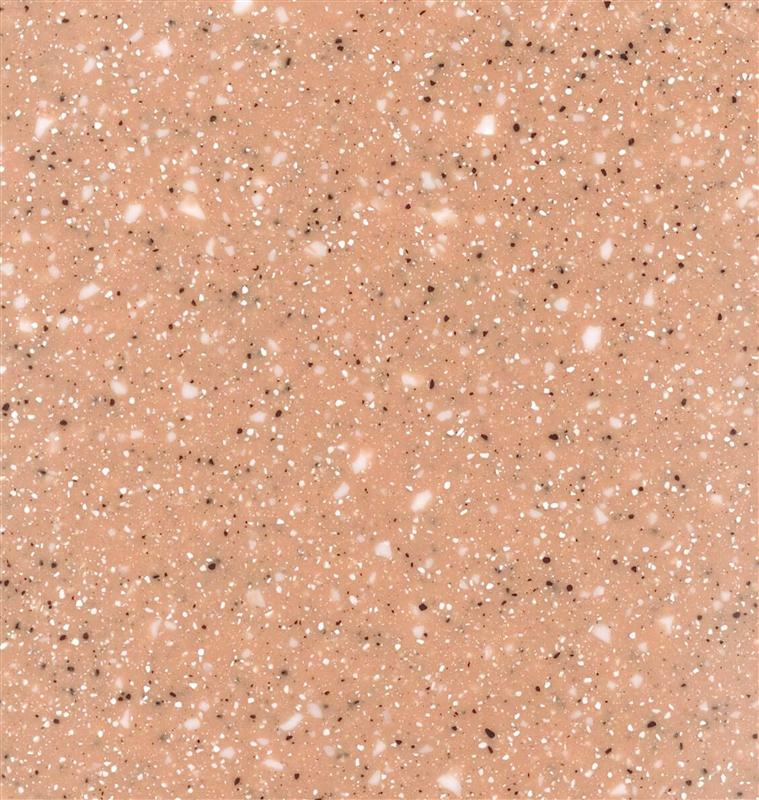 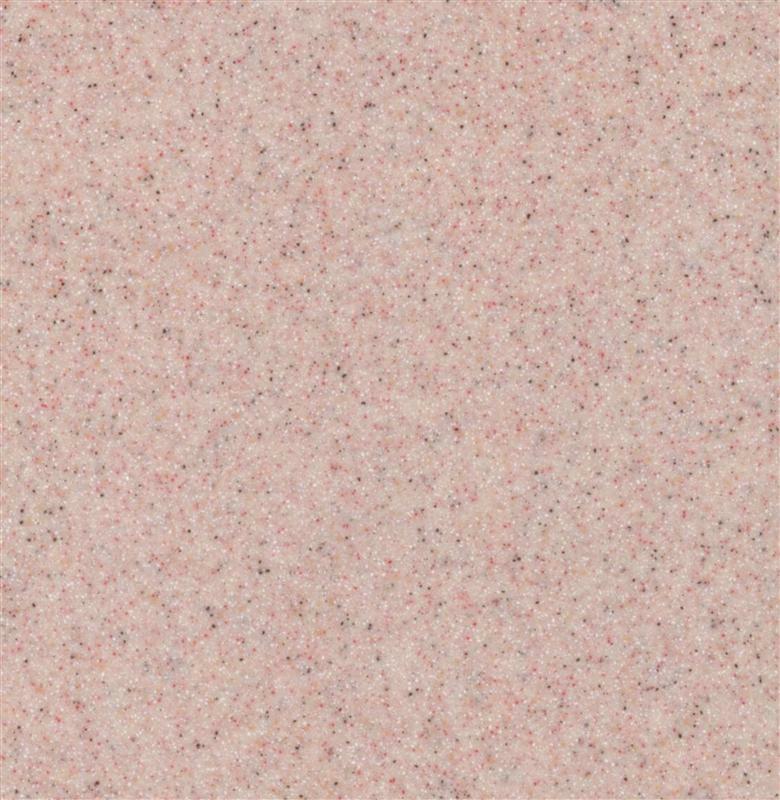 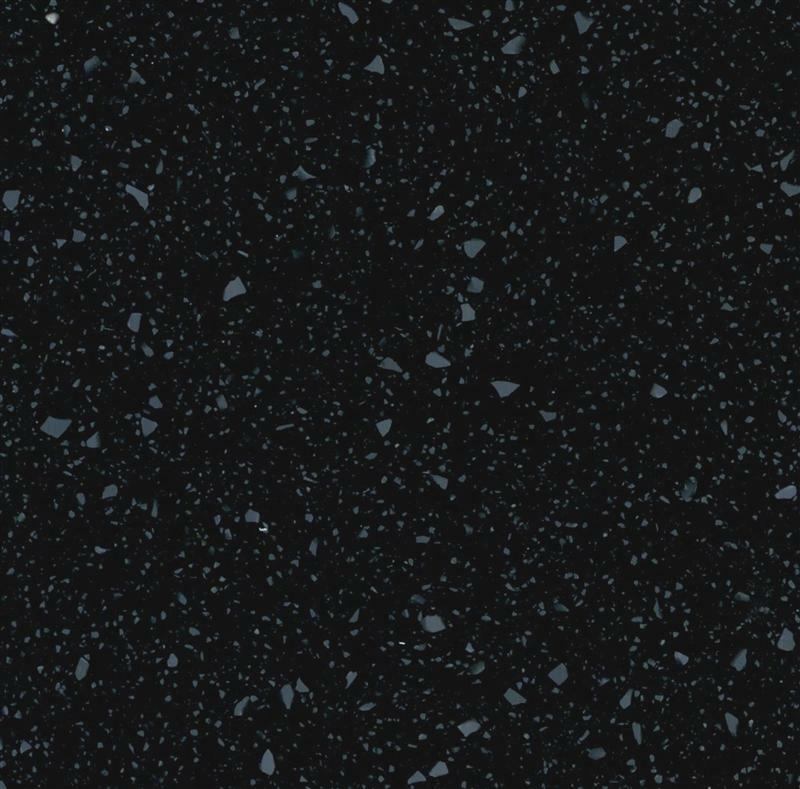 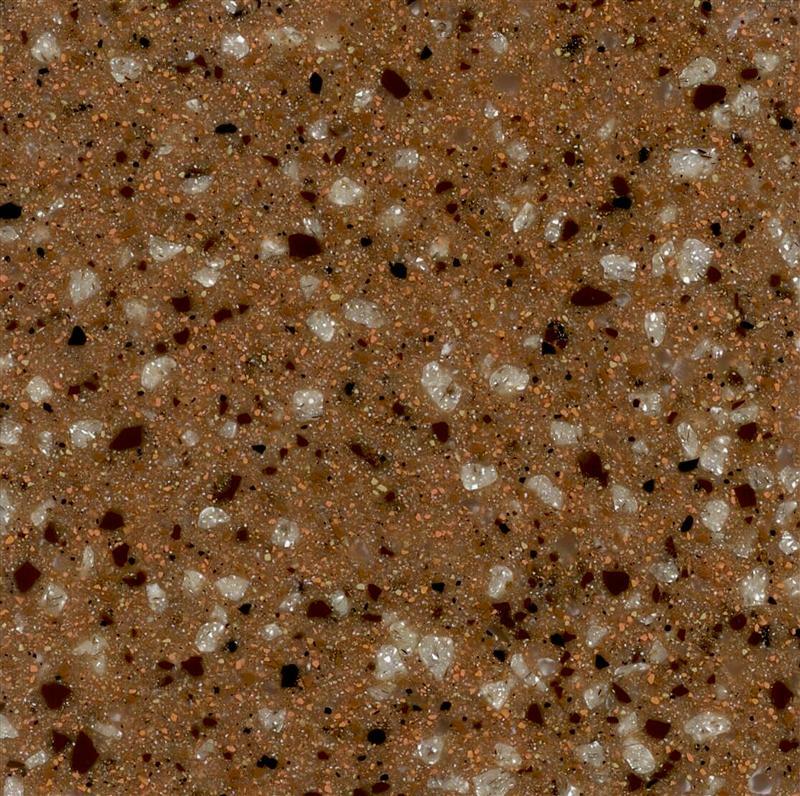 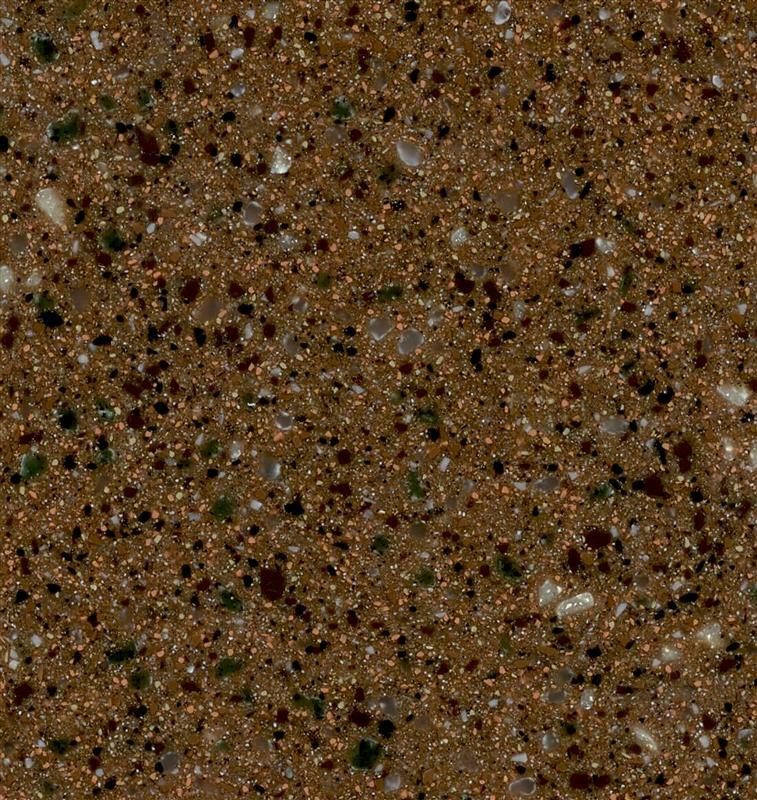 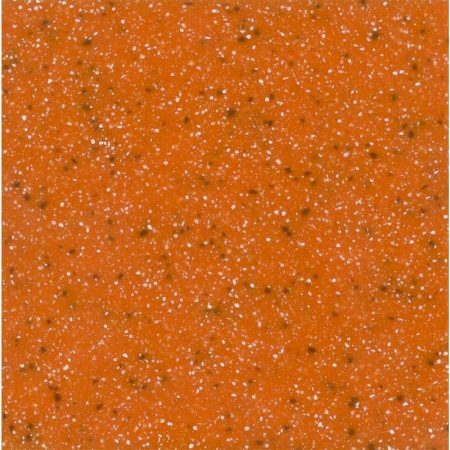  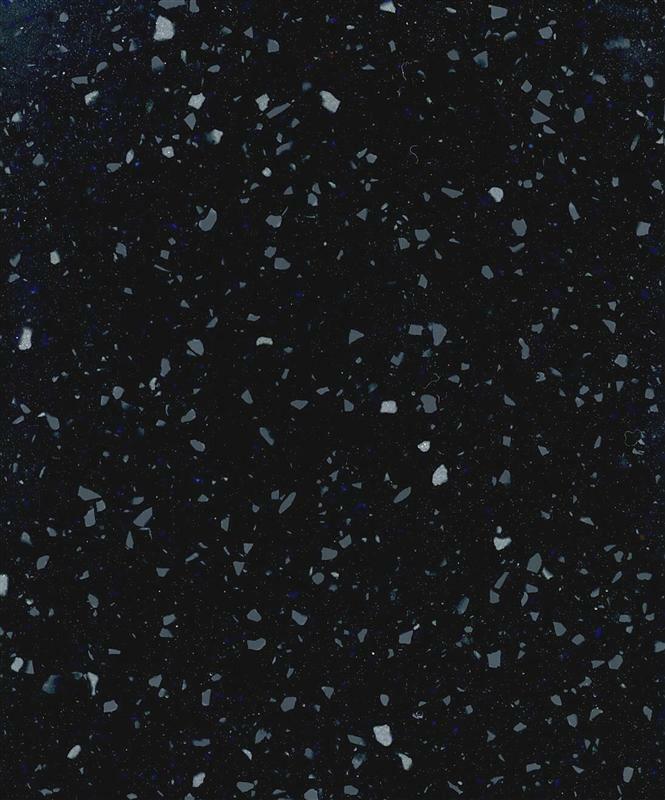 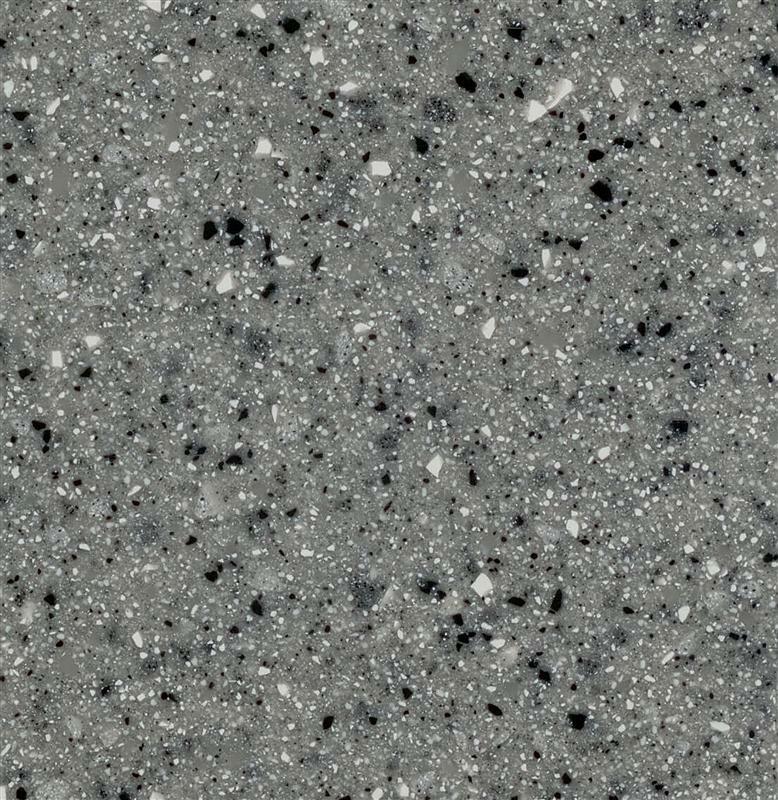 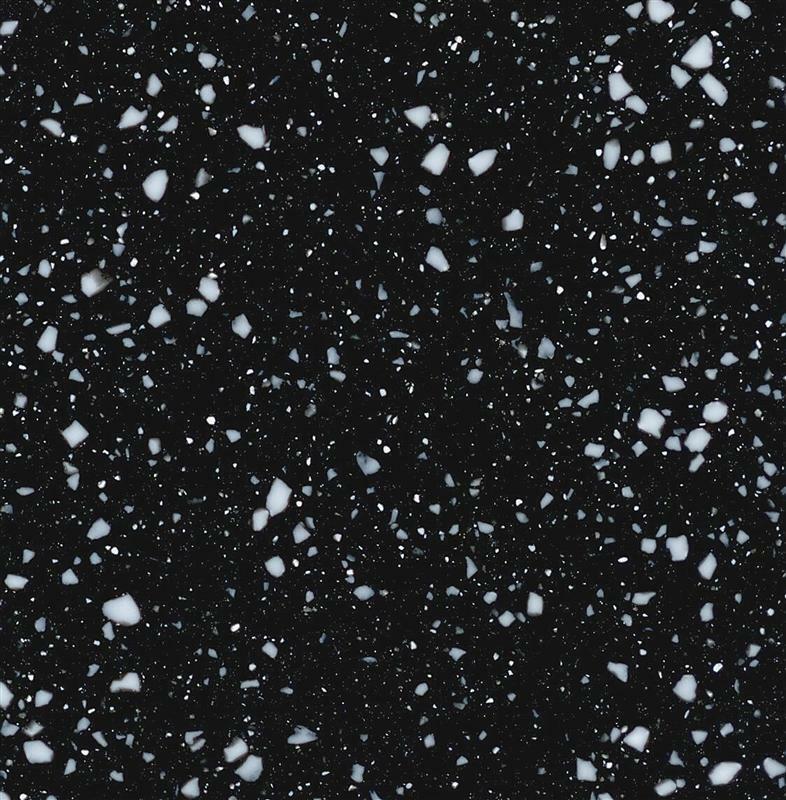 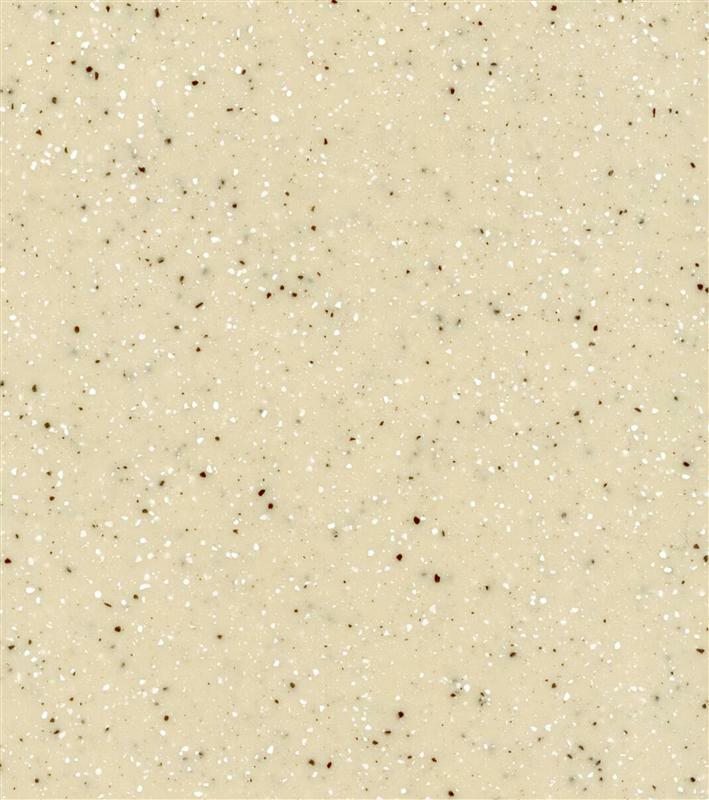 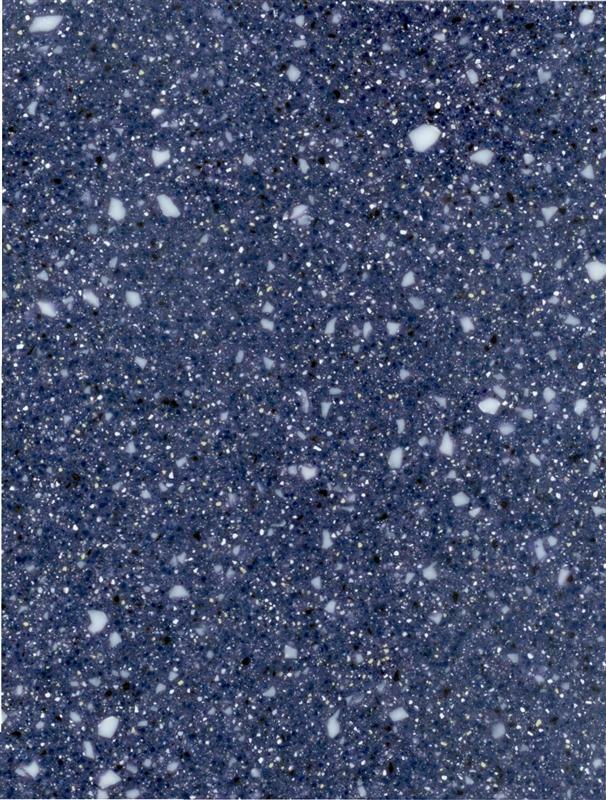 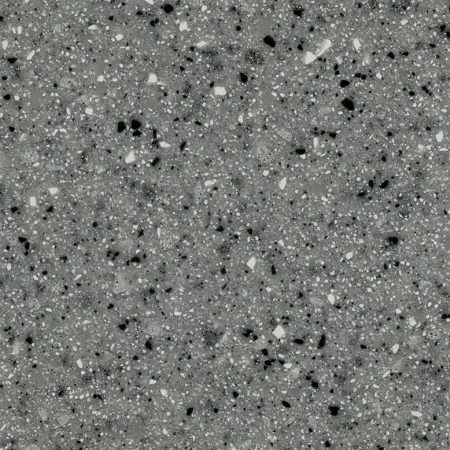 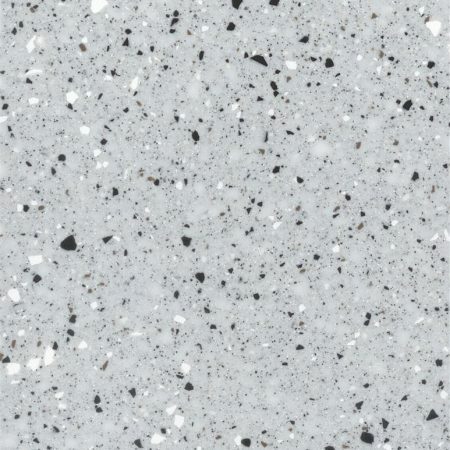 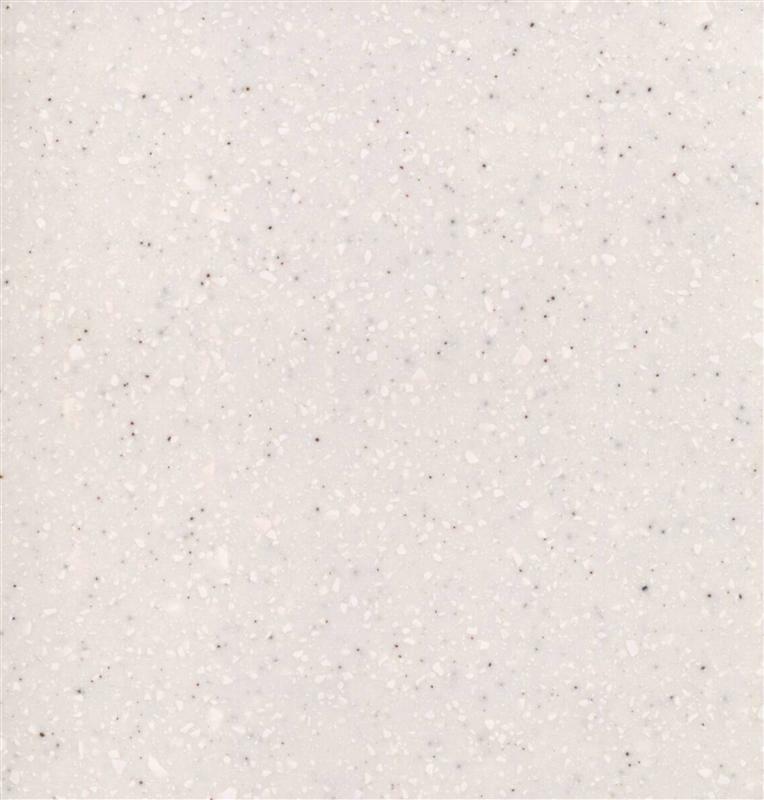 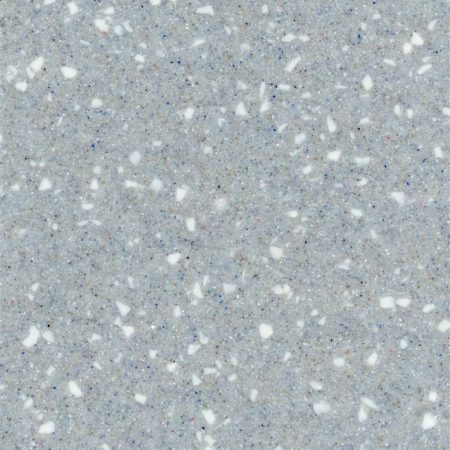 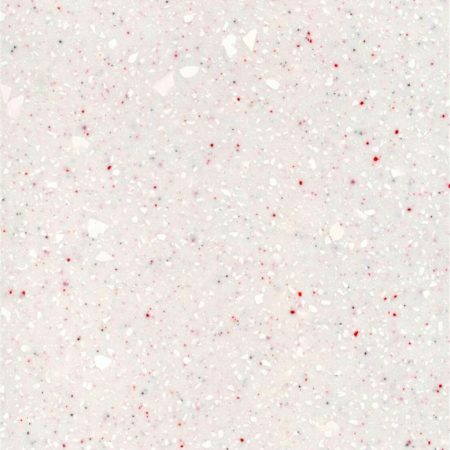 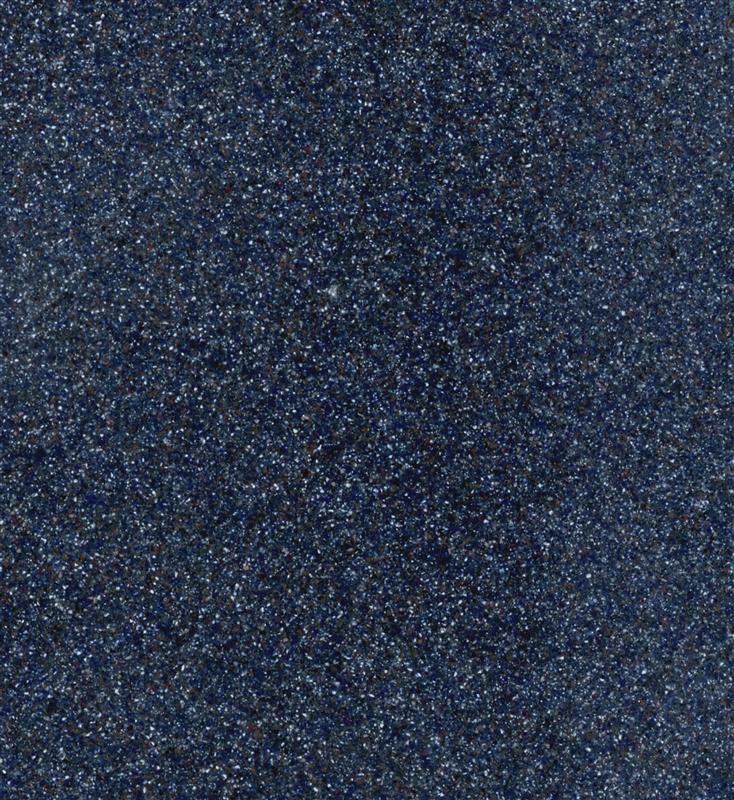 Inc.
DECORAN countertops are the ideal choice for a new kitchen or bath. 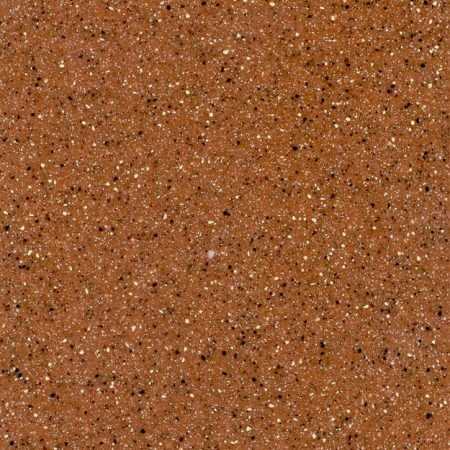 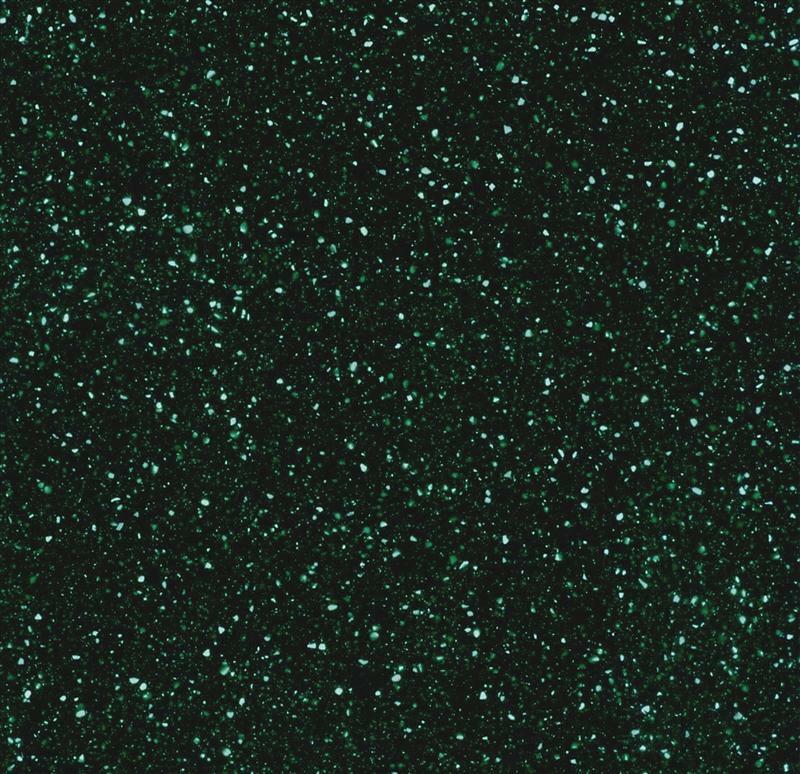 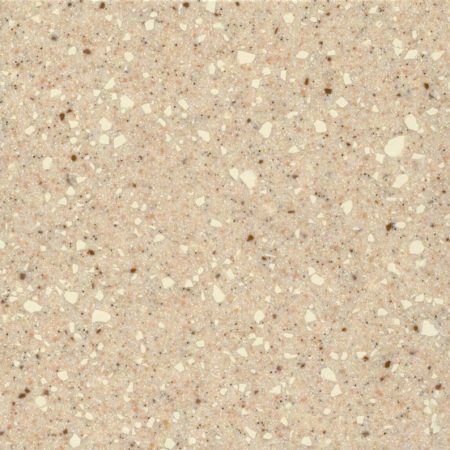 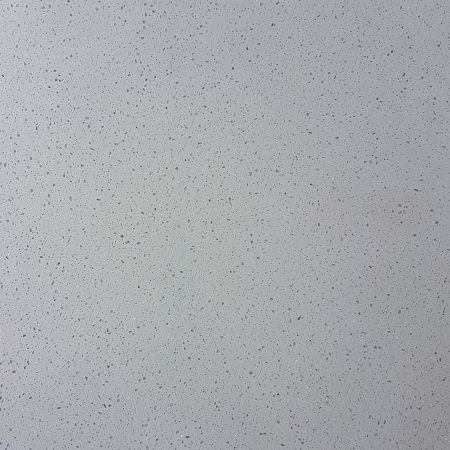 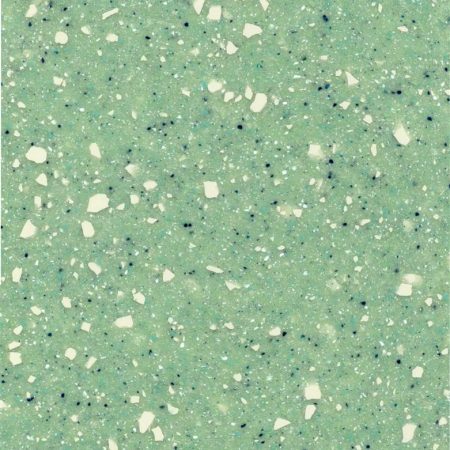 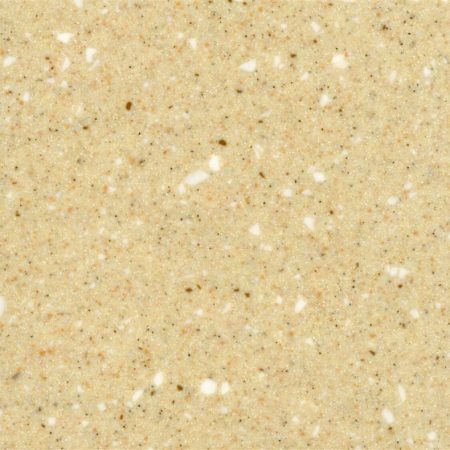  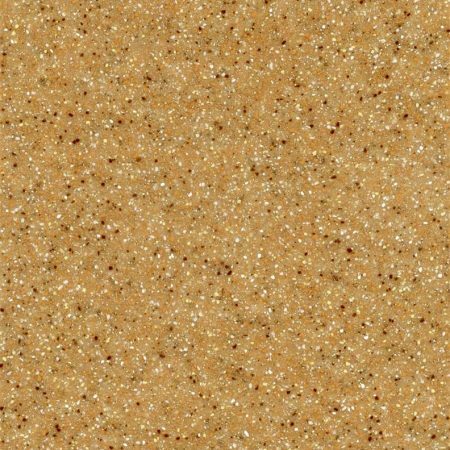 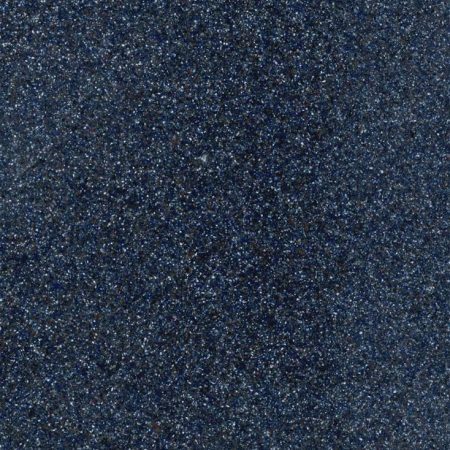  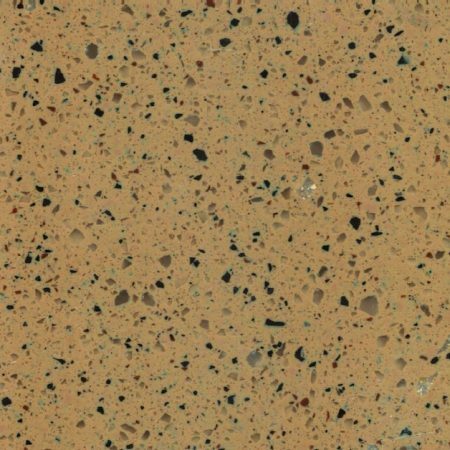 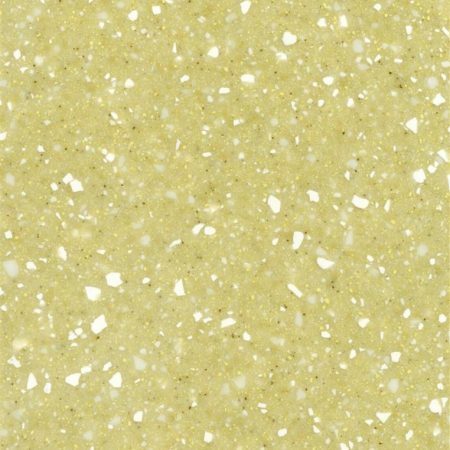 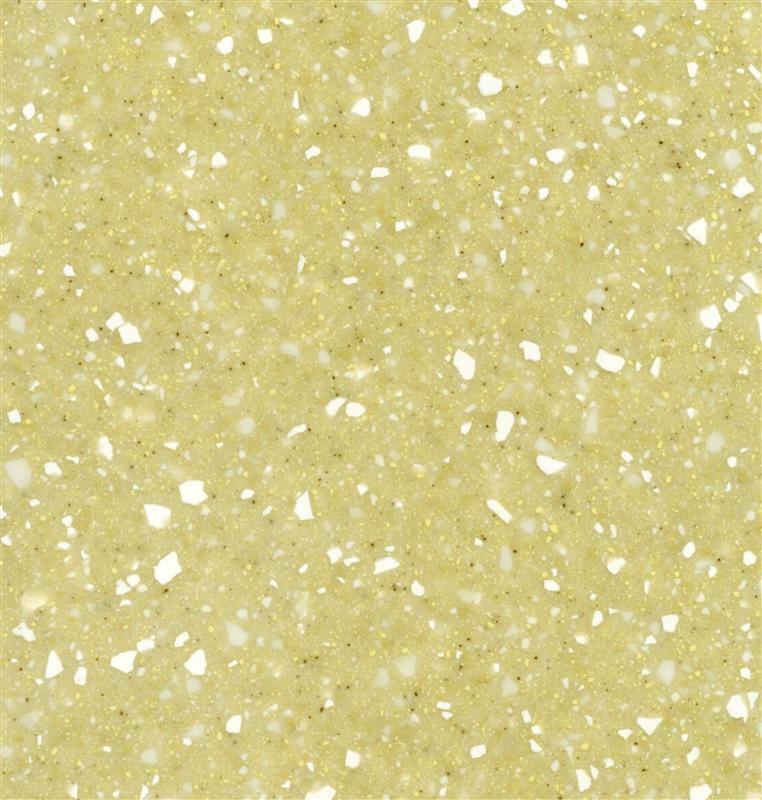 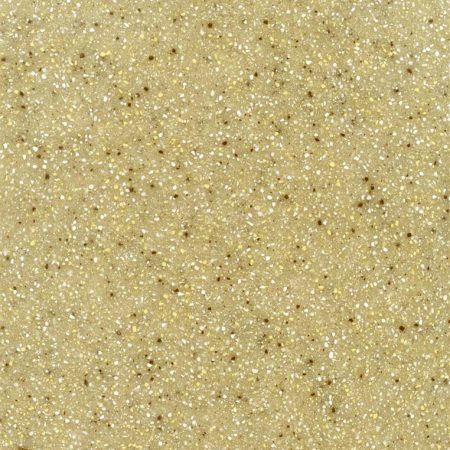 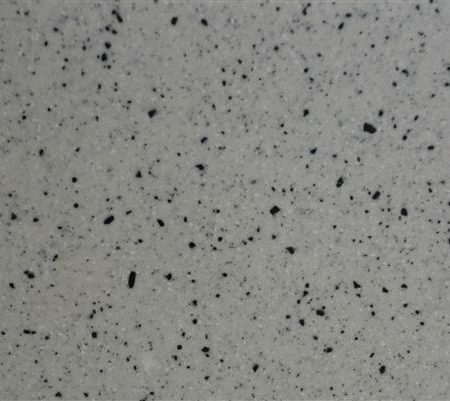 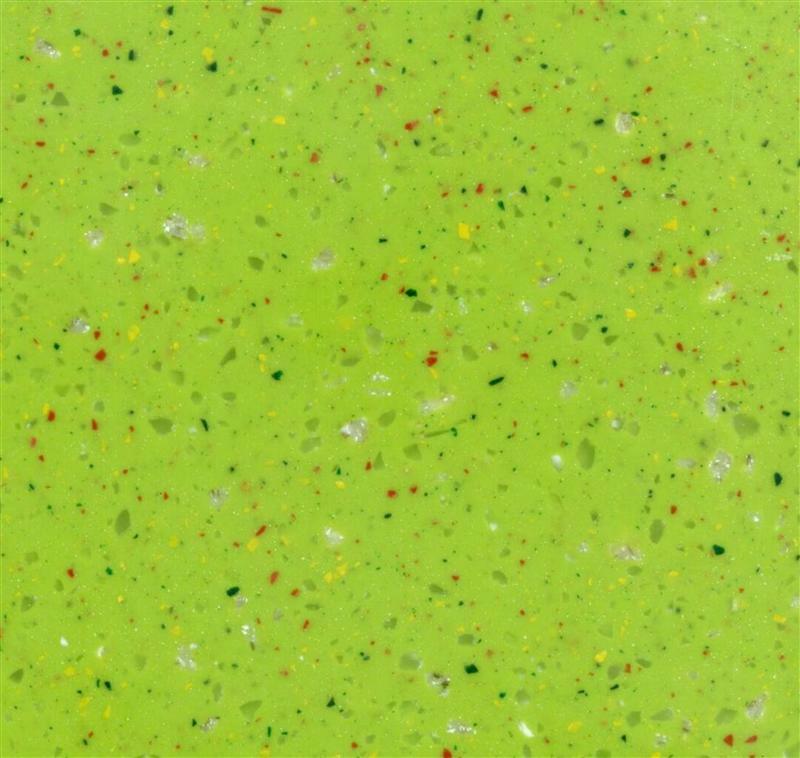 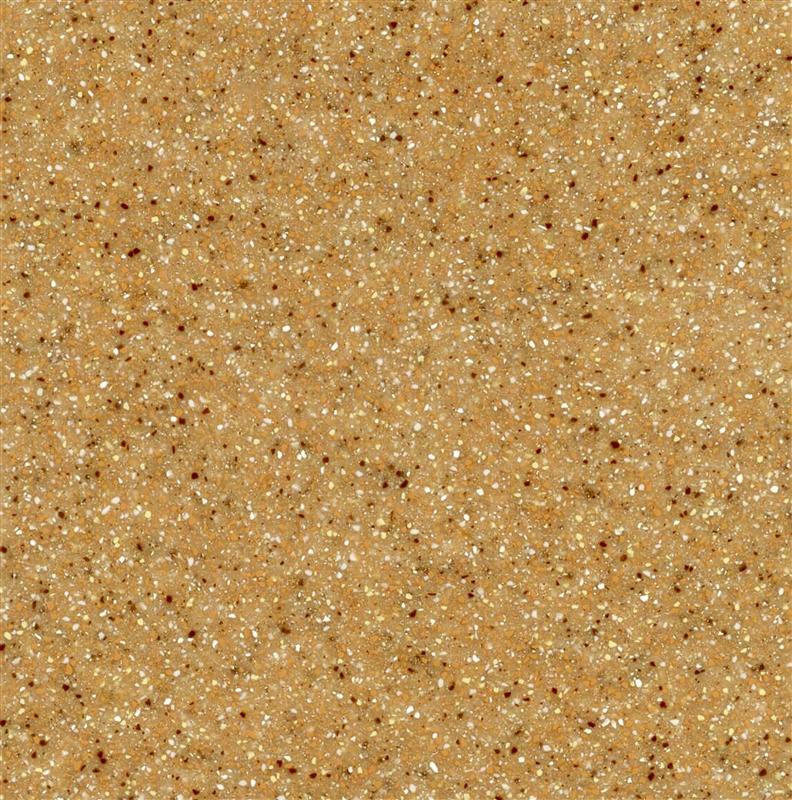 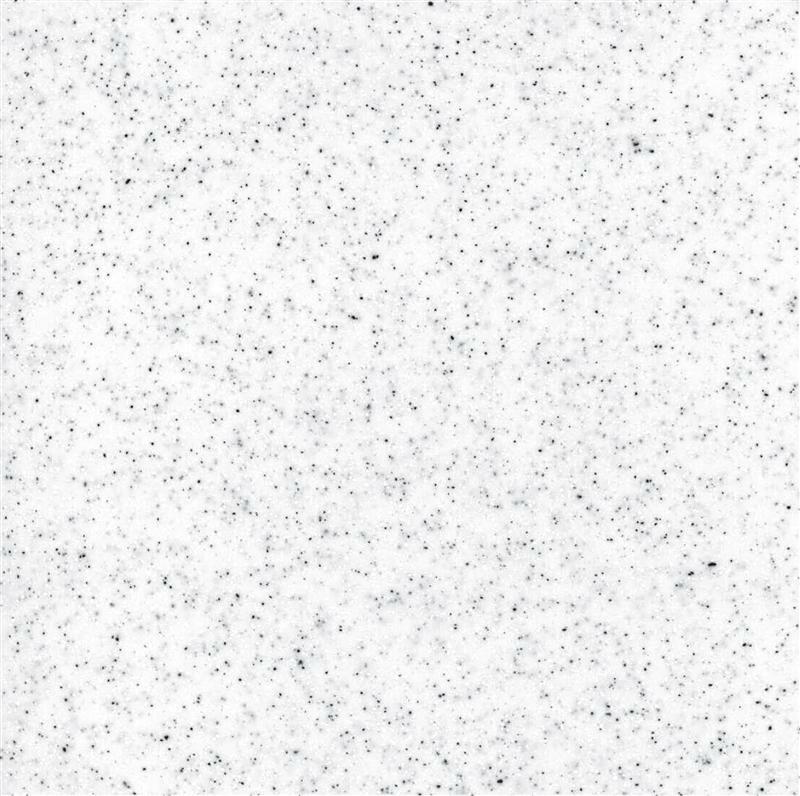 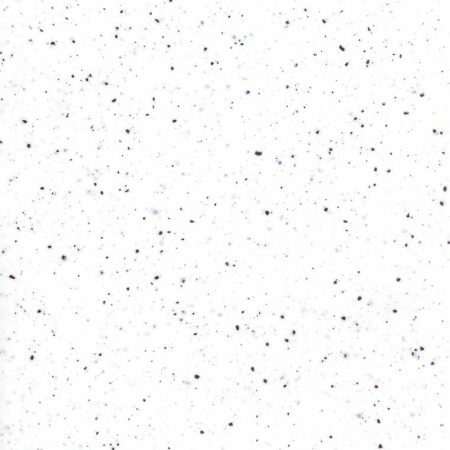 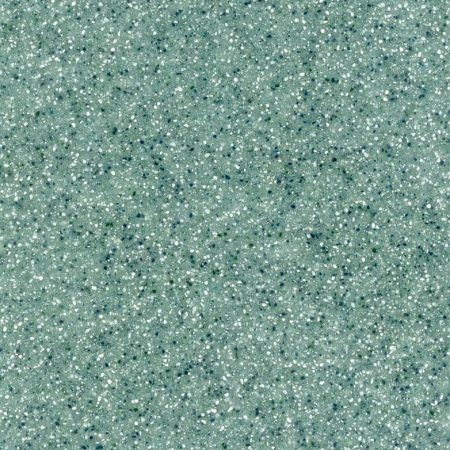 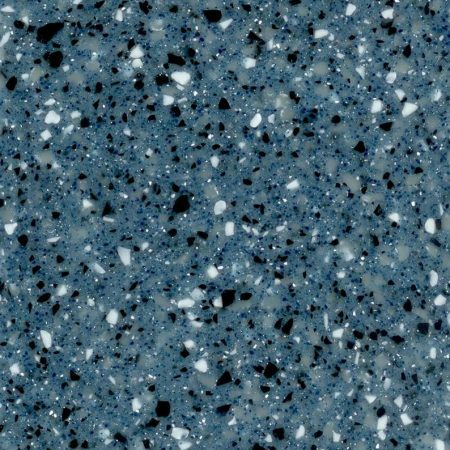 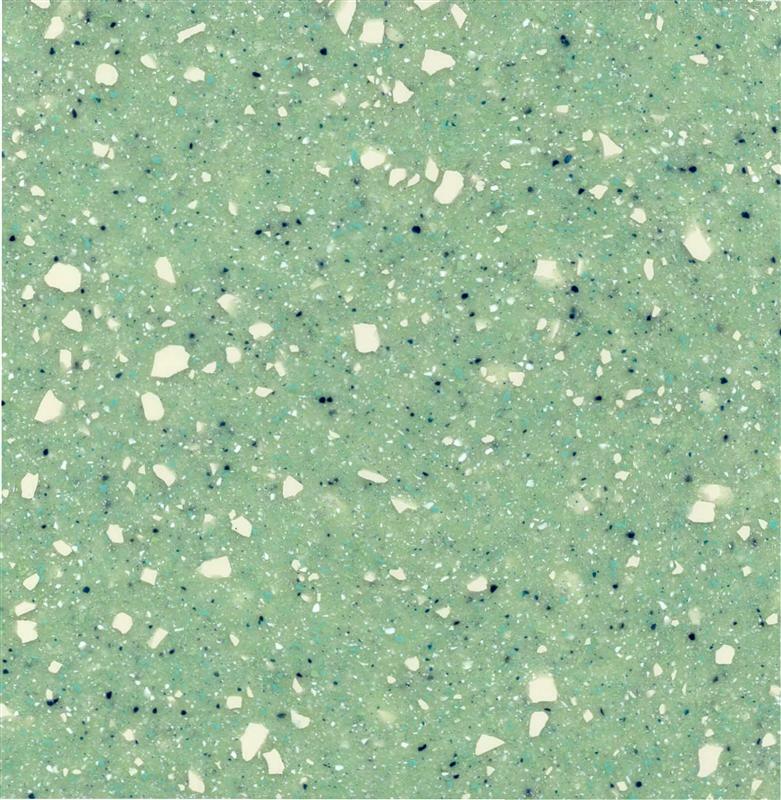 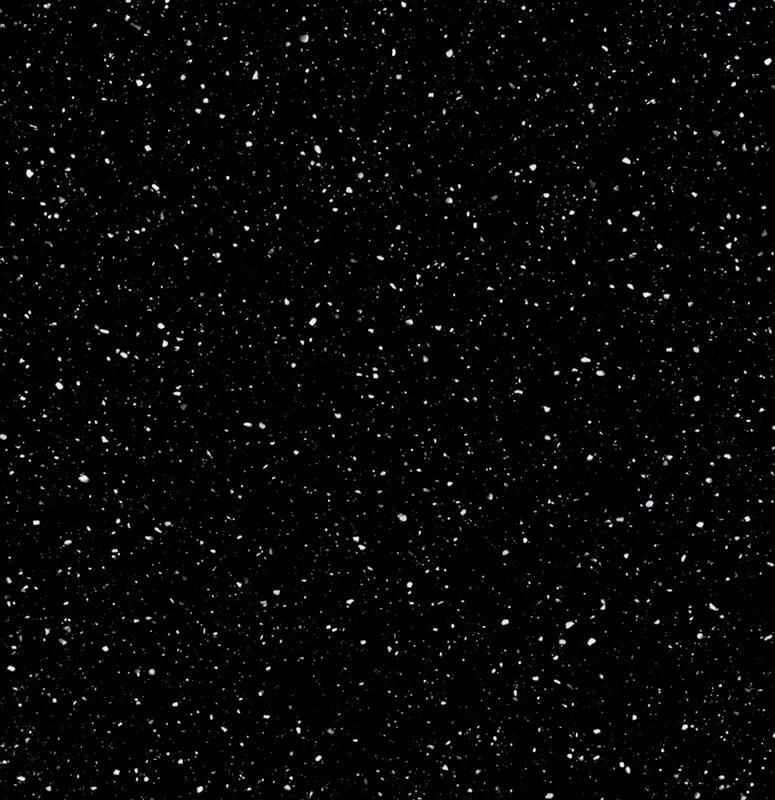 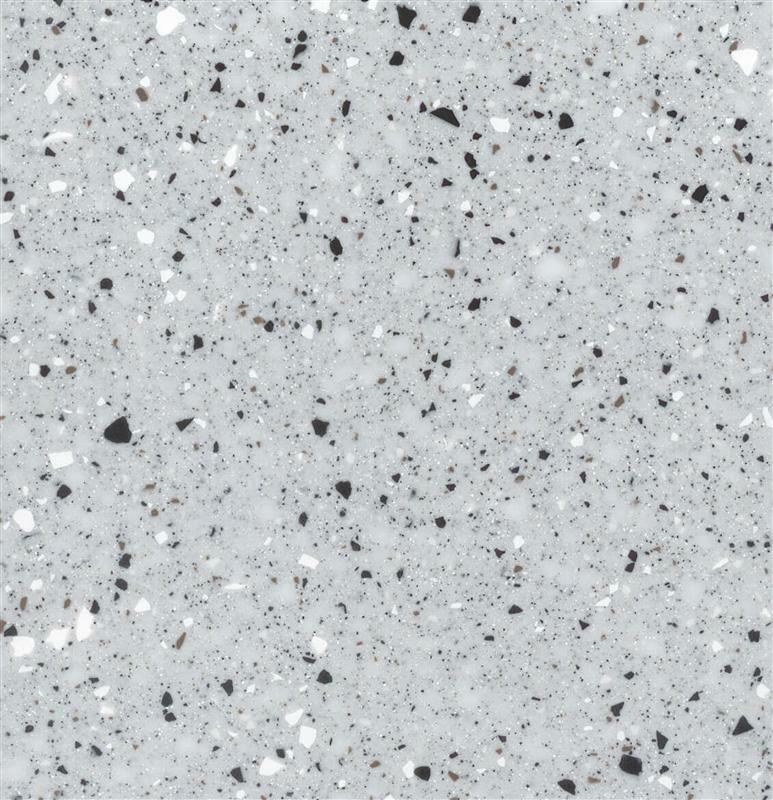 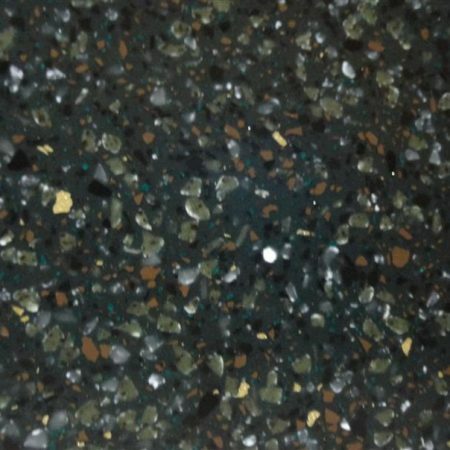 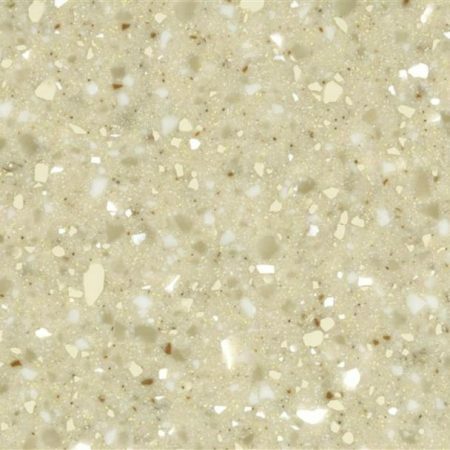 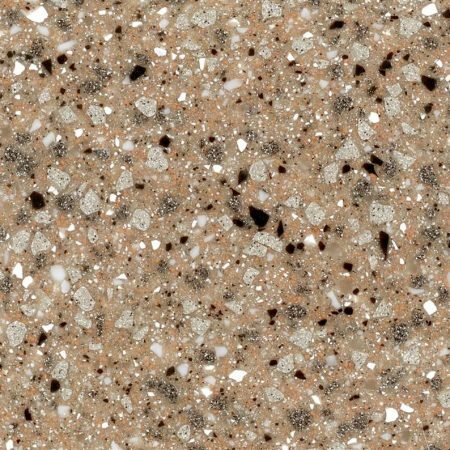 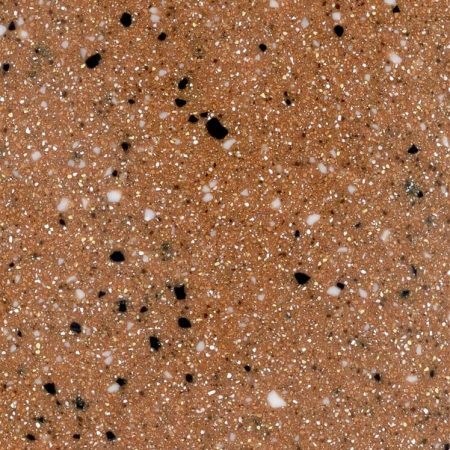 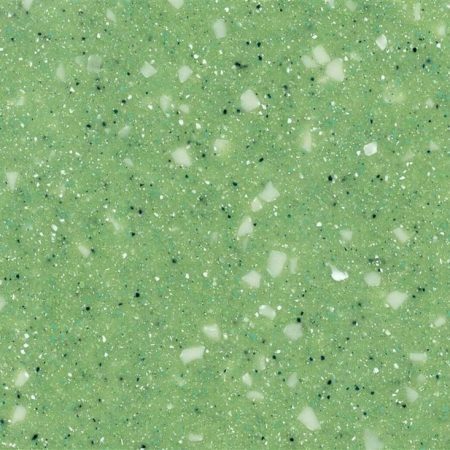 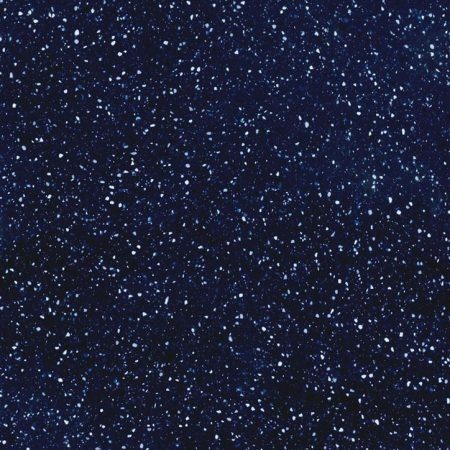 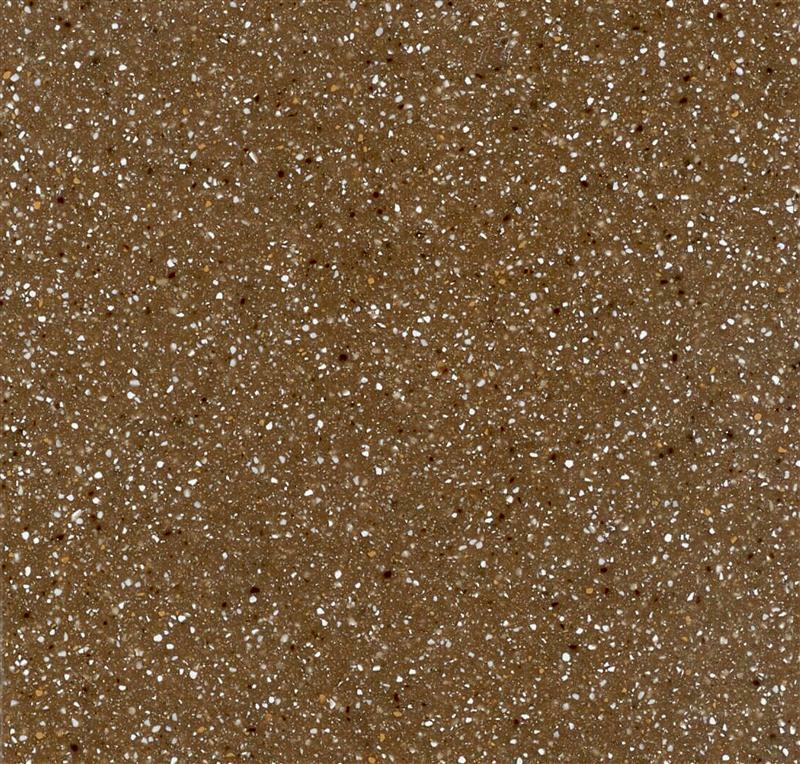 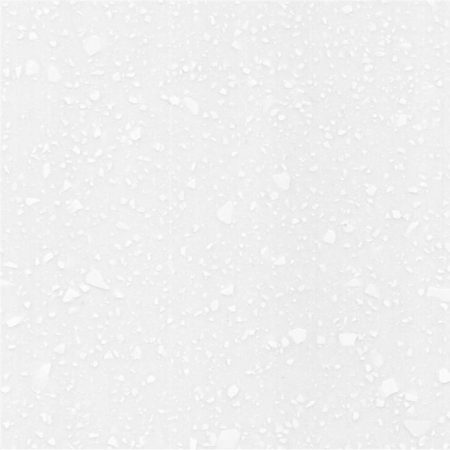 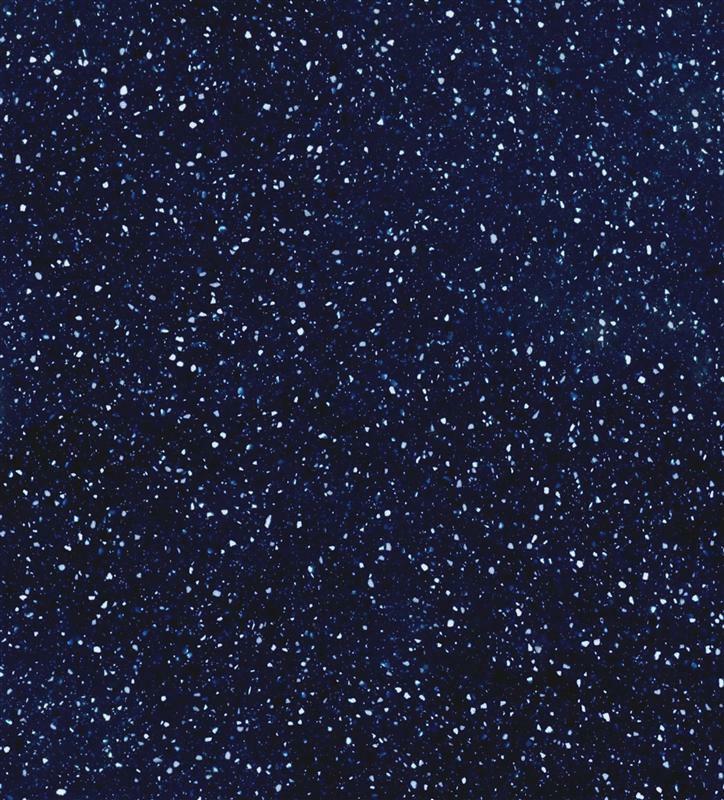 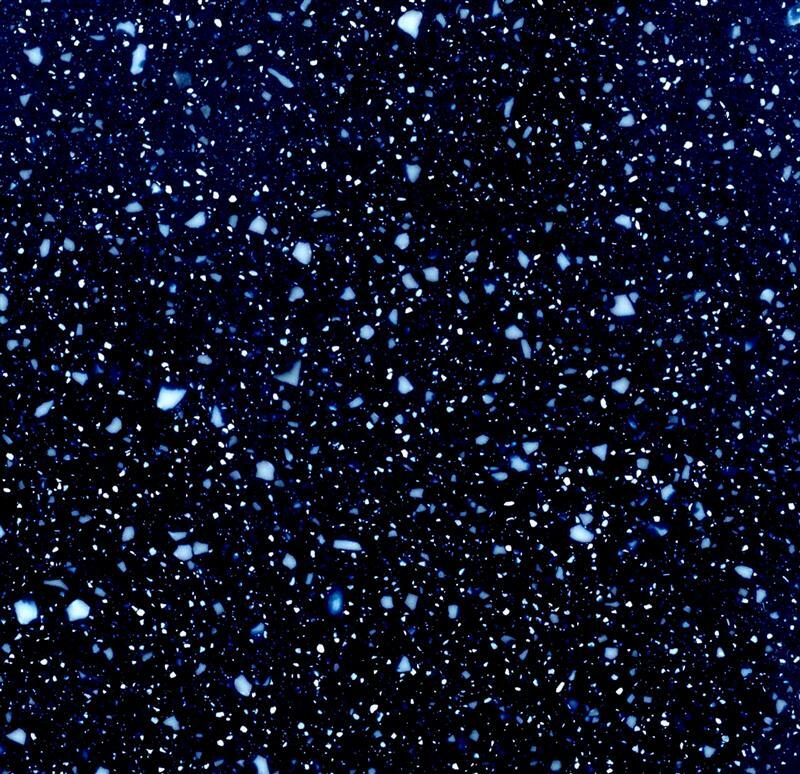 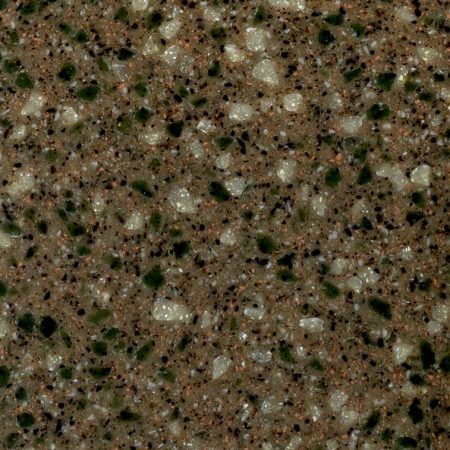 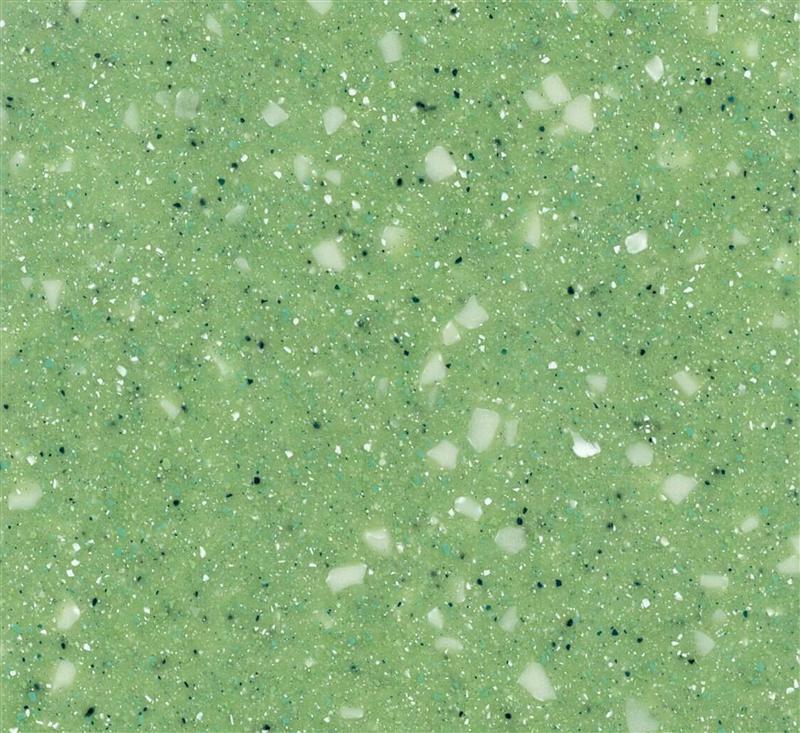 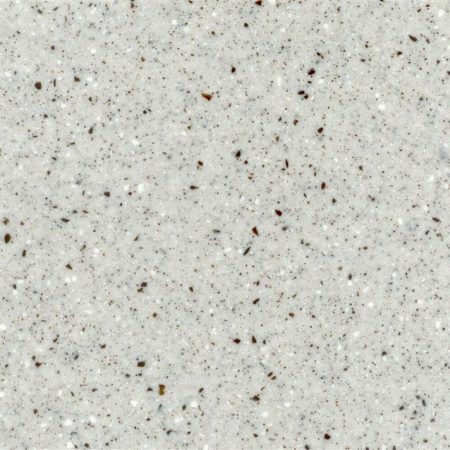 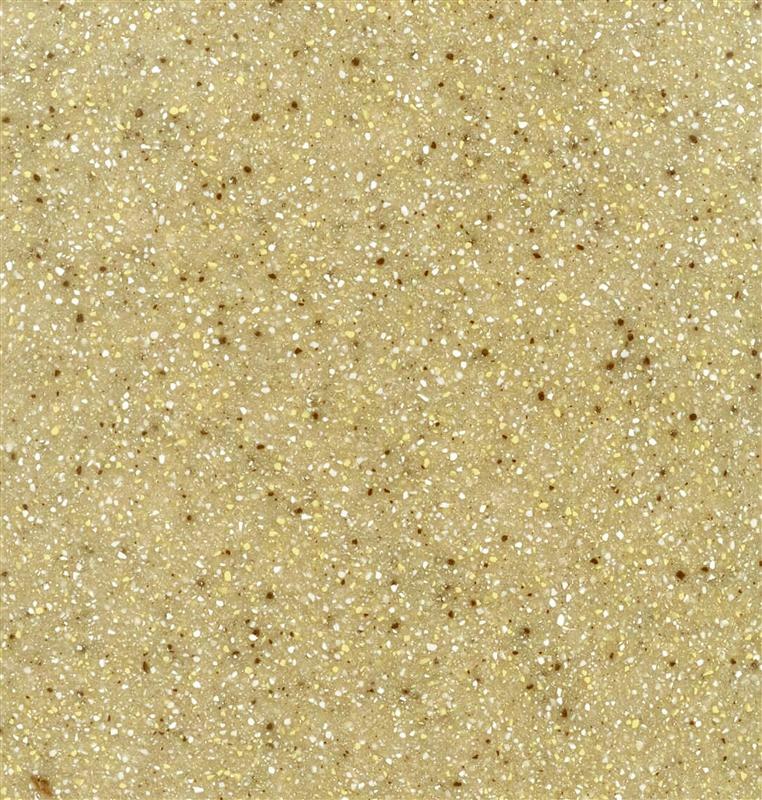 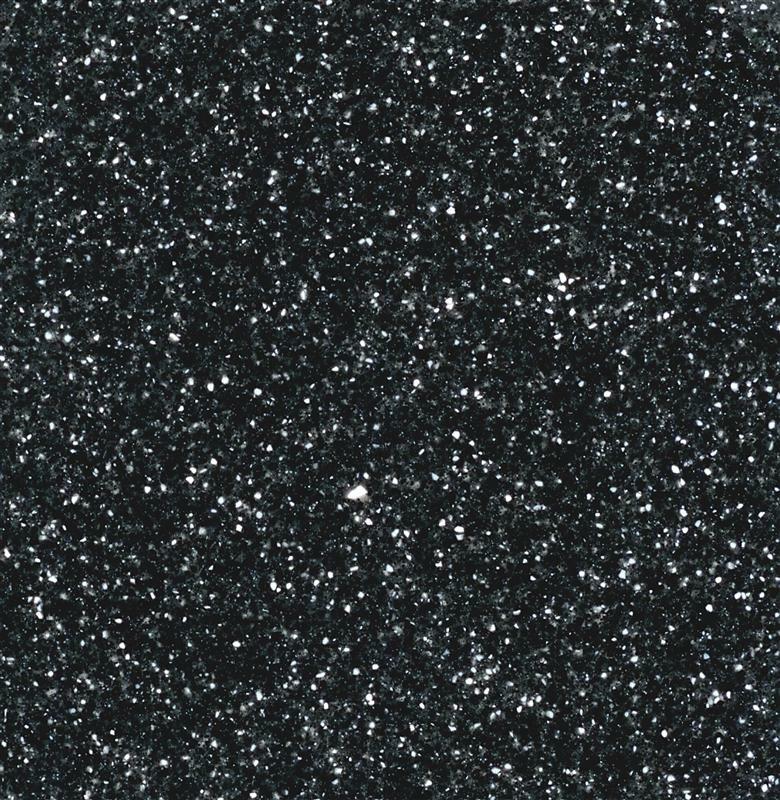 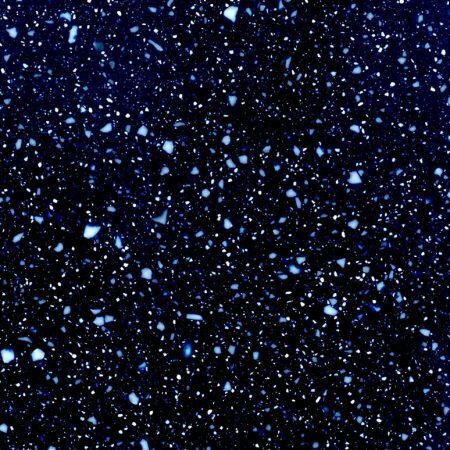 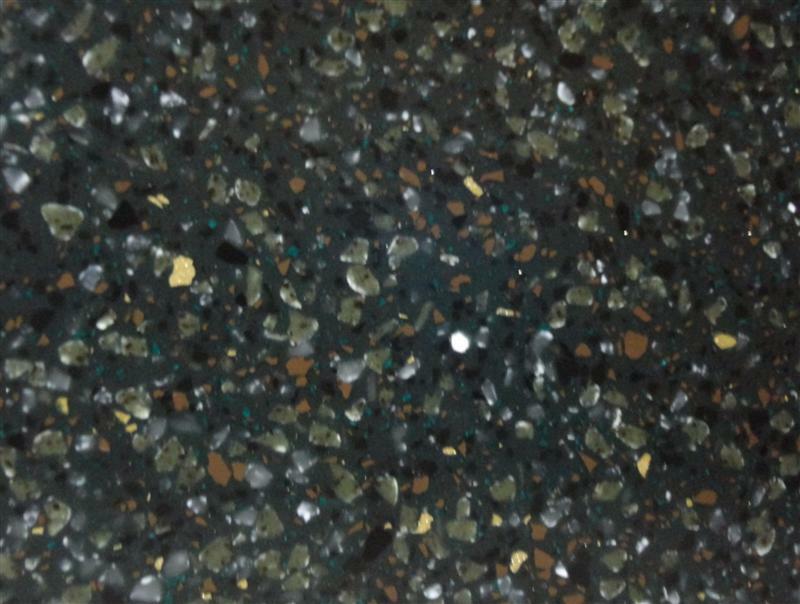  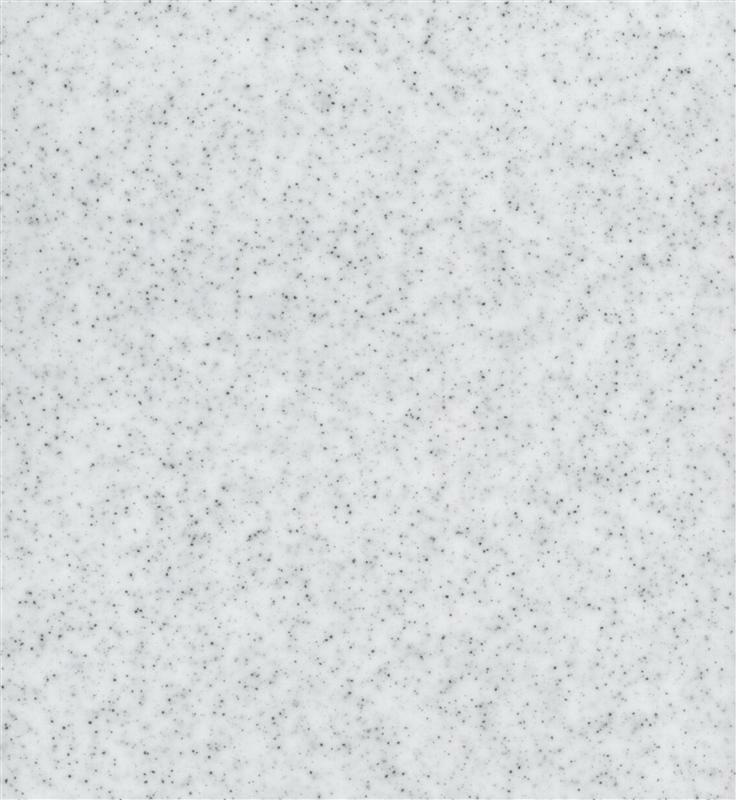 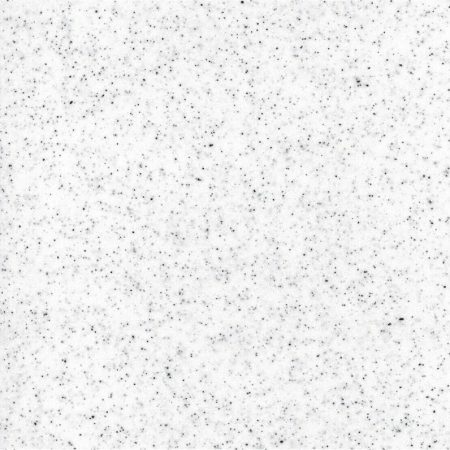 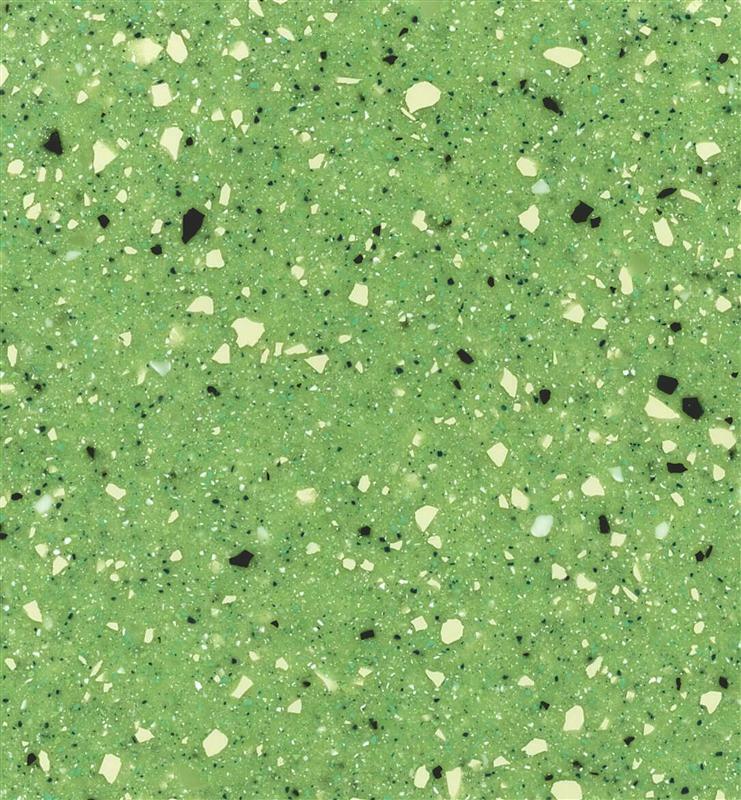 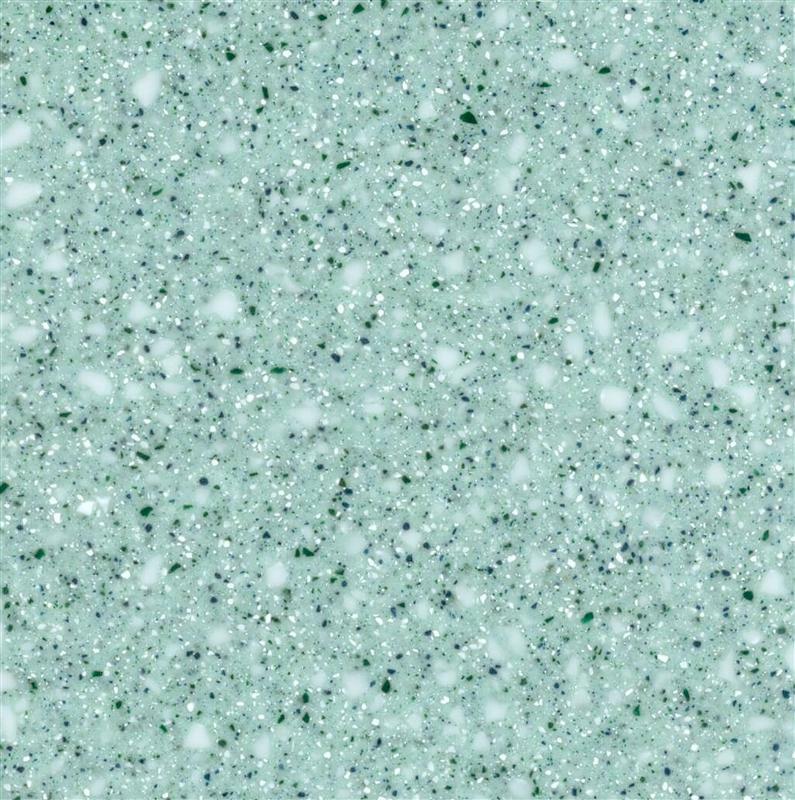 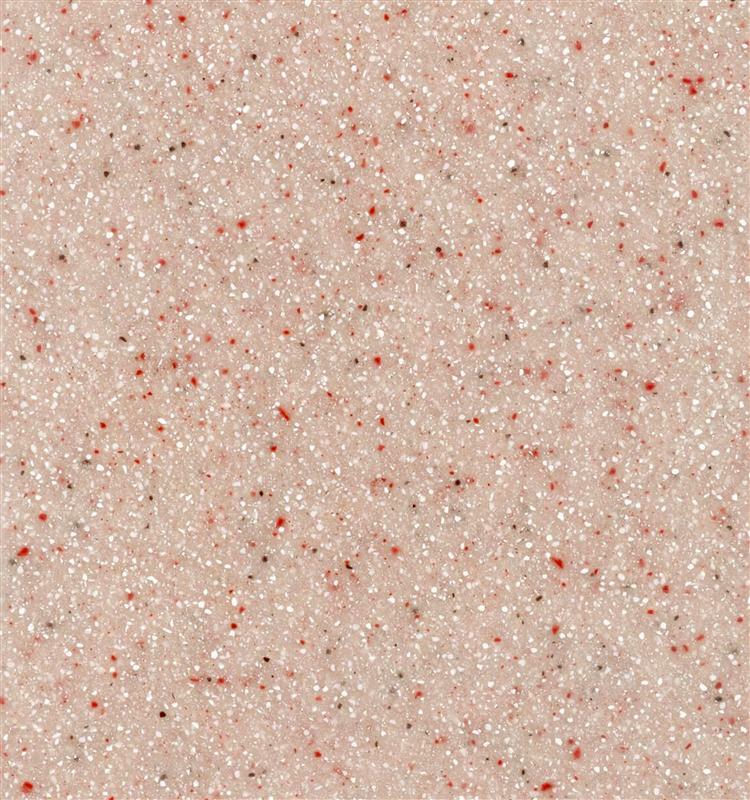 The durable, non-porous material is tough and beautiful, which makes DECORAN the perfect choice for a worktable, bar top, bathroom vanity, or kitchen countertop. 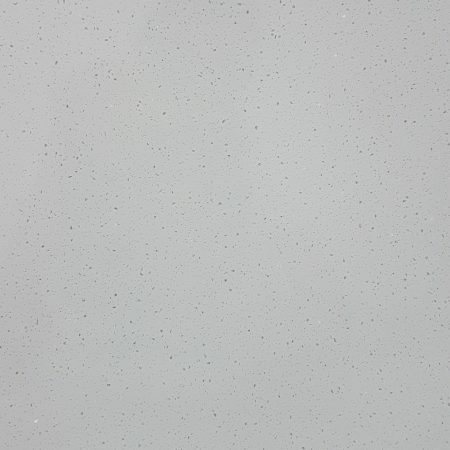 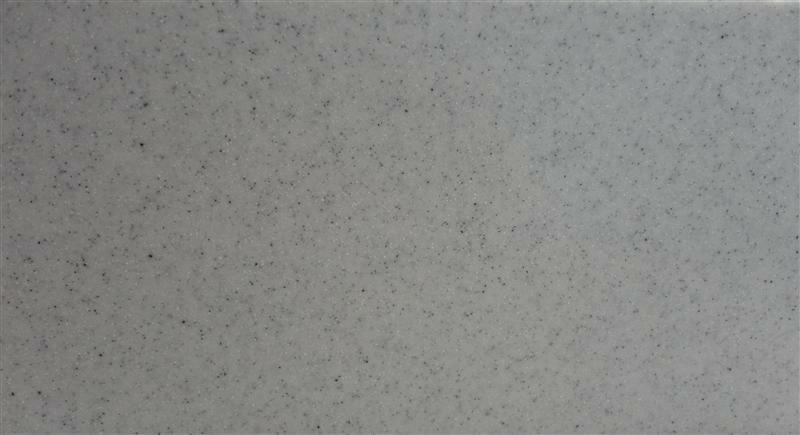 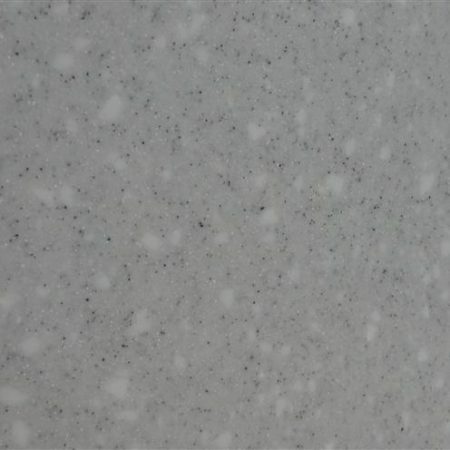 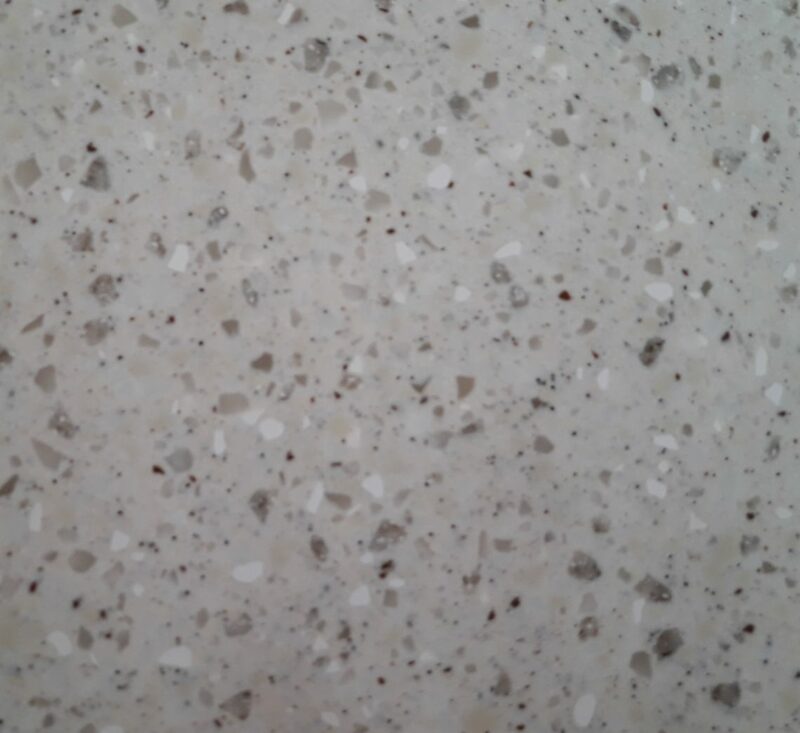 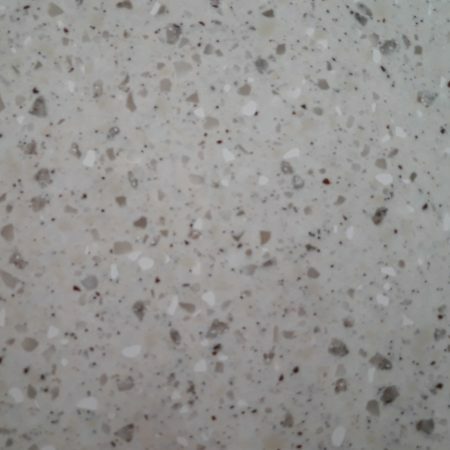 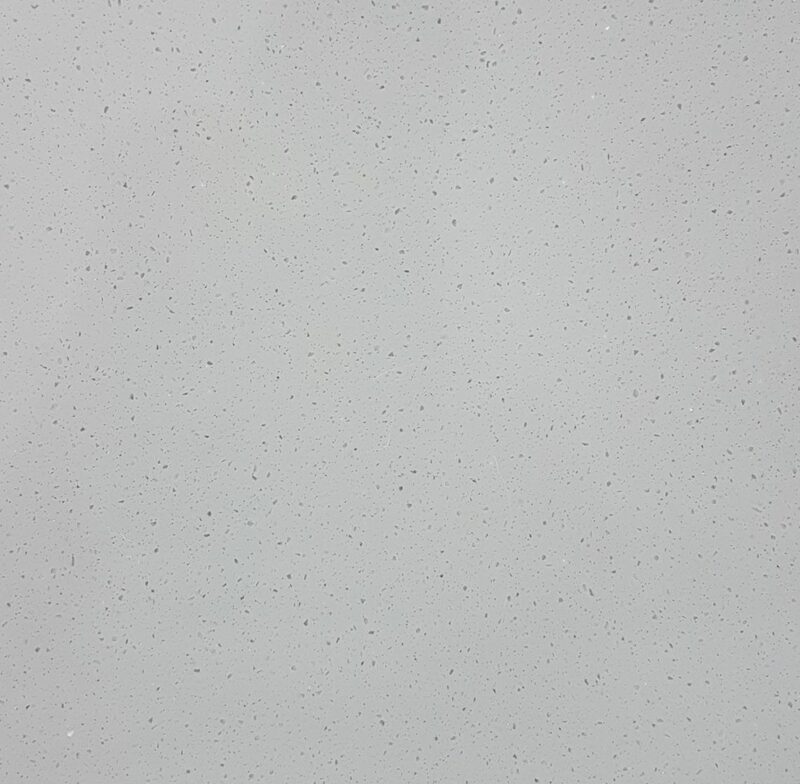 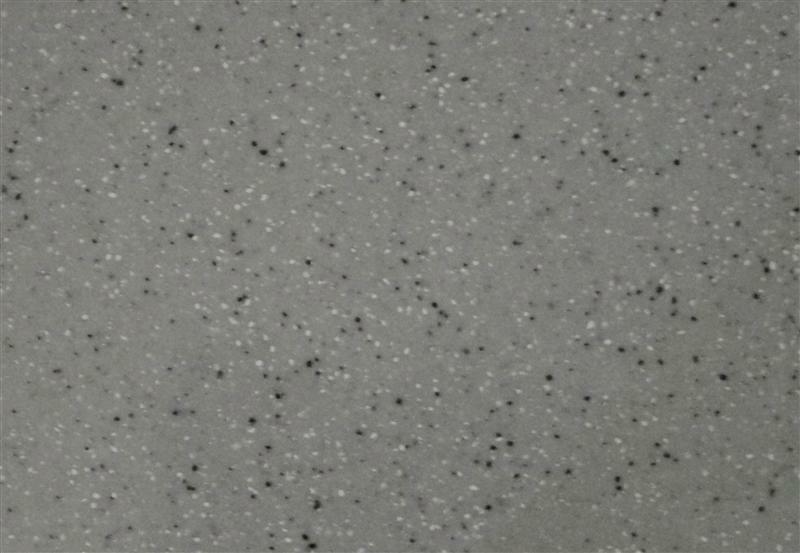 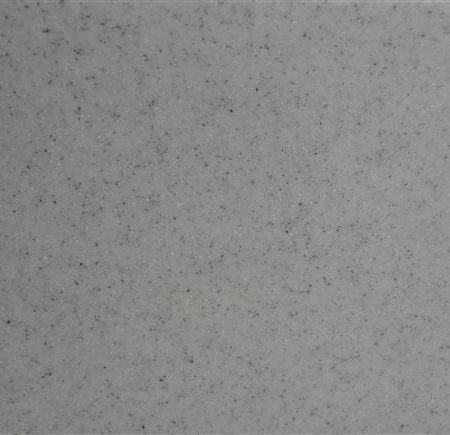 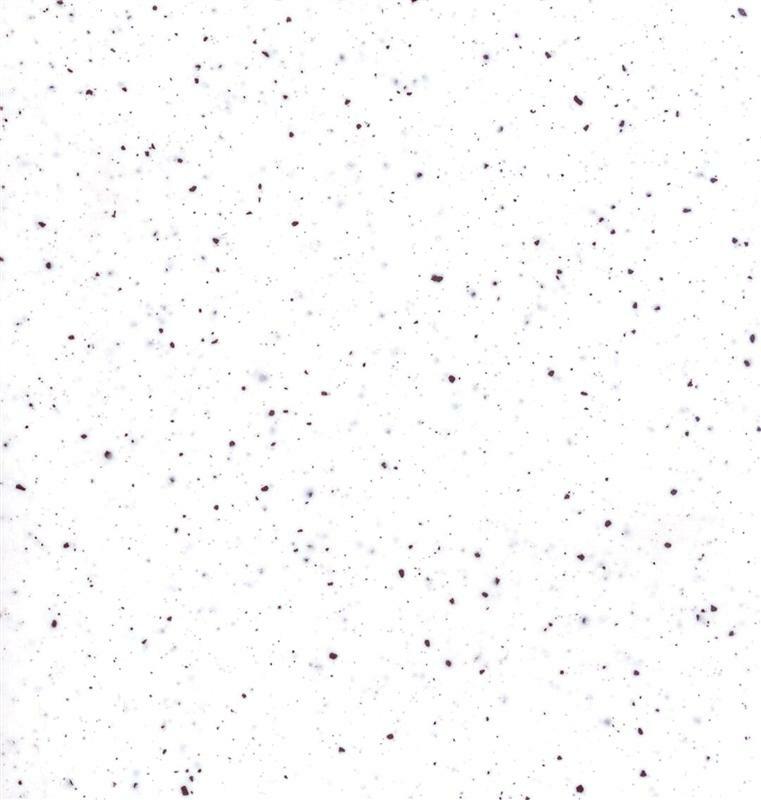 DECORAN is a locally manufactured, solid surface, work top material with an Acrylic Modified Polyester base, which combines to produce a stain resistant, chemical resistant and non-porous counter top that is ideal for use in homes, offices and many other applications. 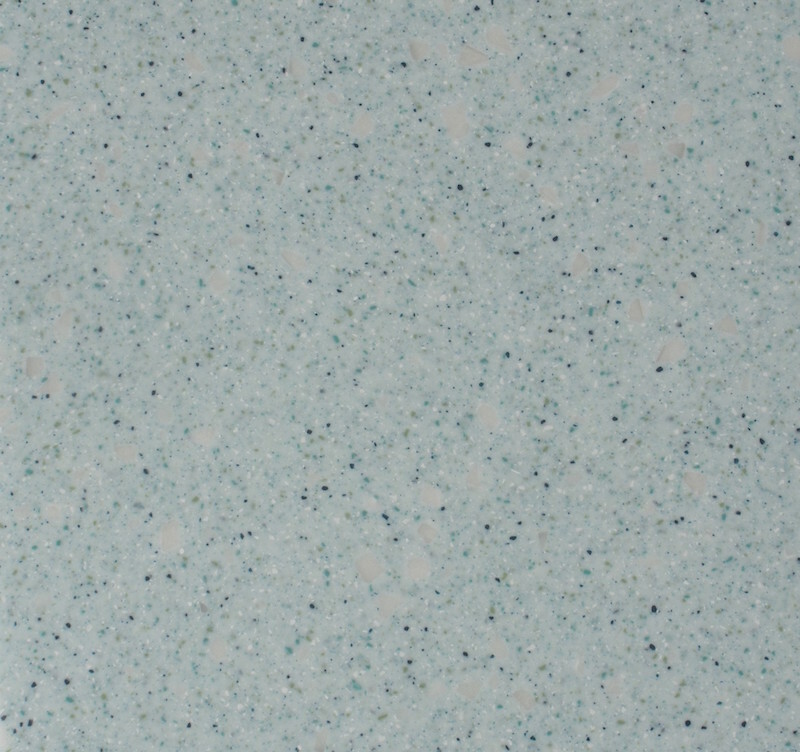 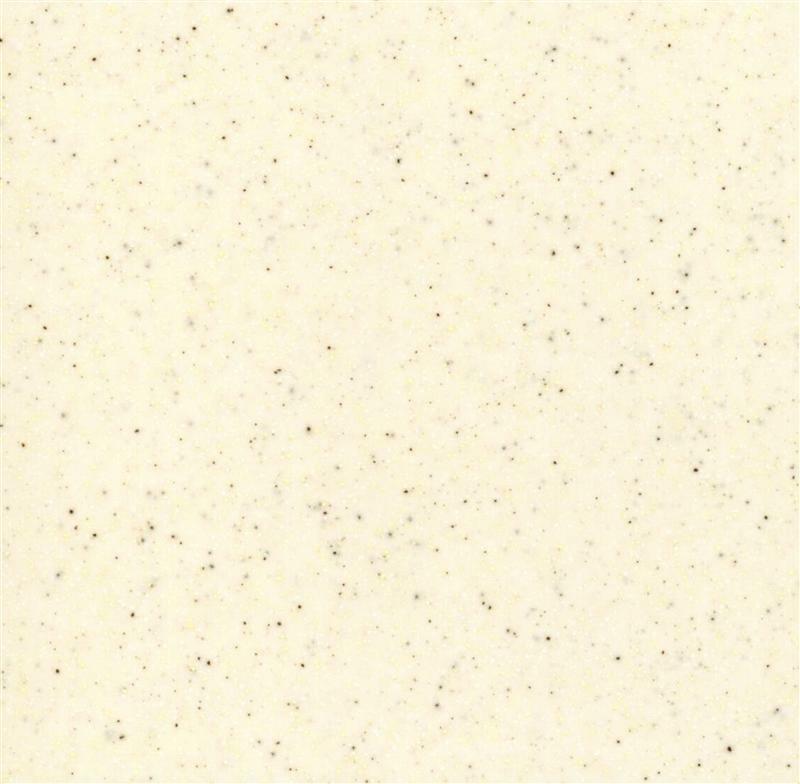 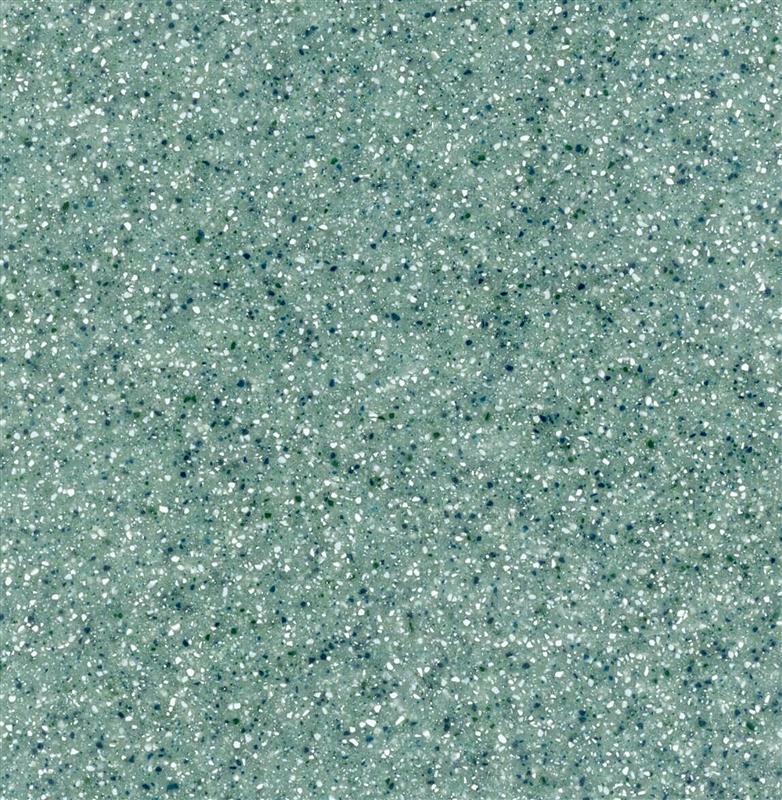 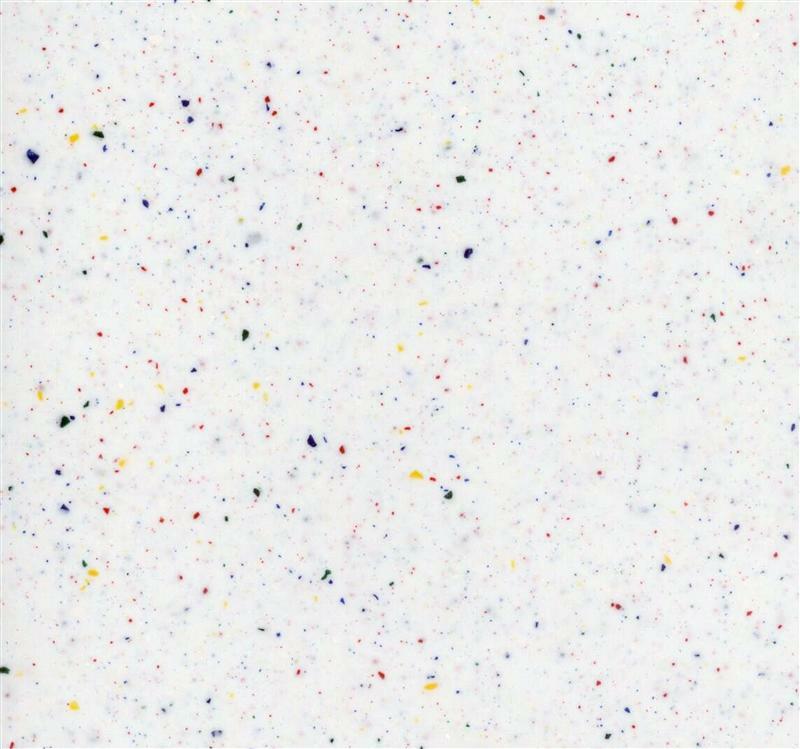 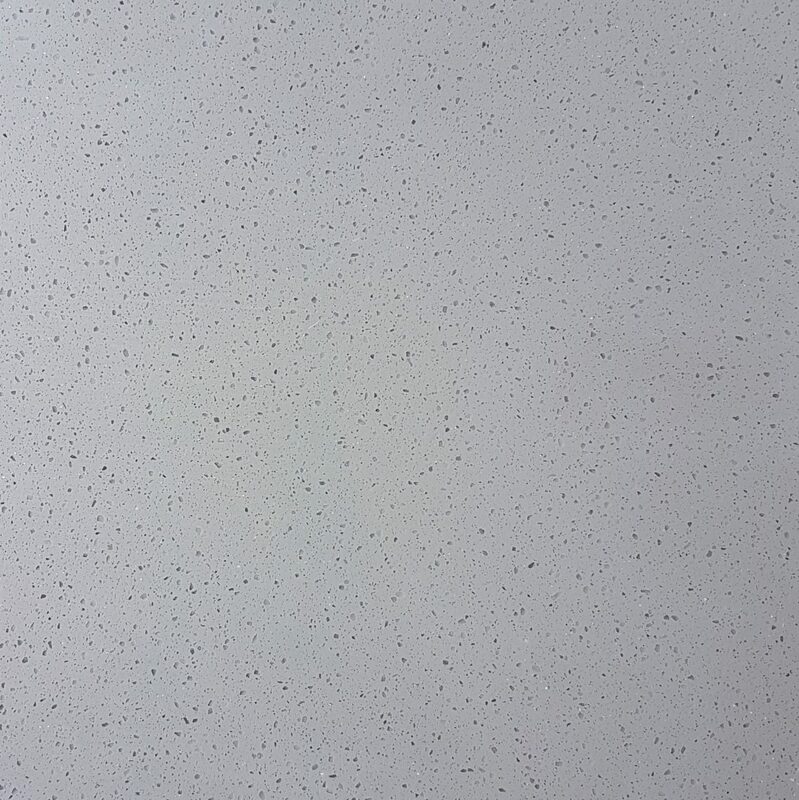 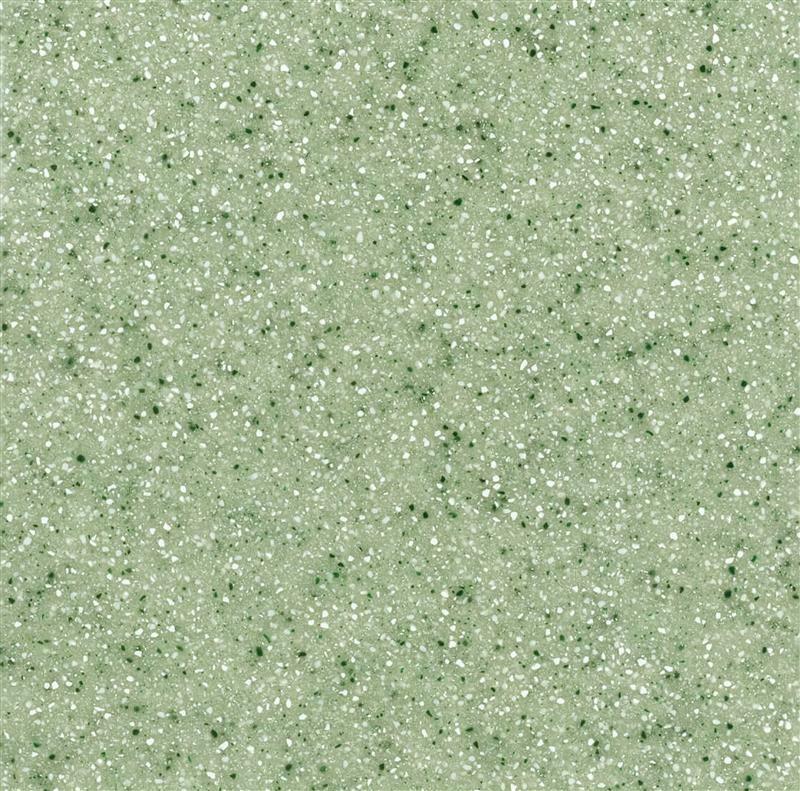 To clean your DECORAN countertop, we recommend the use of NON-ABRASIVE liquid cleaners, such as Lime Away or Clorox. 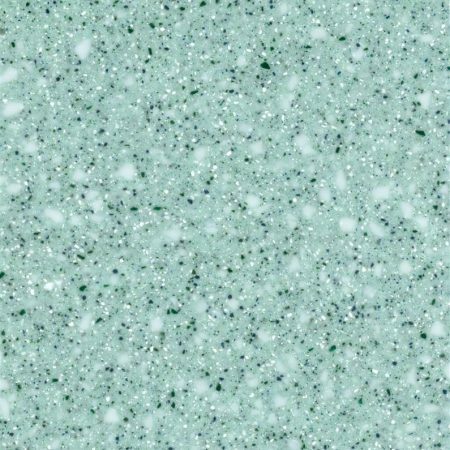 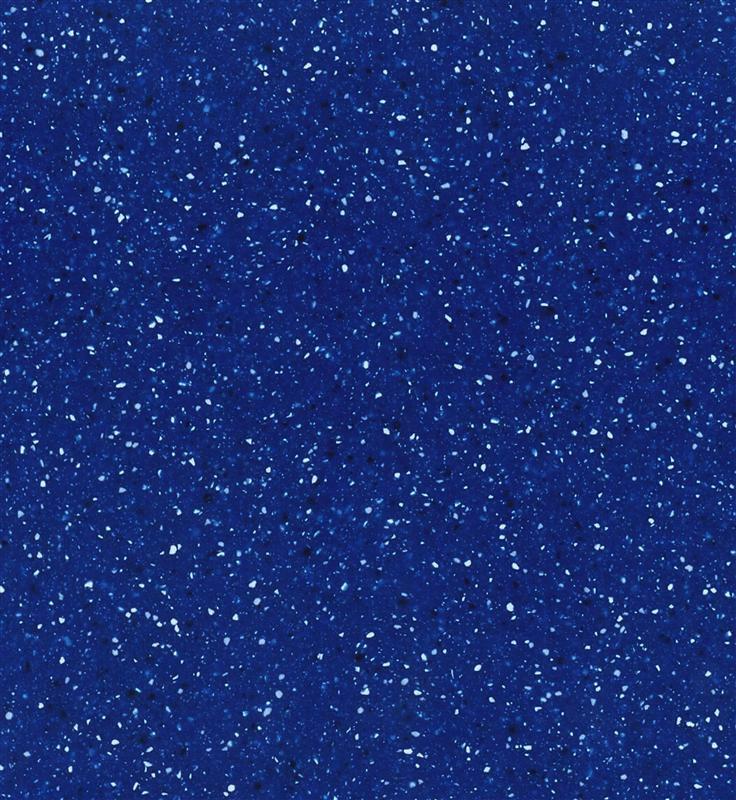 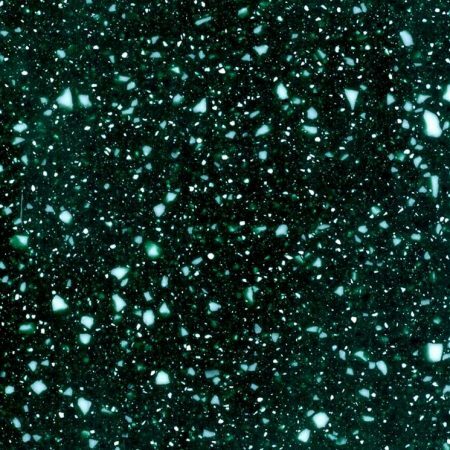 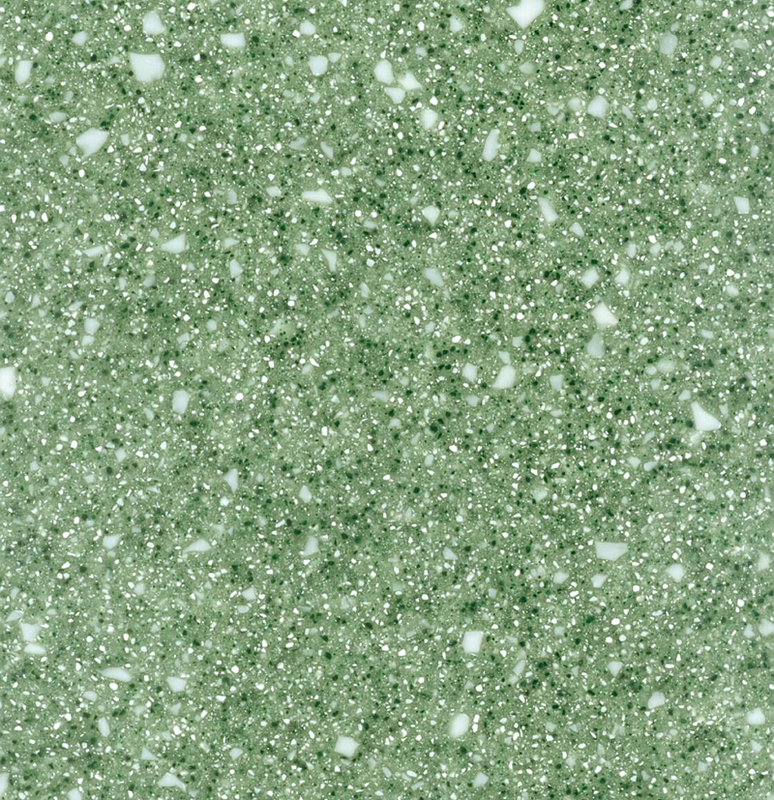 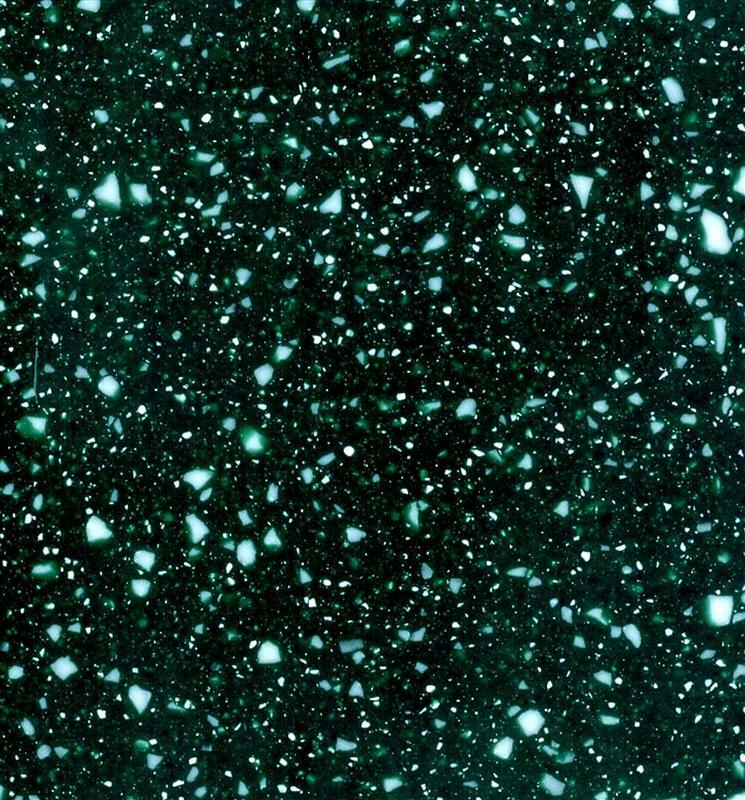 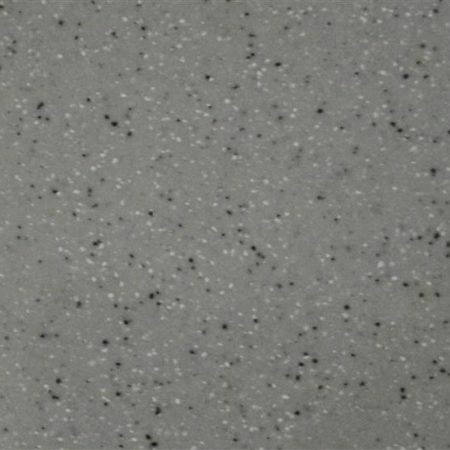 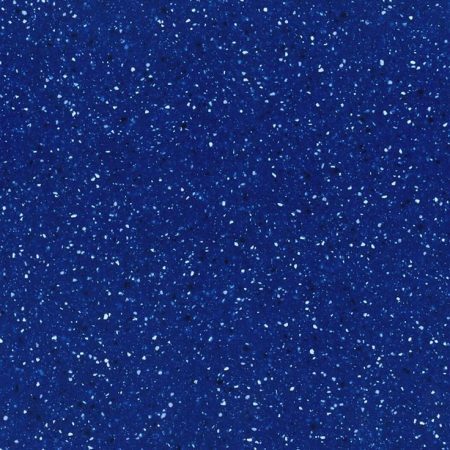 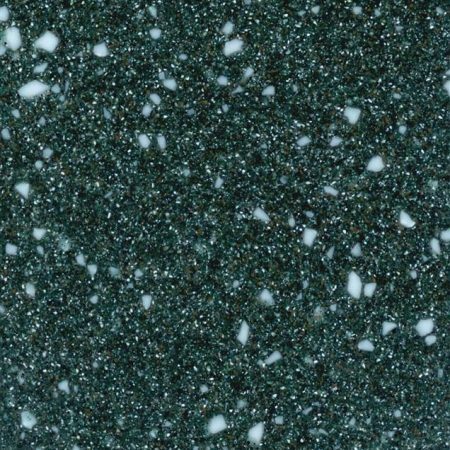 After cleaning, Countertop Magic may be used to polish and give a low sheen to your DECORAN counters. 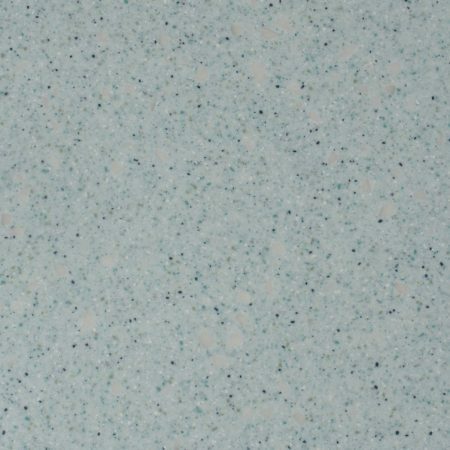 Stains from hard water (lime deposits) are easily removed with vinegar or Lime Away. 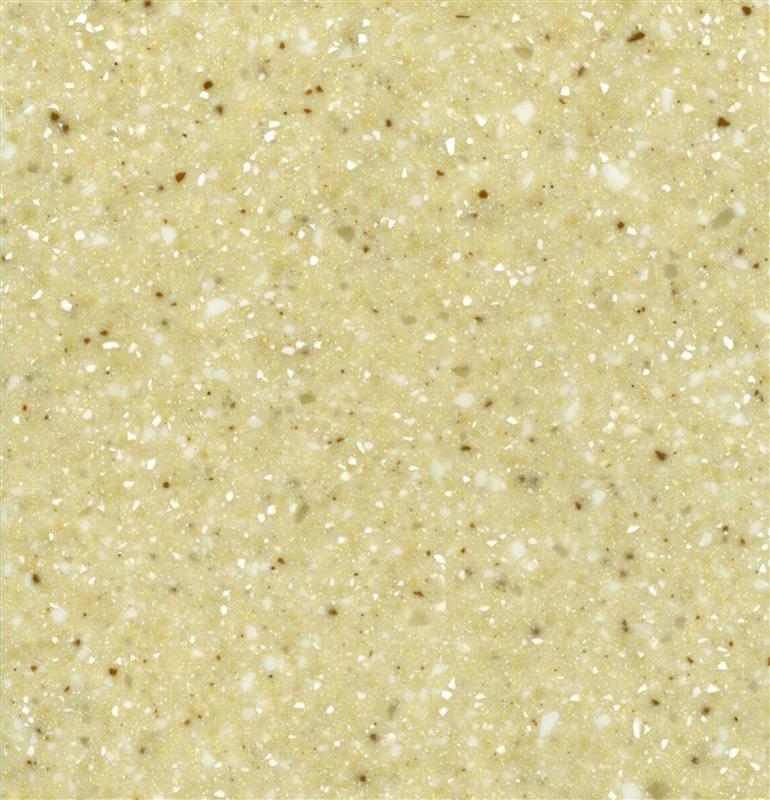 The product should be applied and left to soak for a few minutes before thoroughly rinsing. 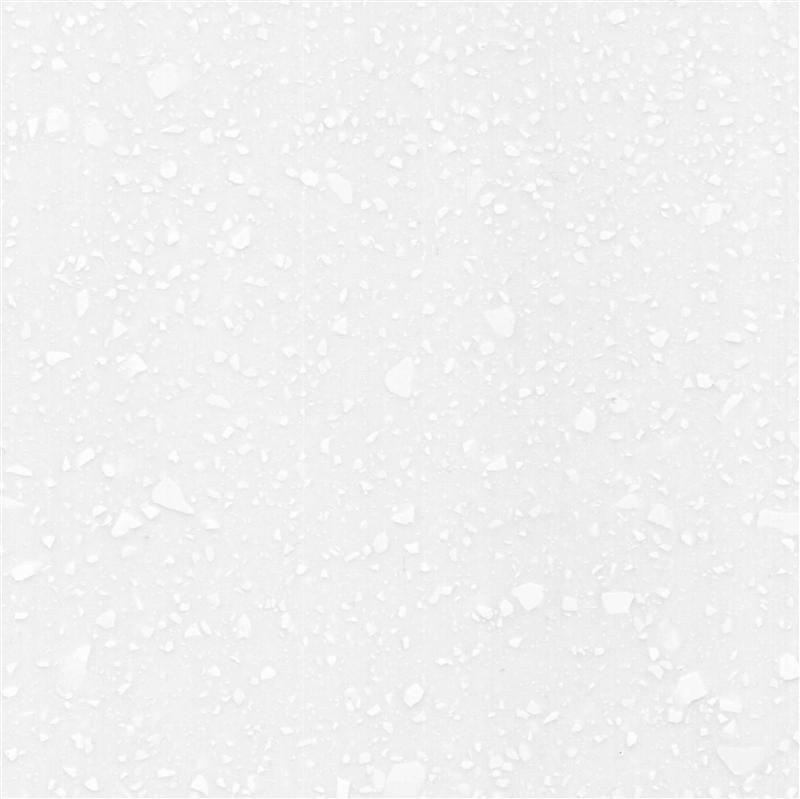 Although DECORAN is largely heat resistant, we do recommend that you place extremely hot items on a hot pad or trivet to allow for the free flow of air between the DECORAN solid surface countertop and the hot item. 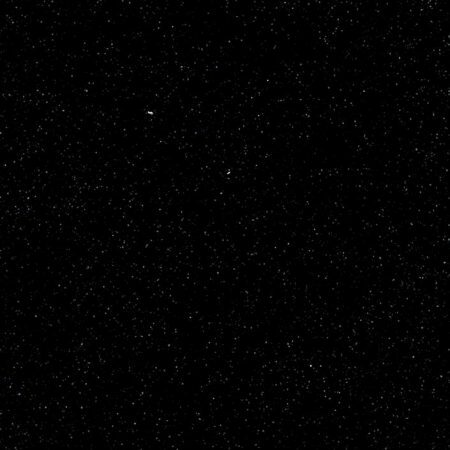 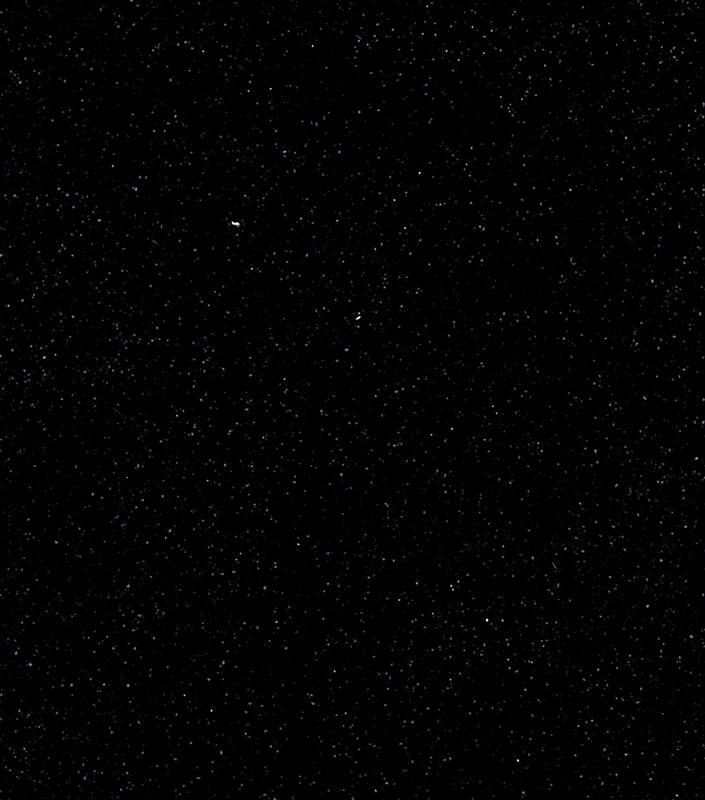 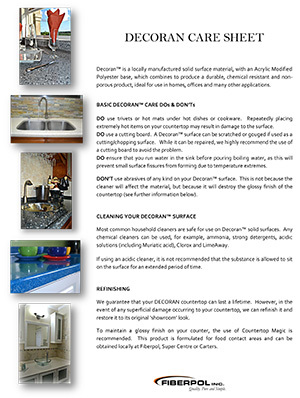 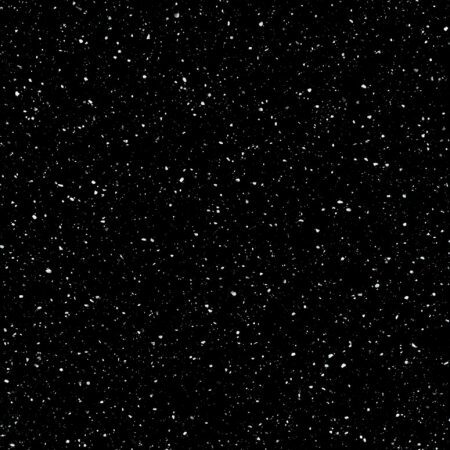 We guarantee that your DECORAN countertop can last a lifetime. 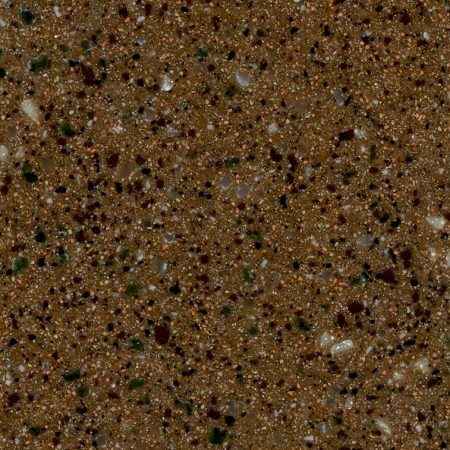 However, in the event of any superficial damage occurring to your countertop, we can refinish it and restore it to its original ‘showroom’ look with minimal disruption to your kitchen.